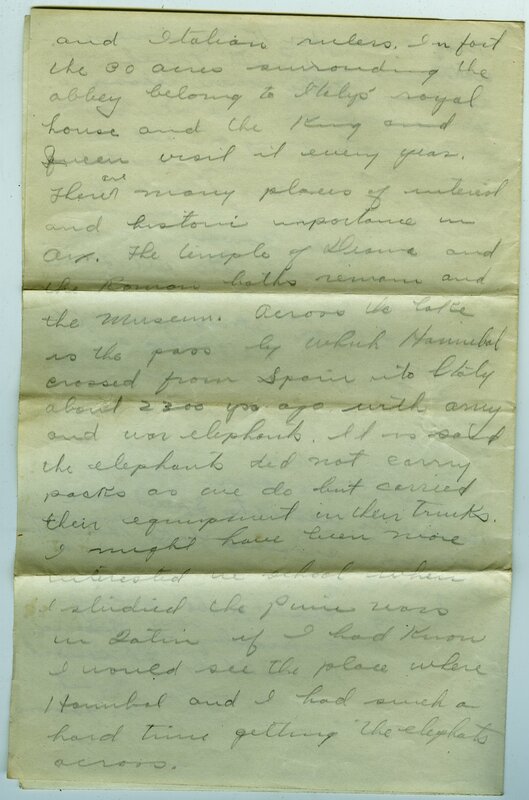 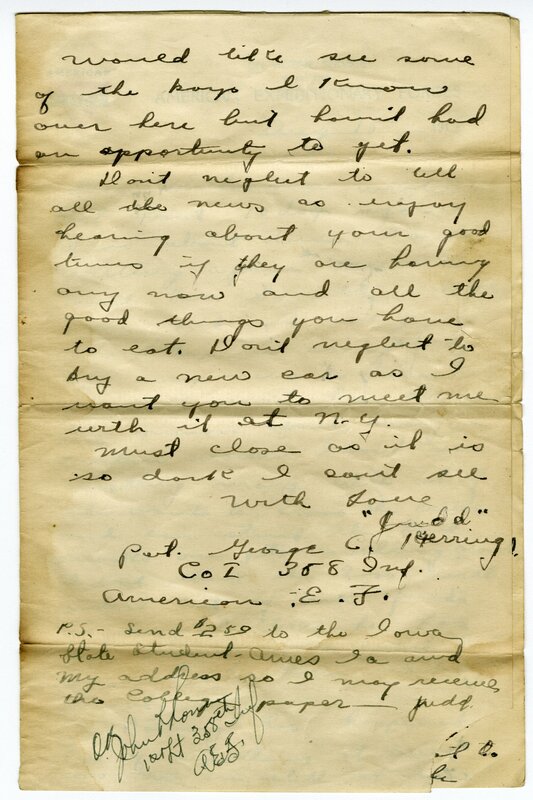 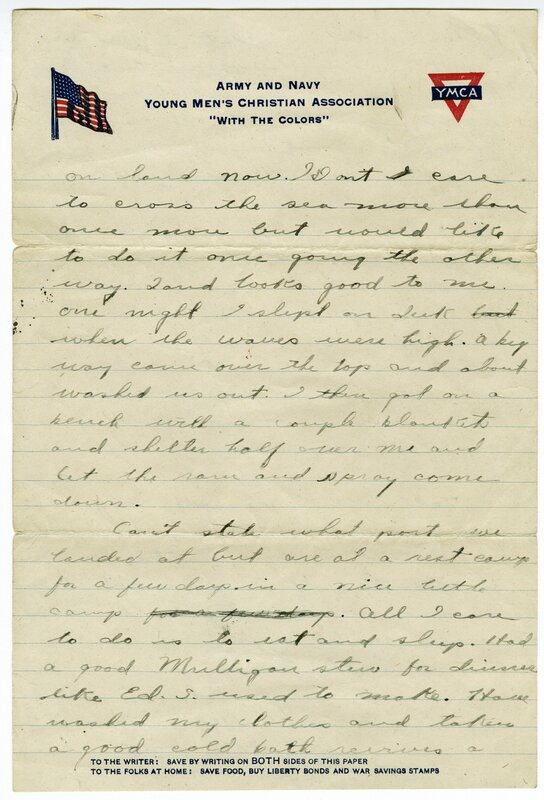 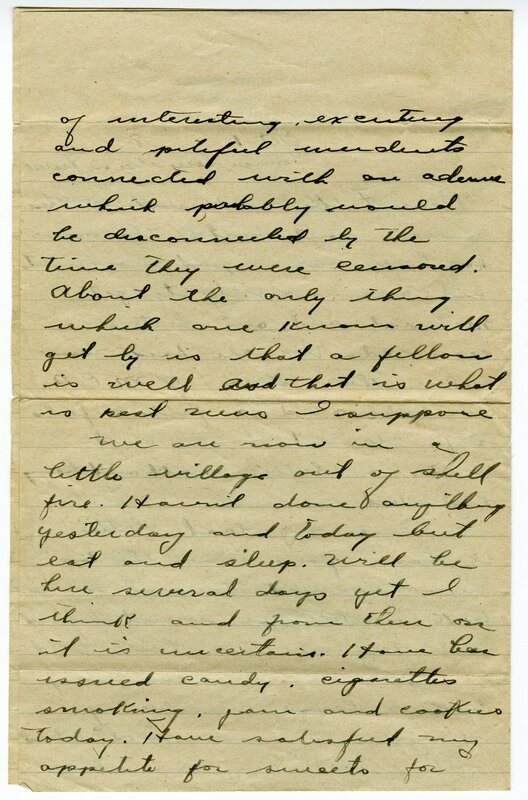 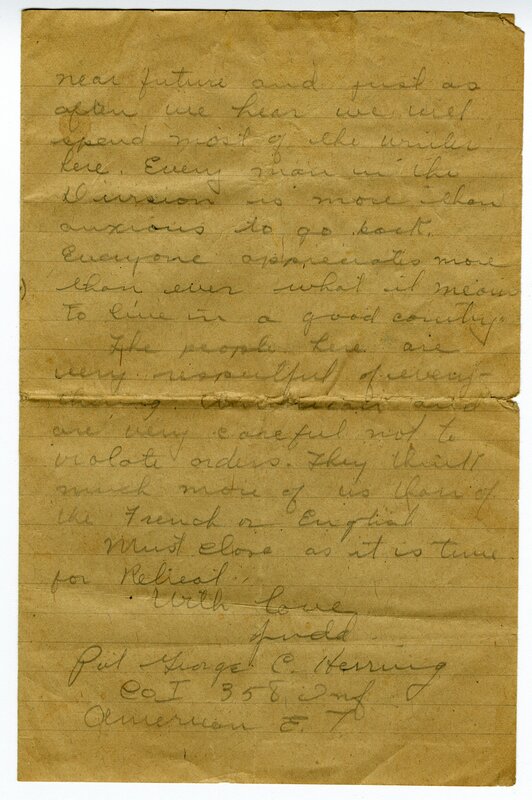 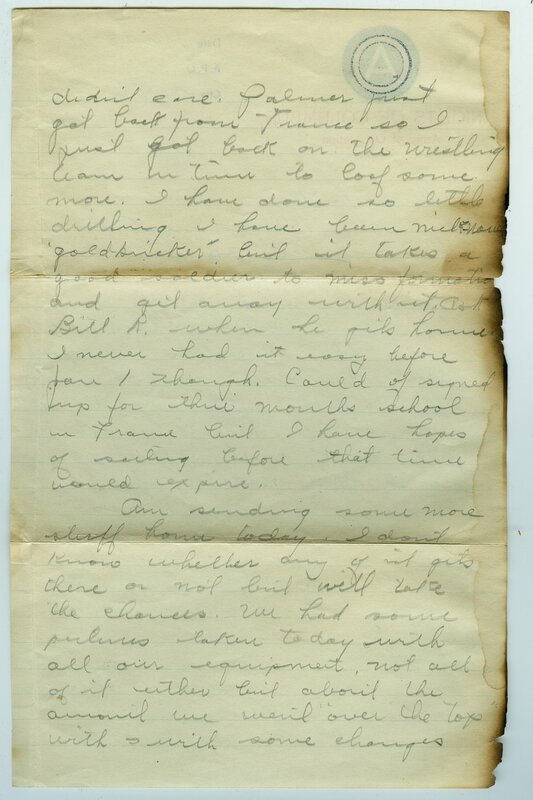 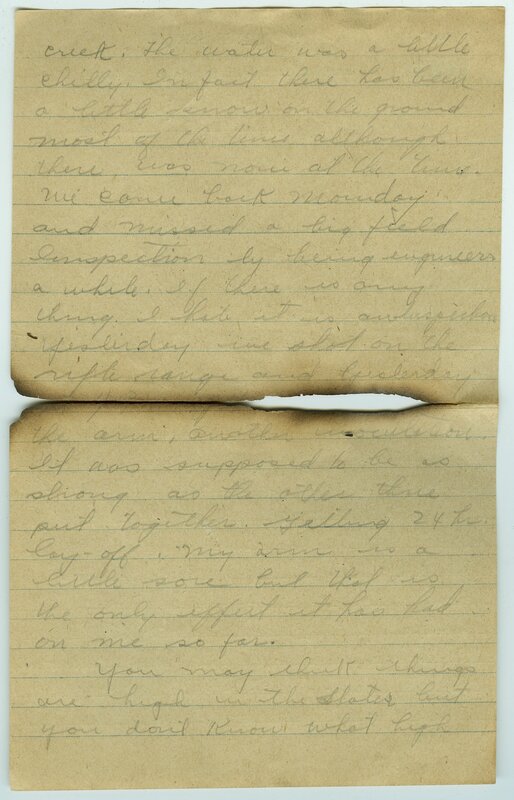 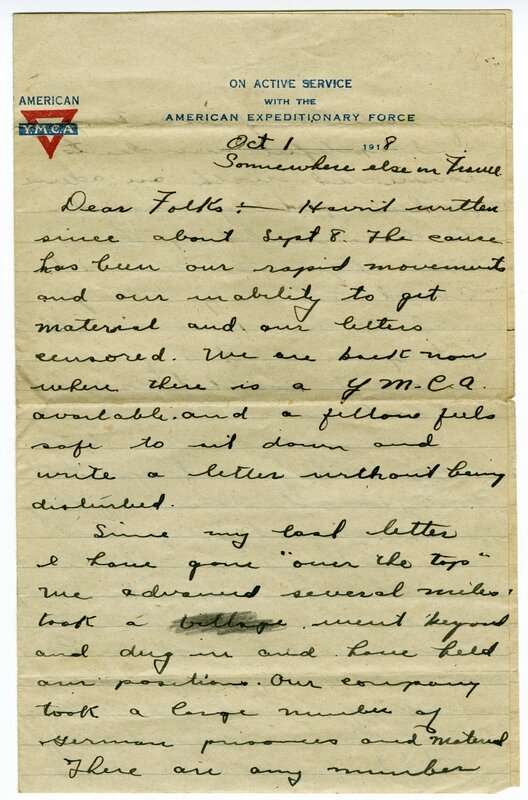 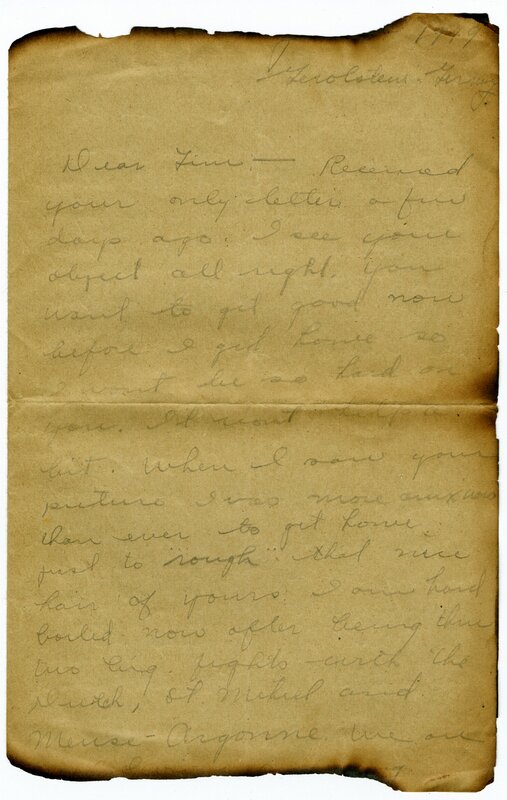 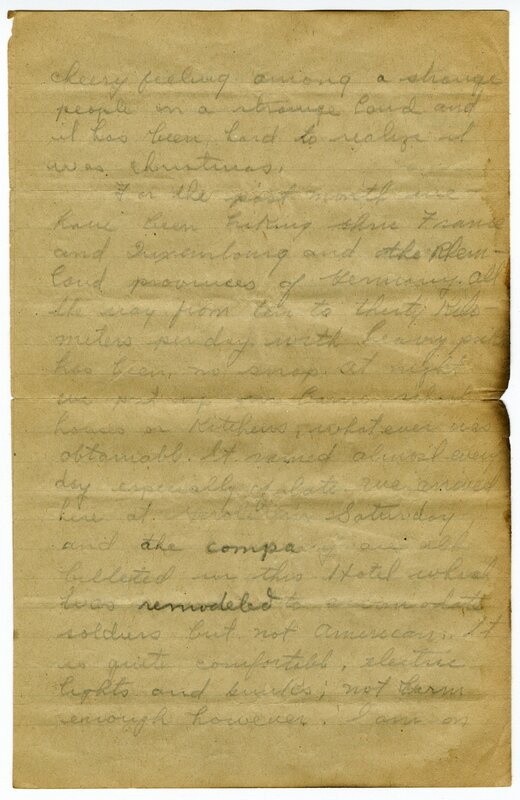 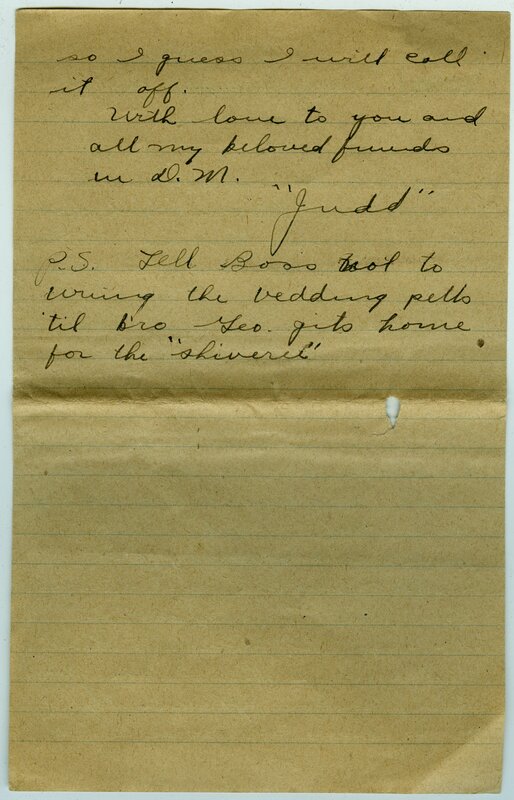 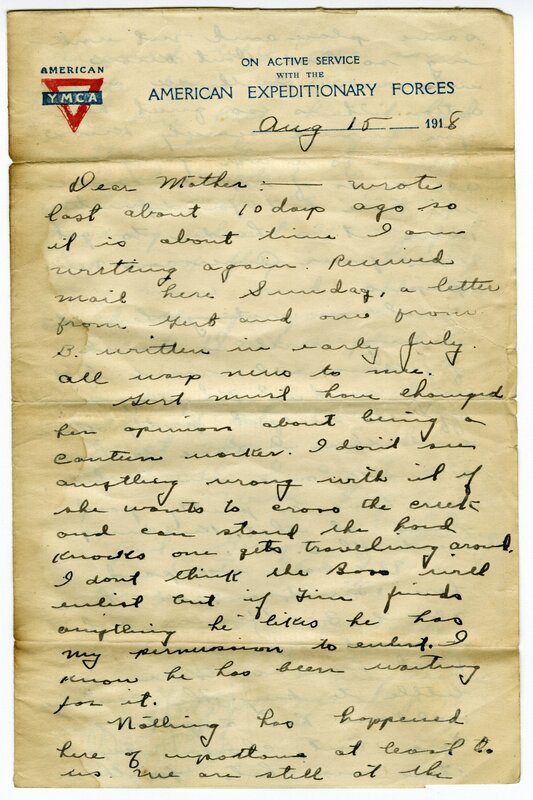 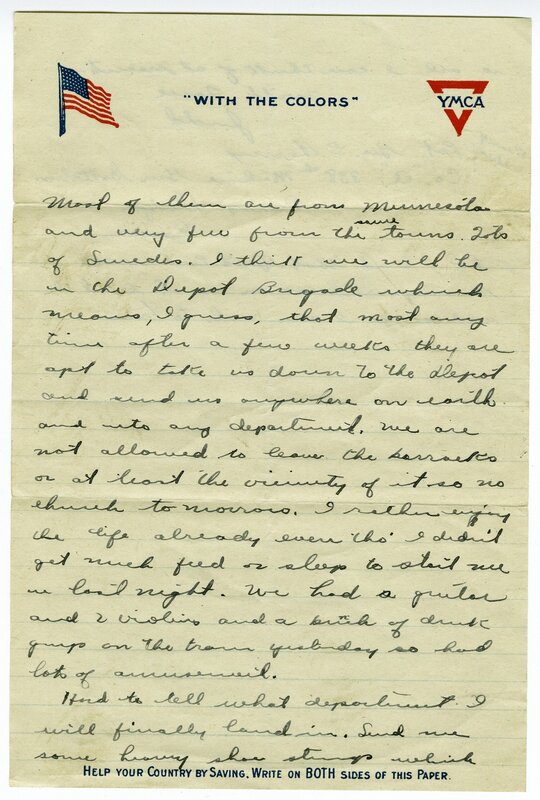 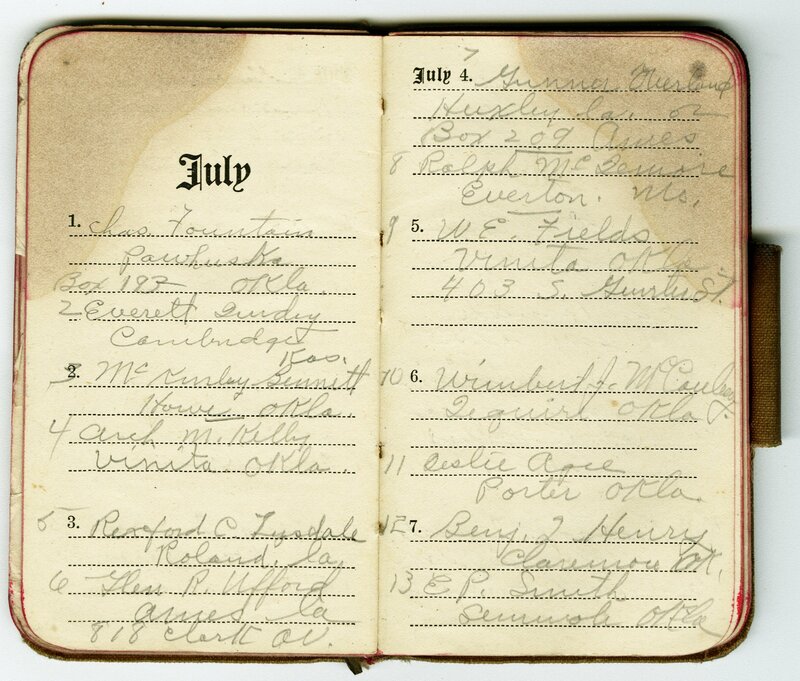 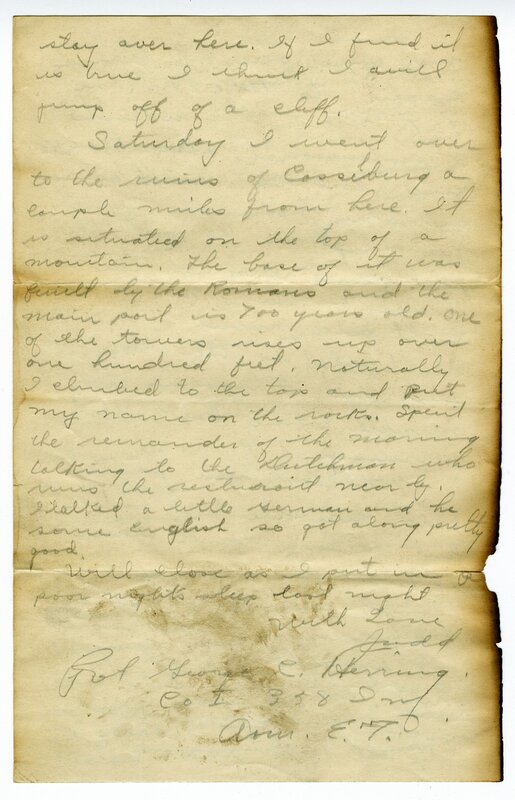 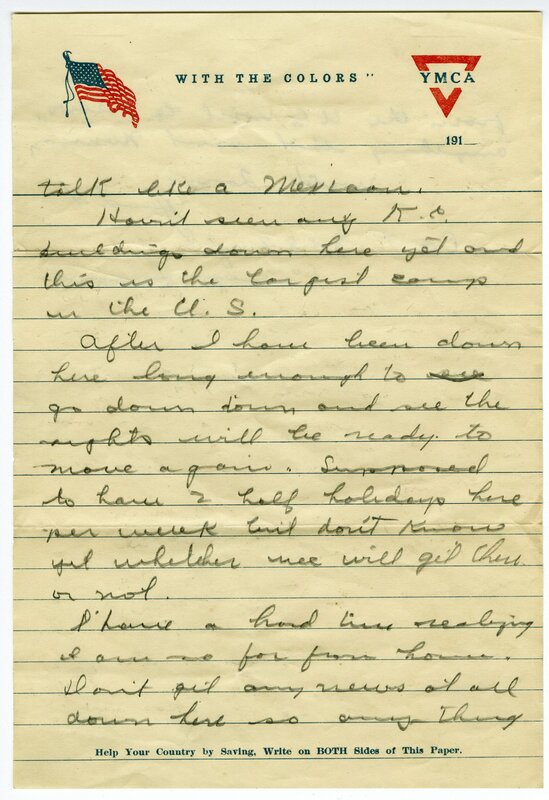 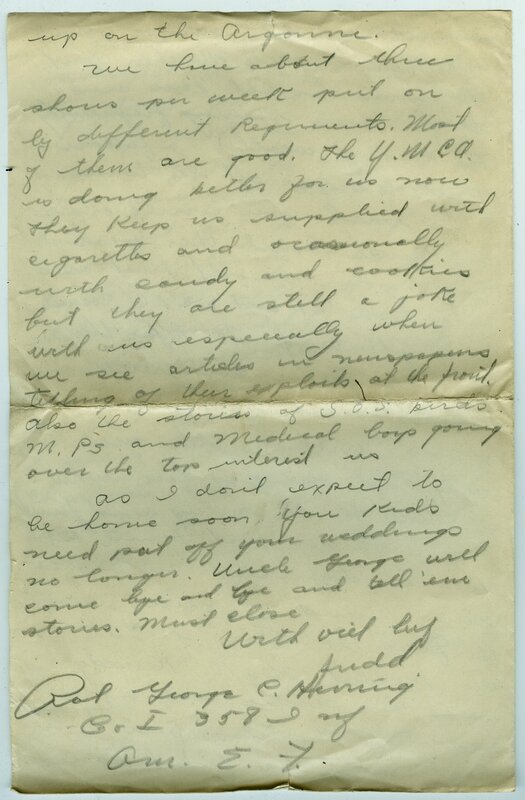 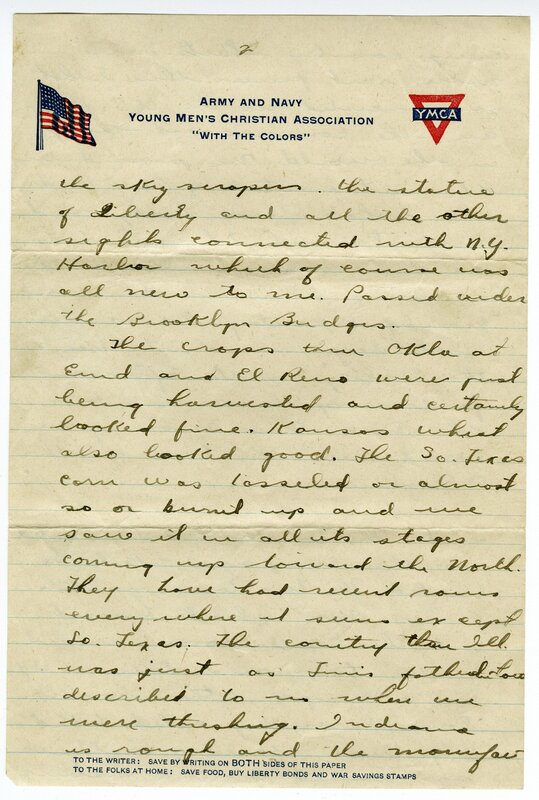 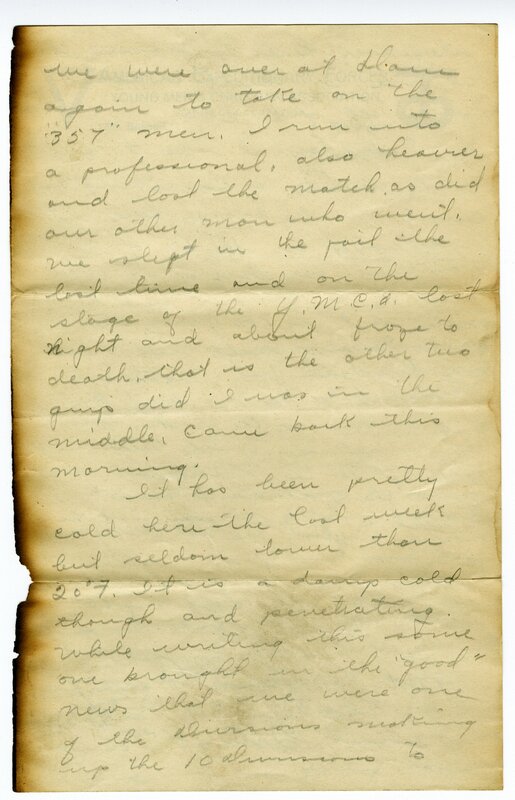 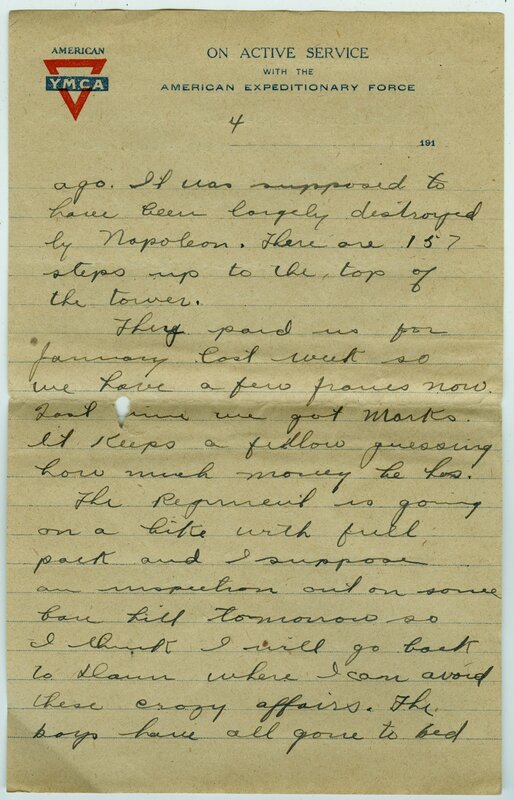 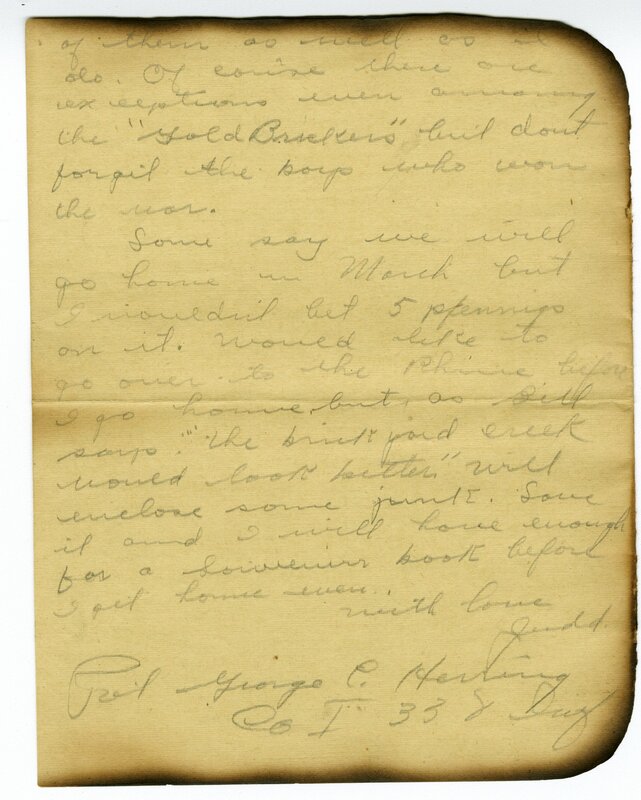 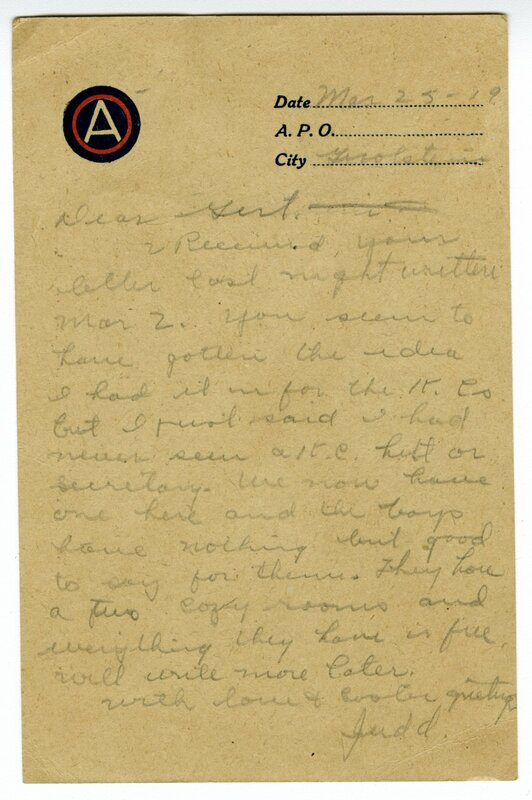 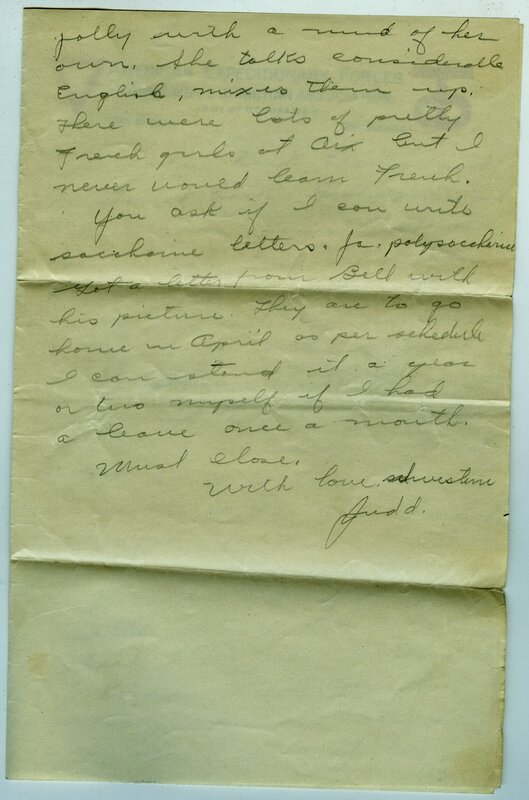 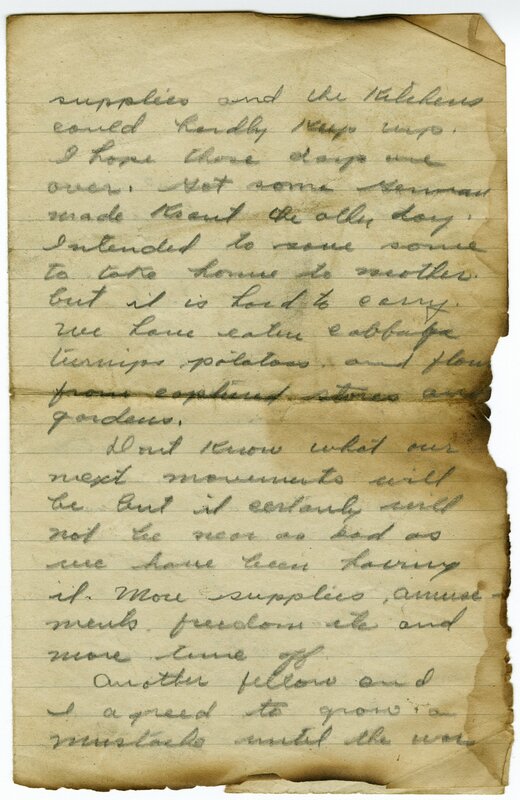 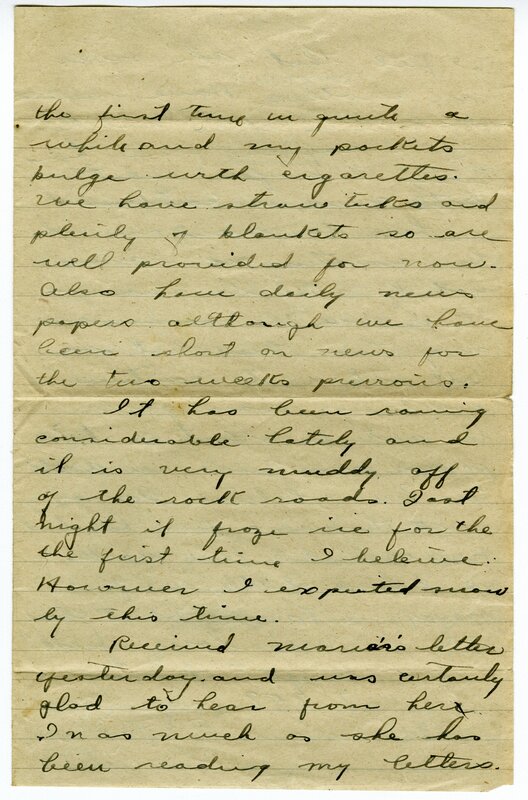 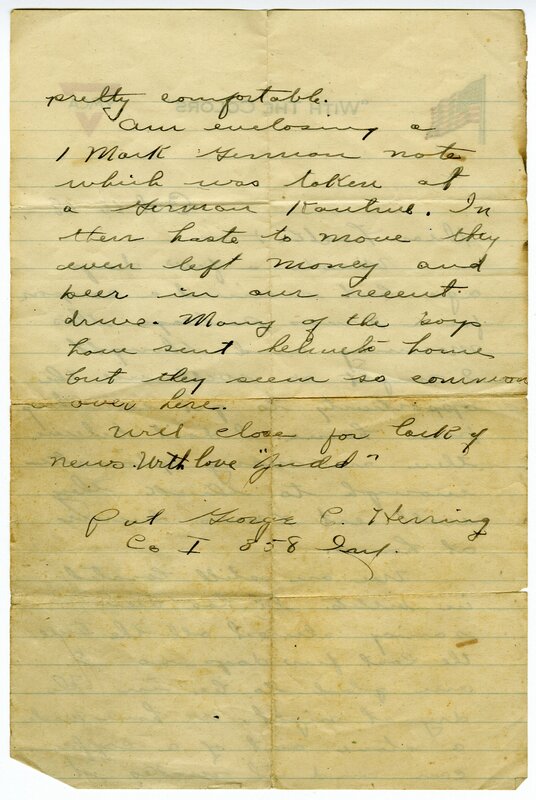 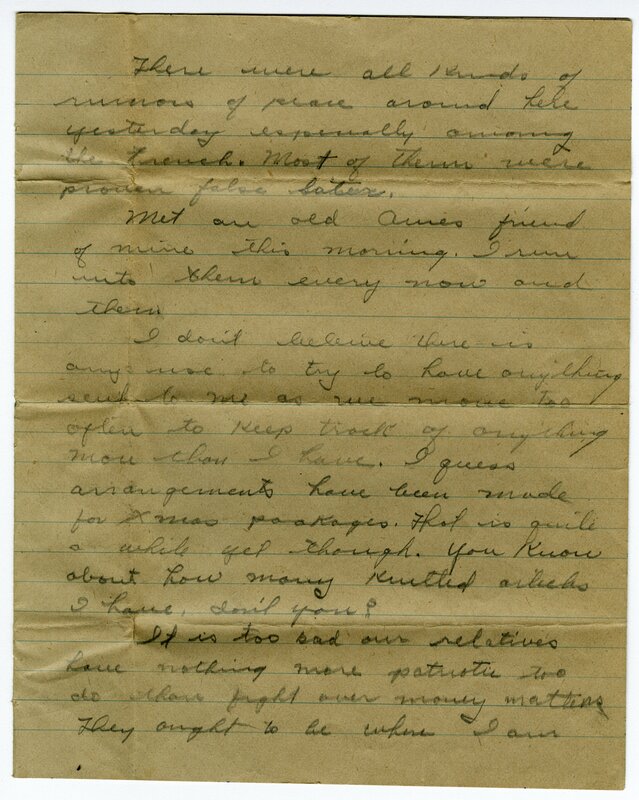 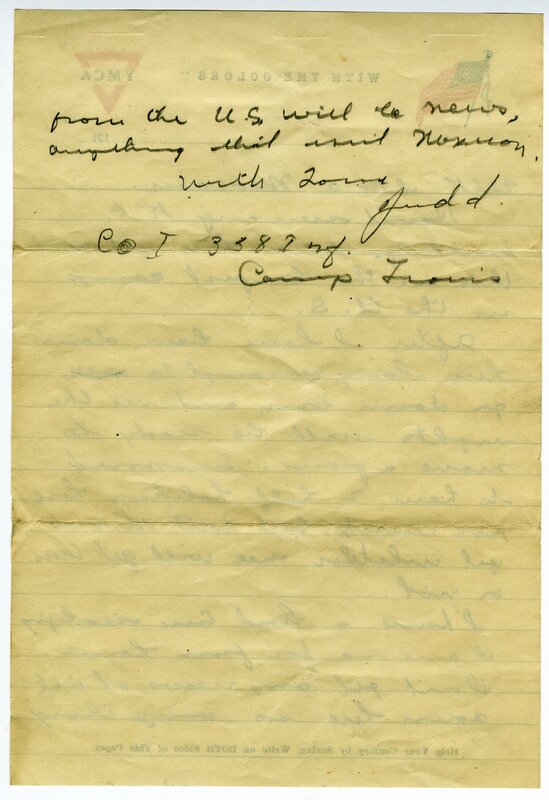 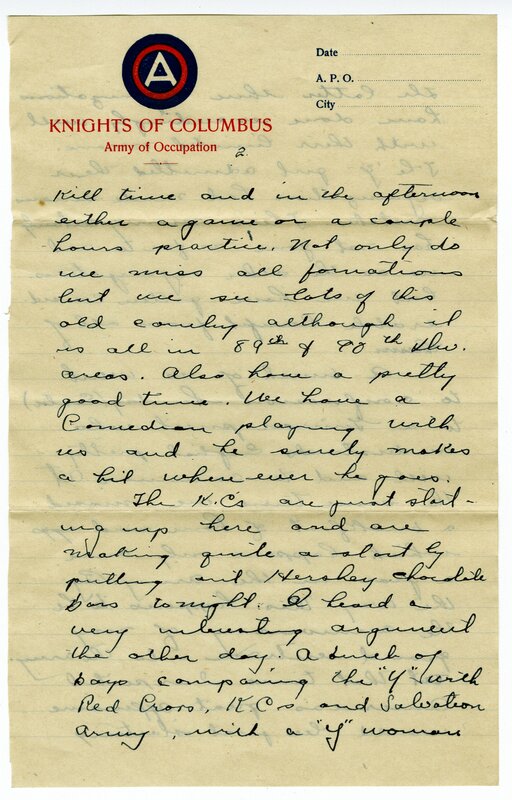 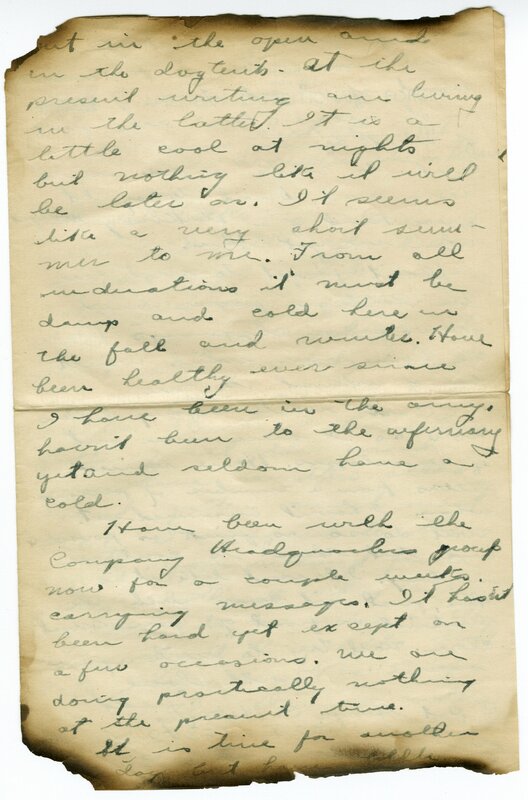 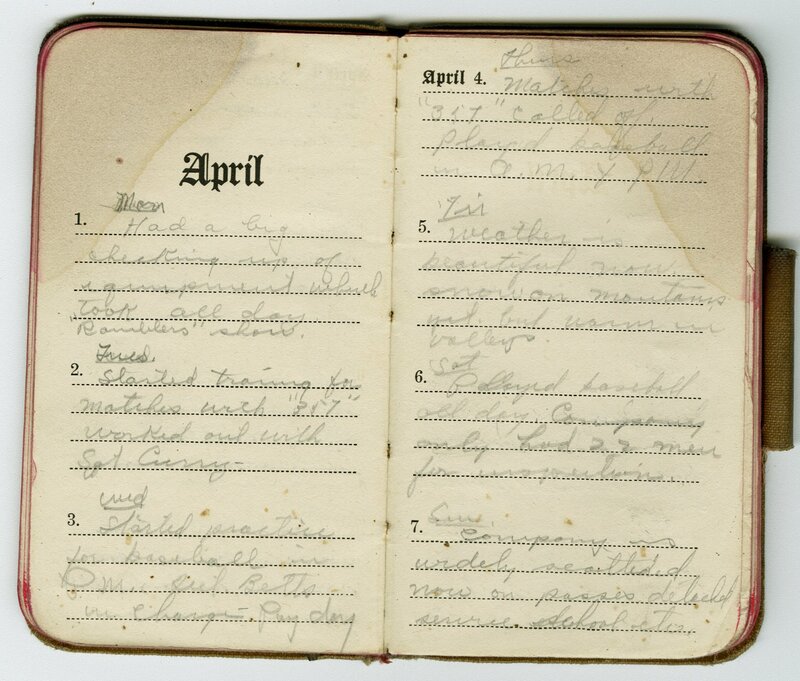 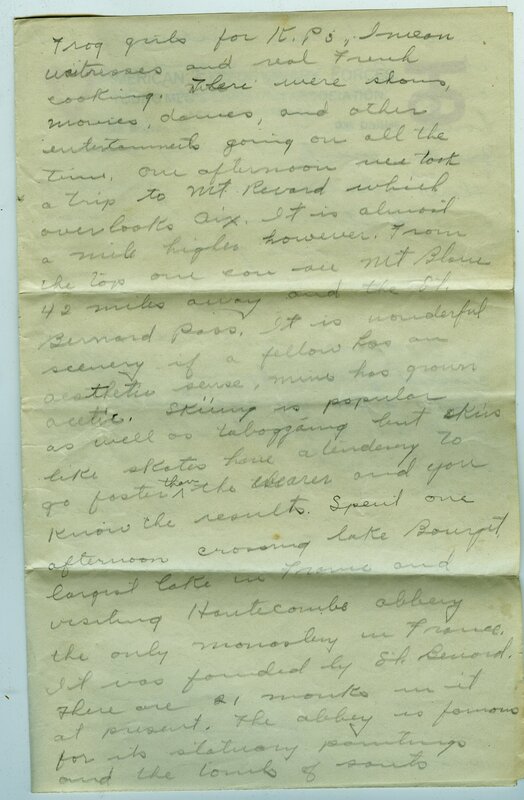 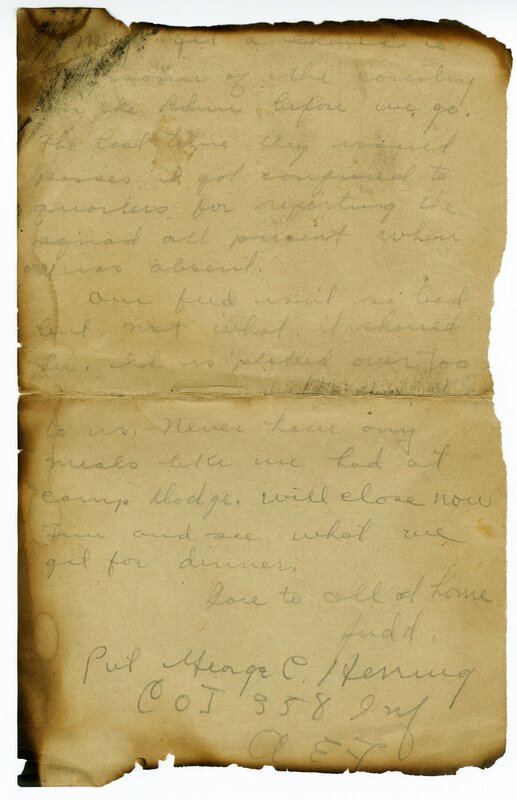 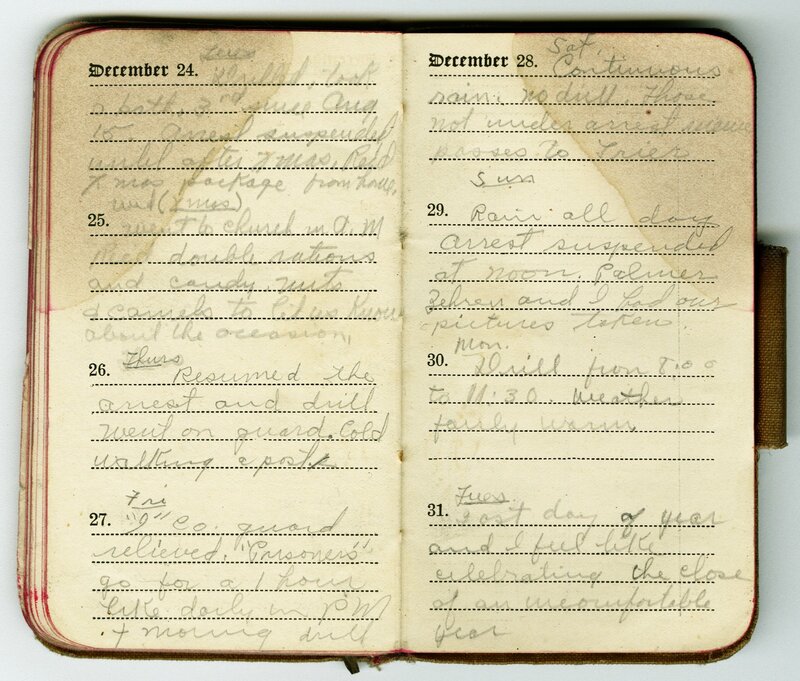 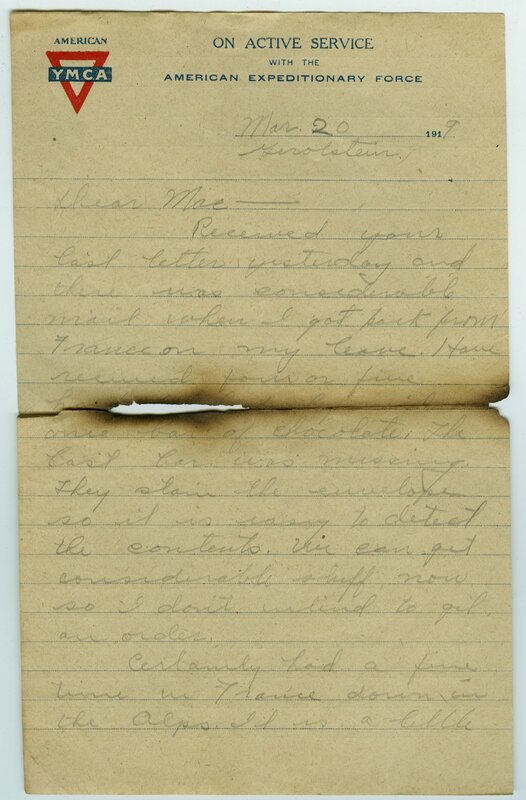 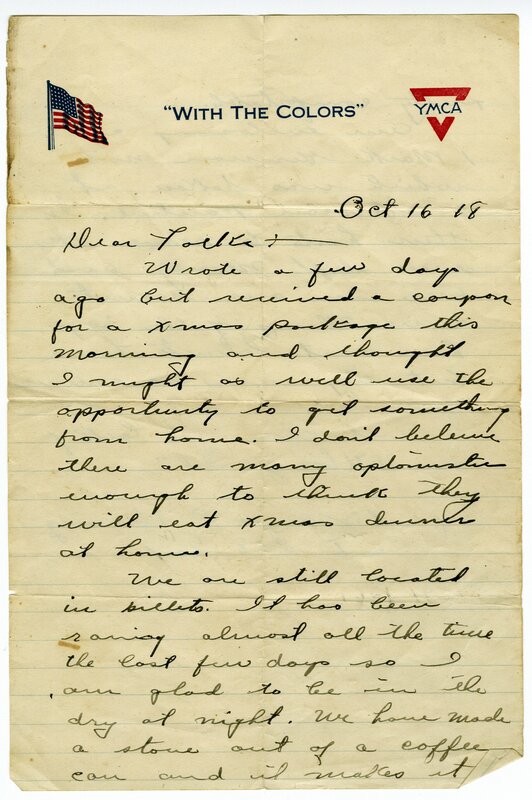 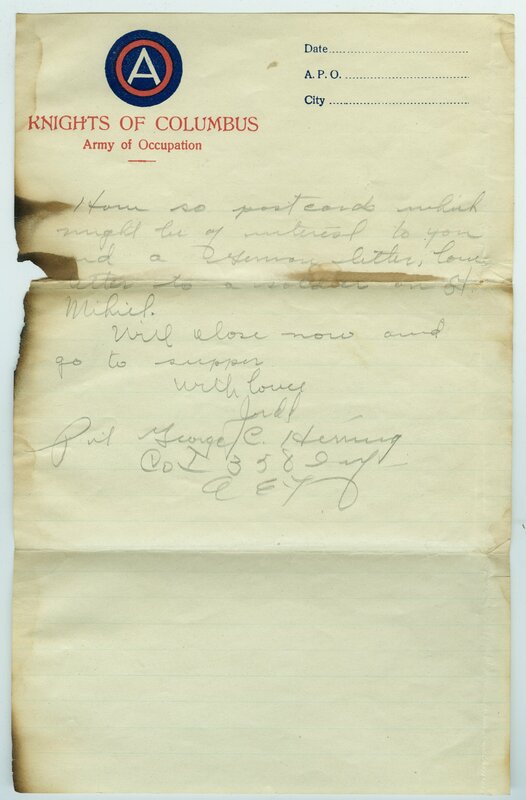 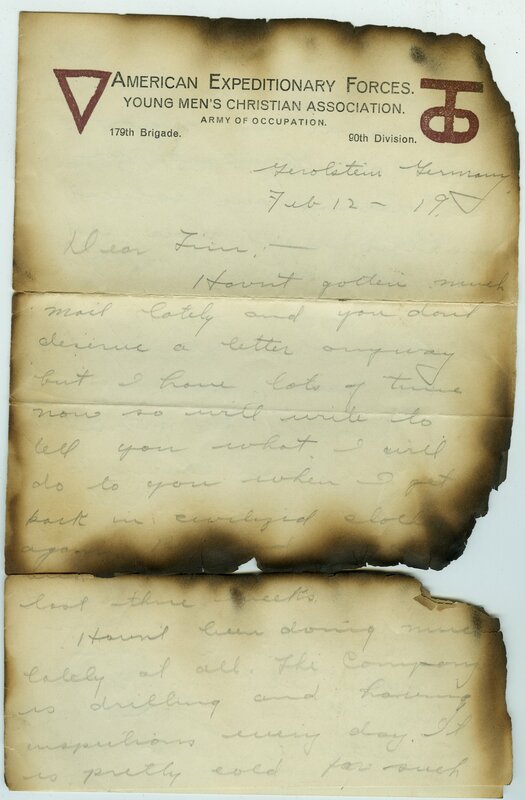 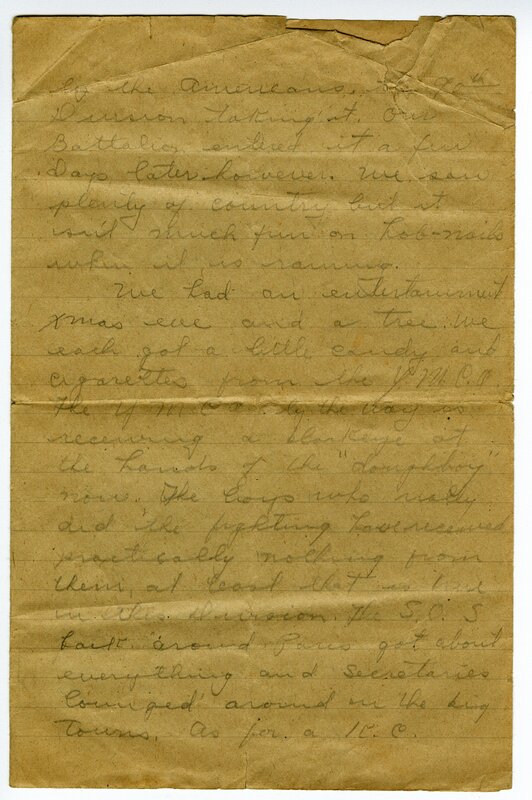 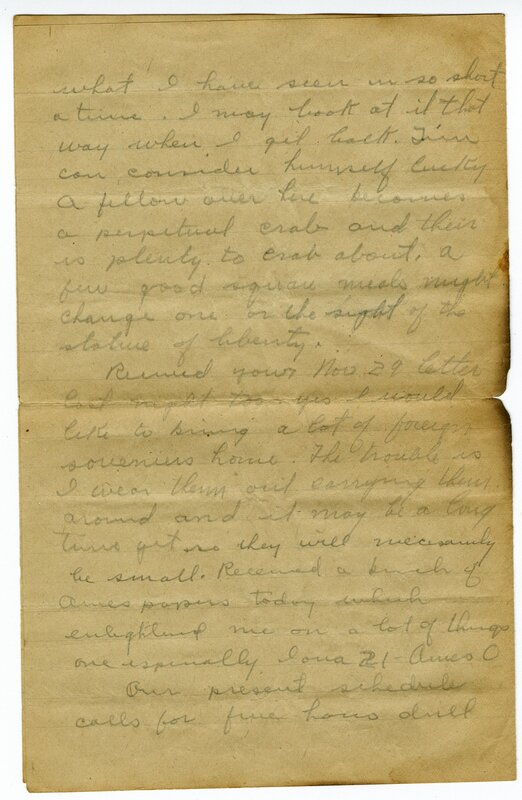 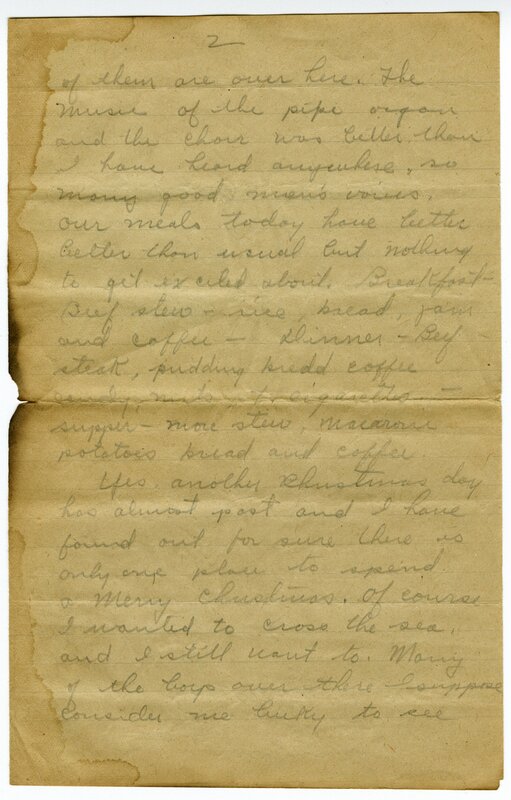 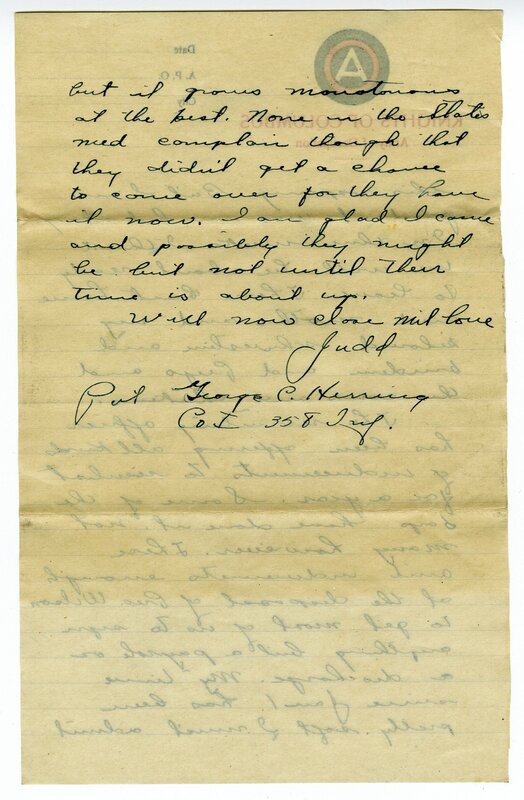 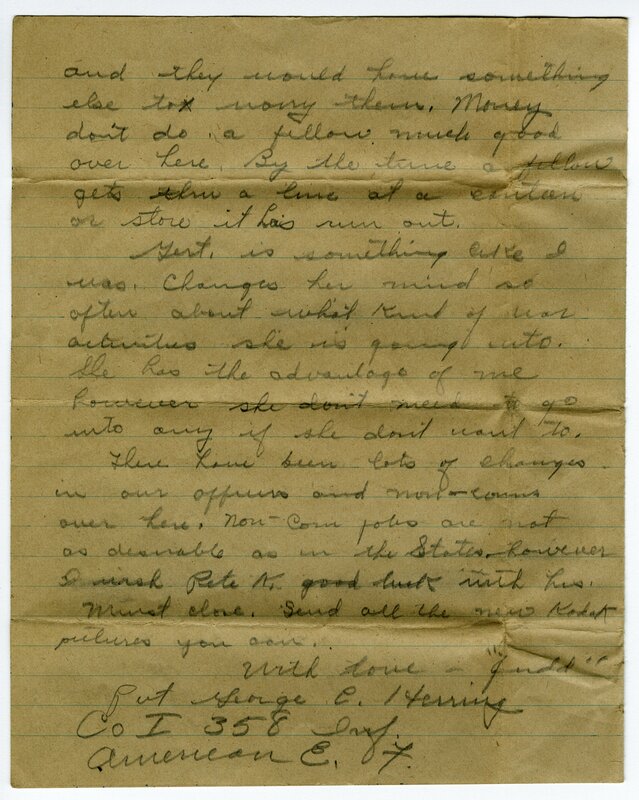 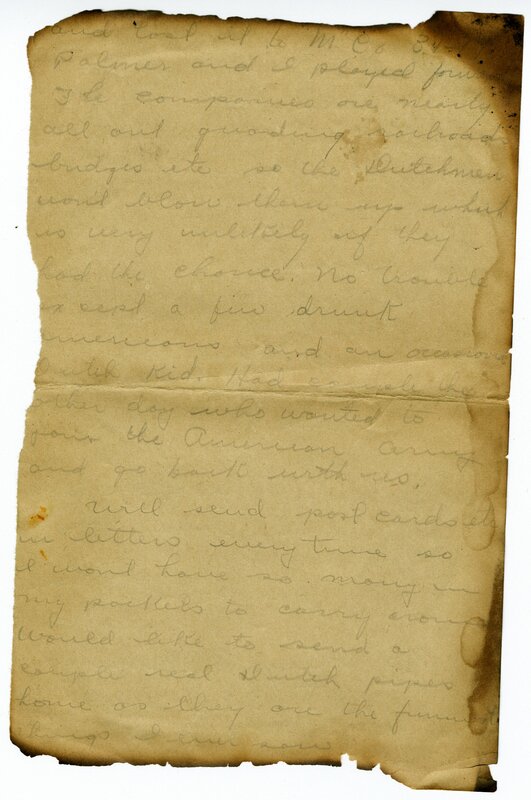 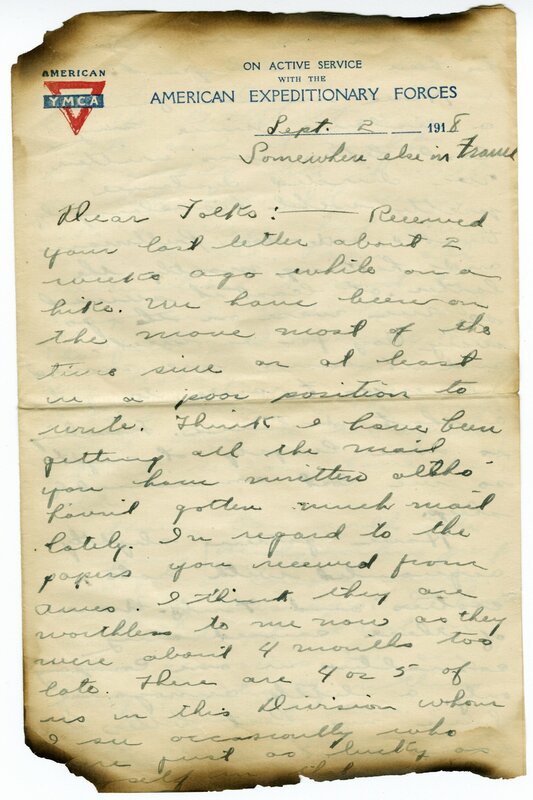 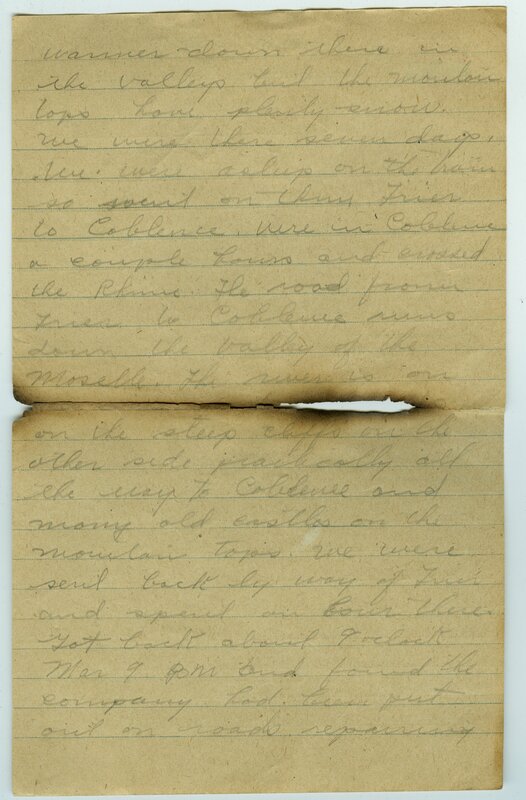 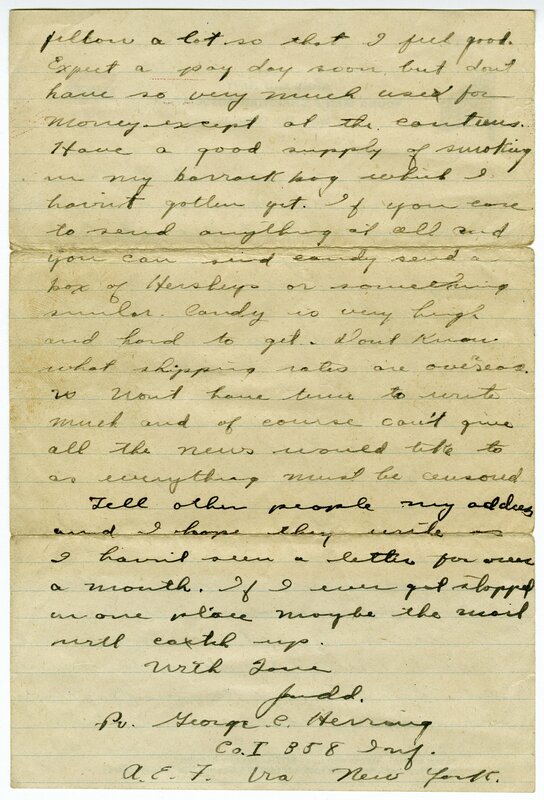 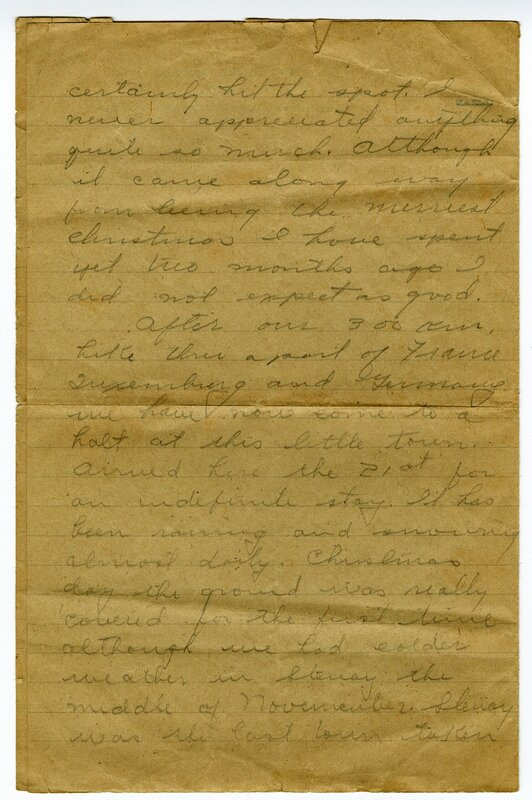 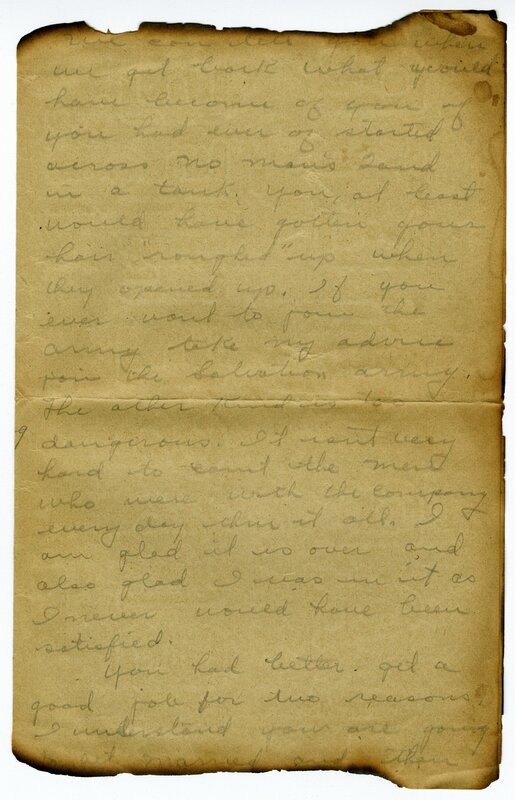 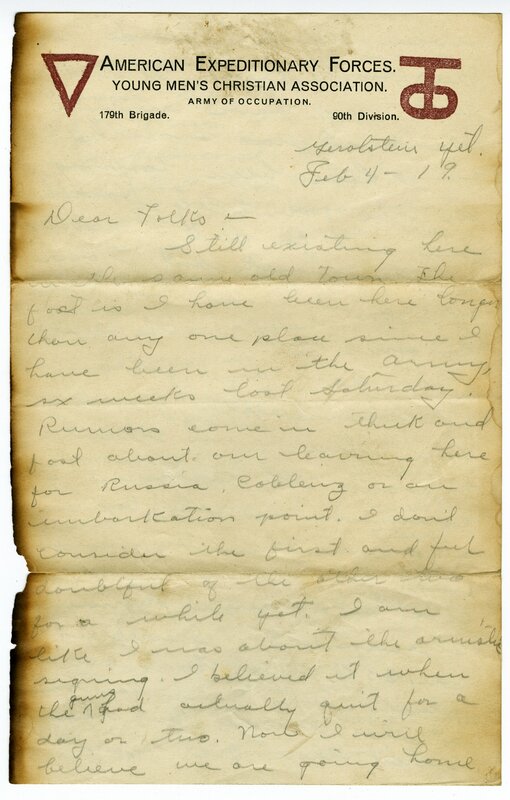 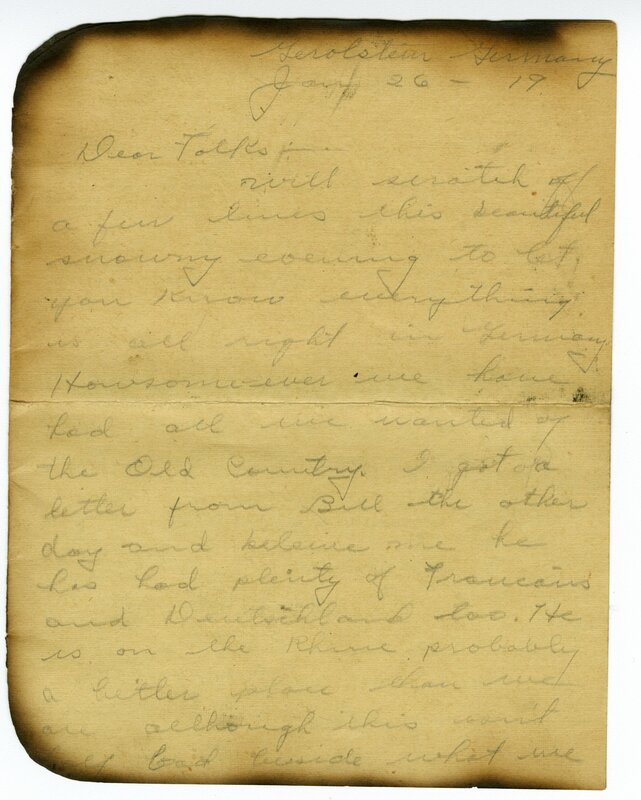 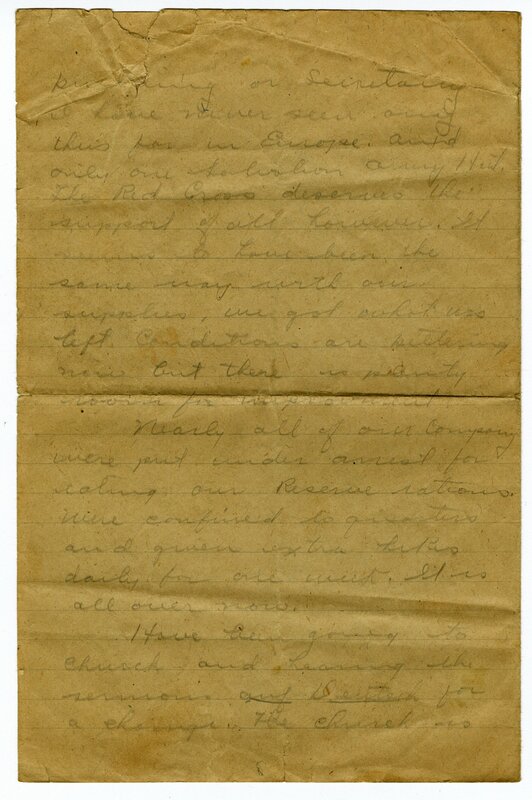 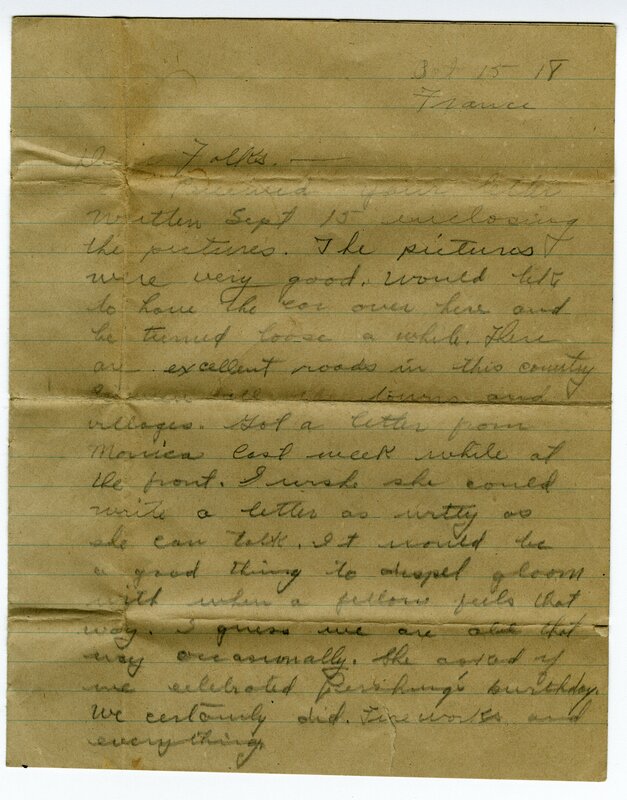 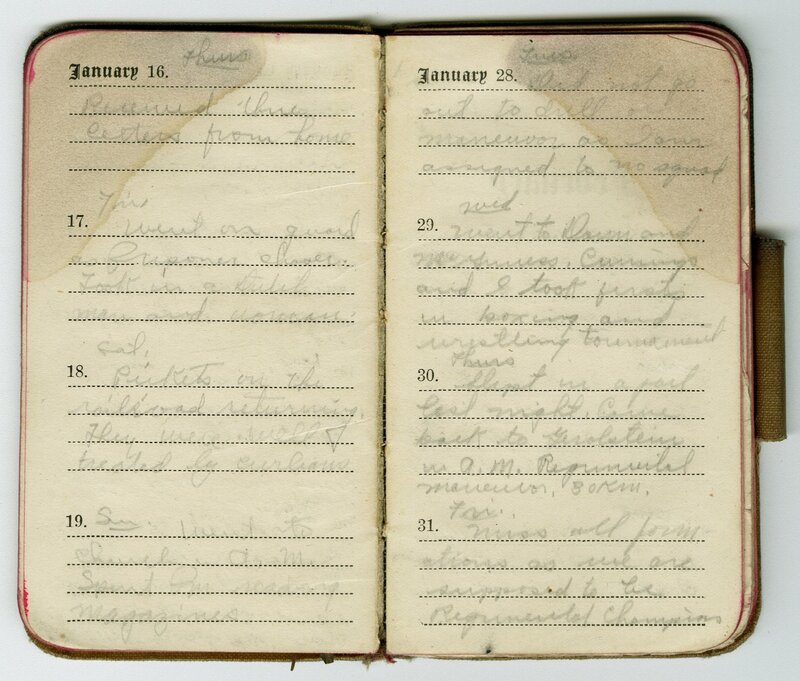 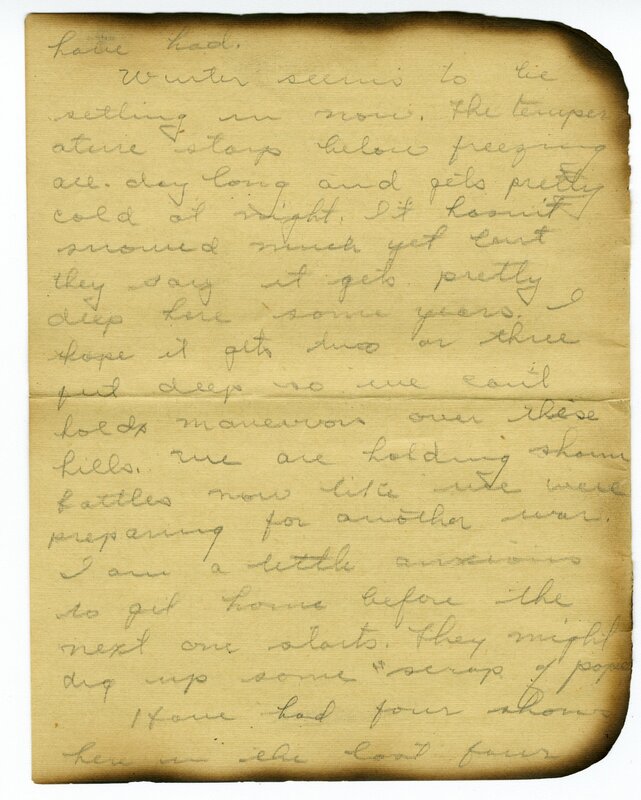 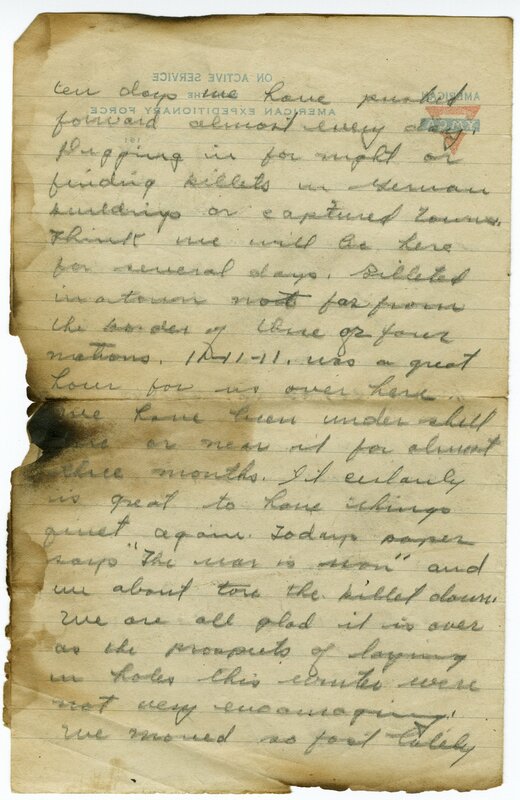 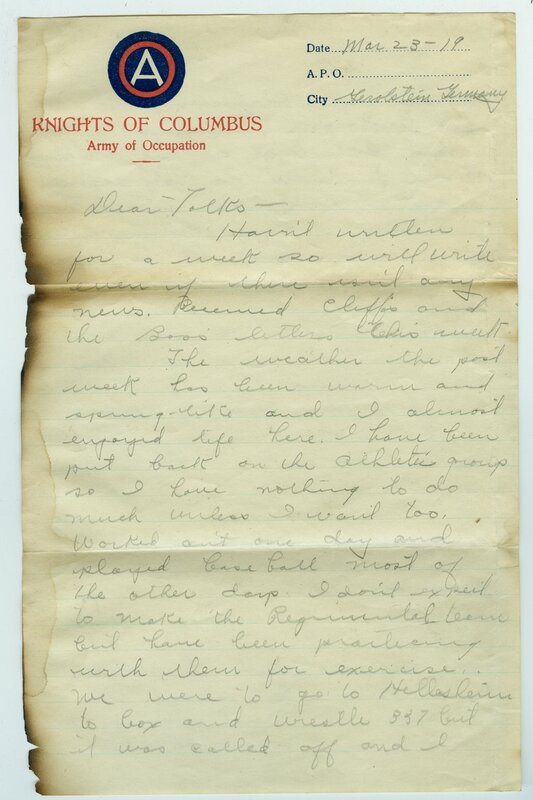 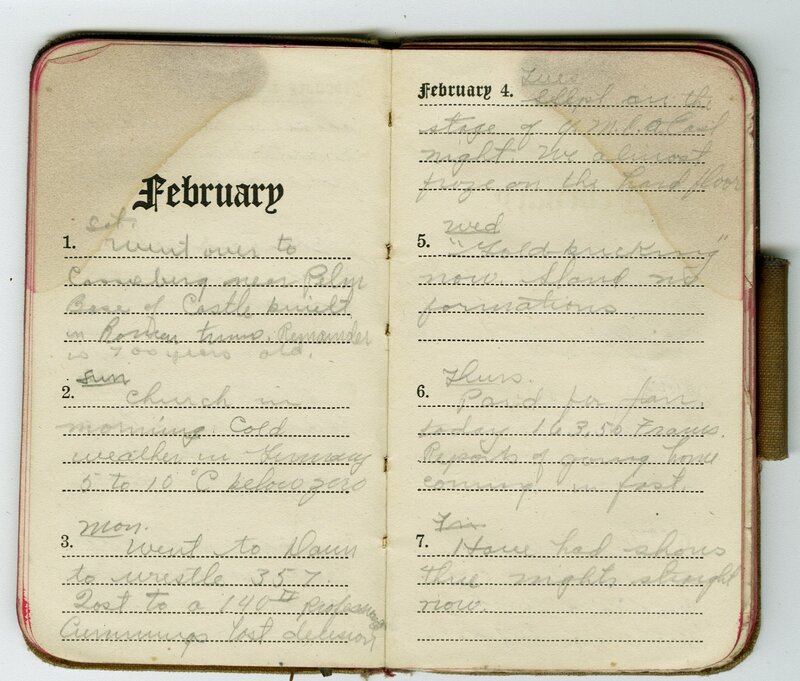 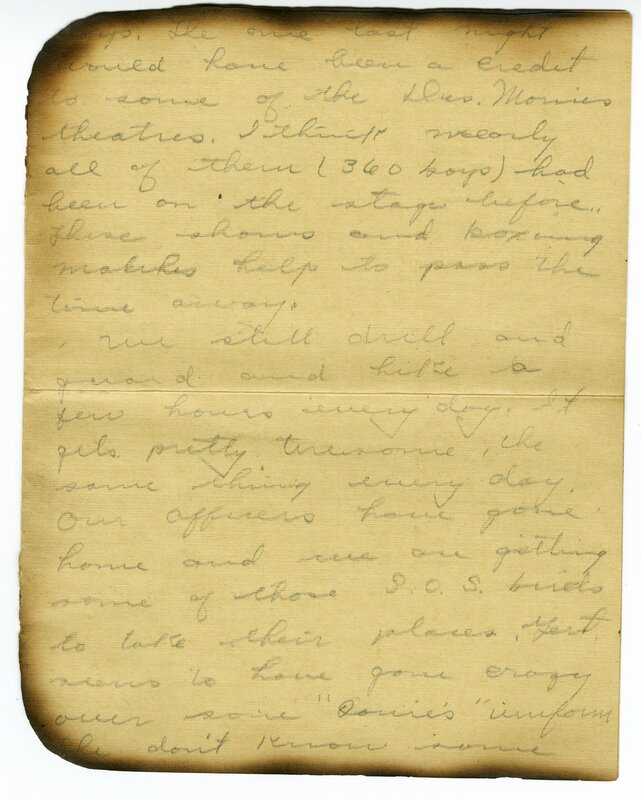 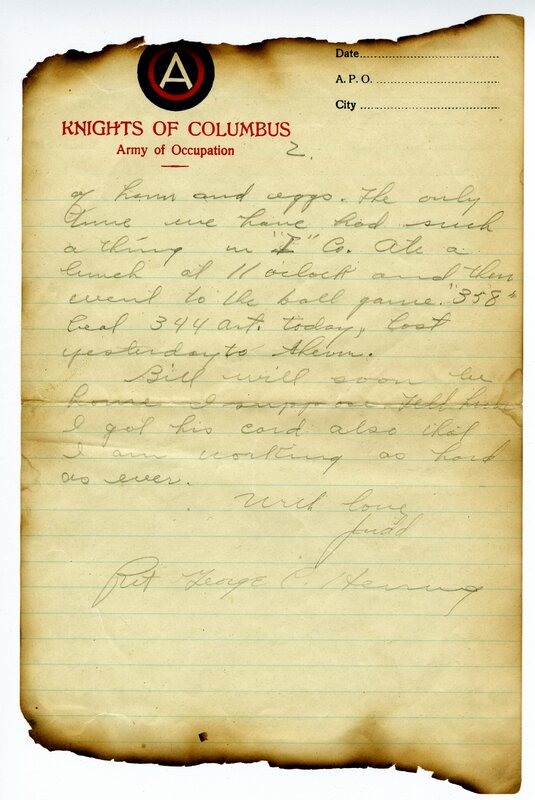 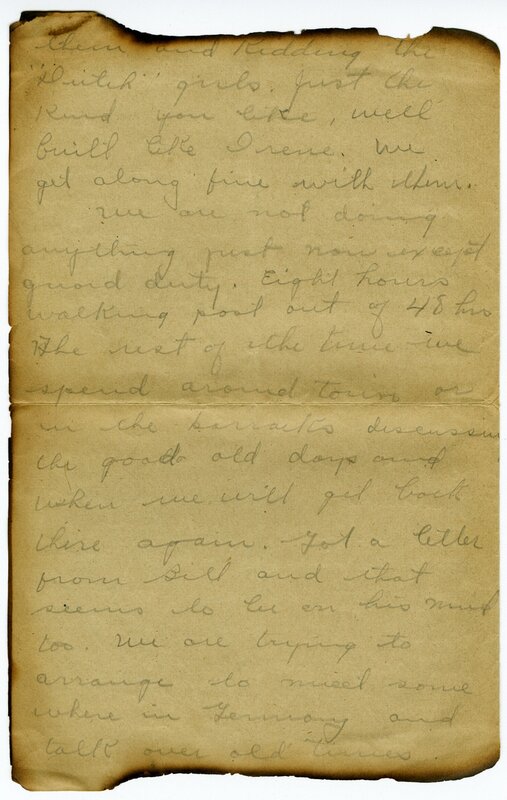 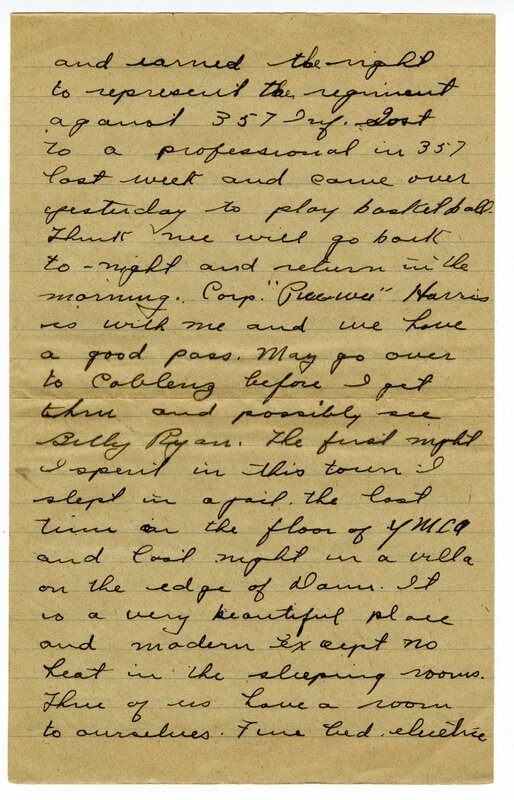 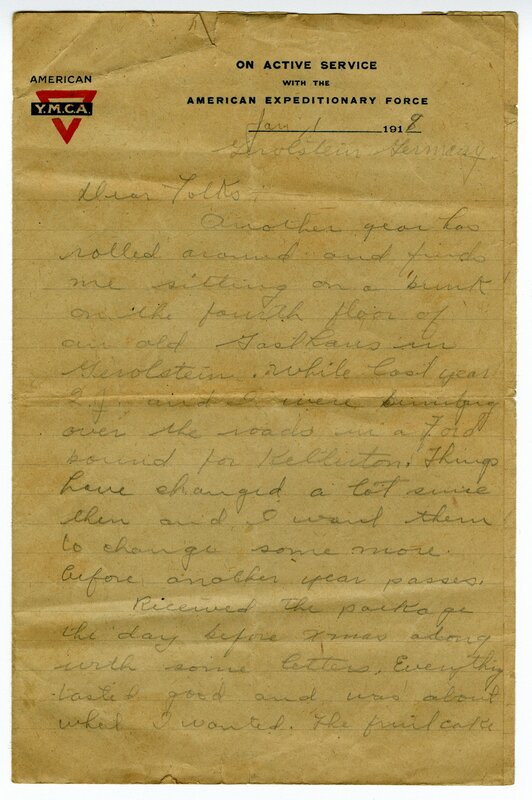 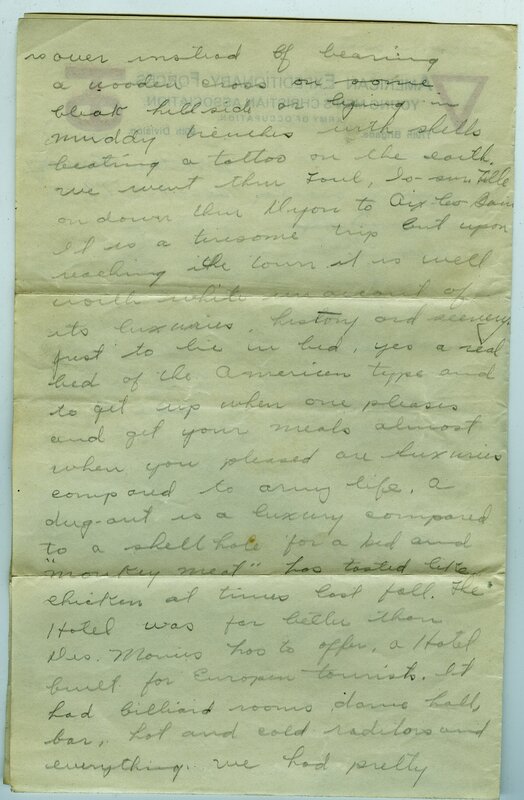 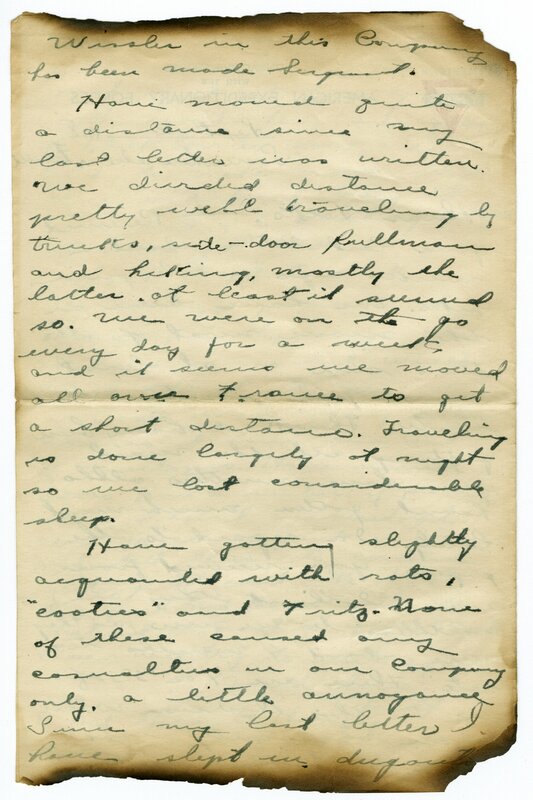 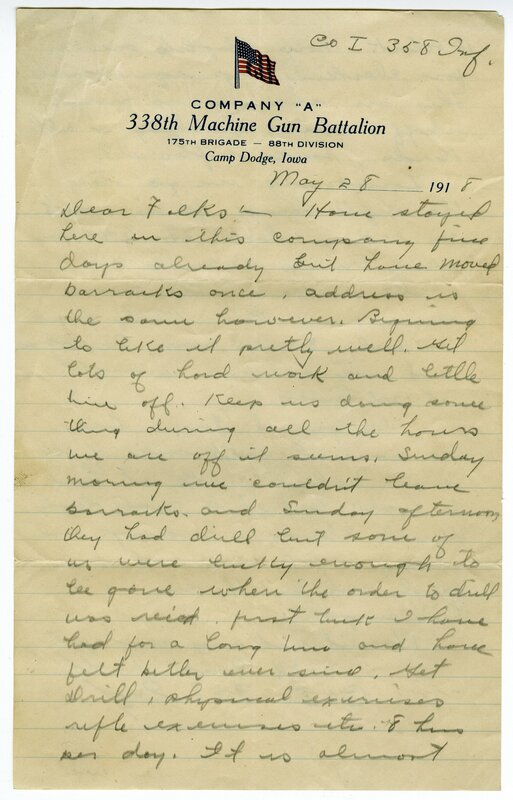 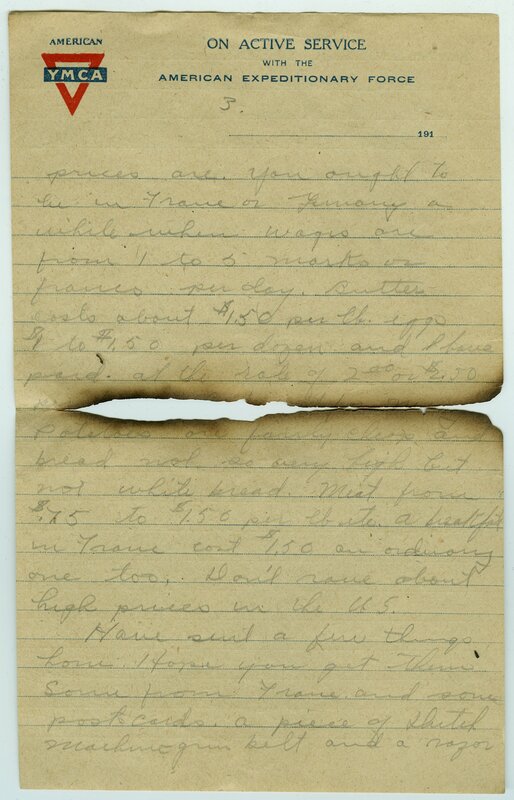 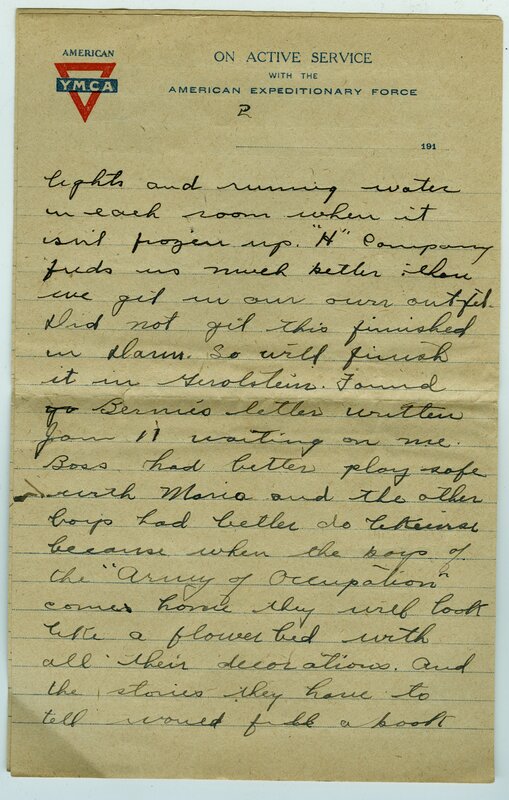 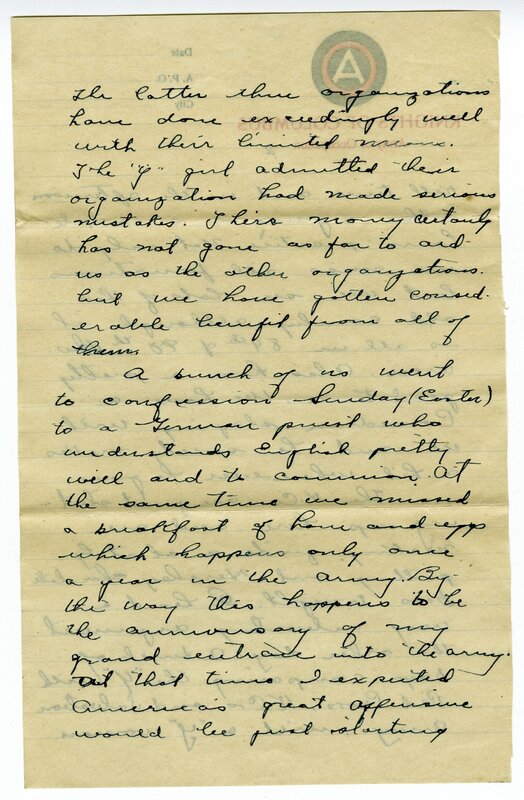 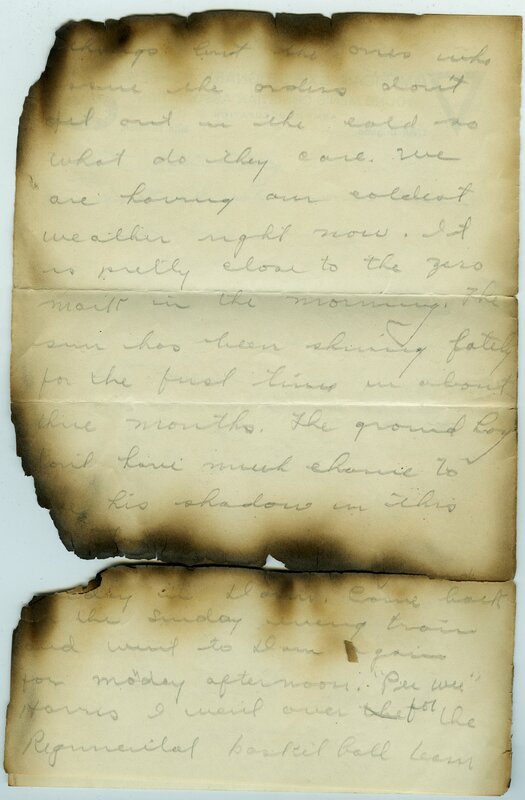 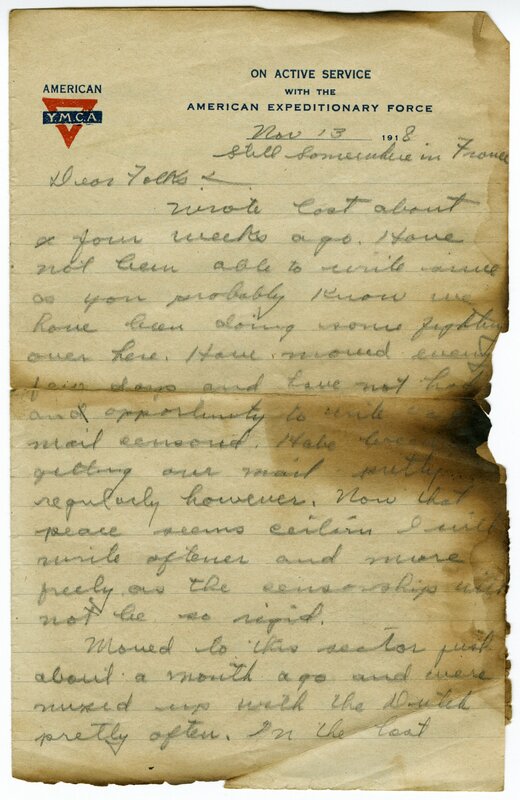 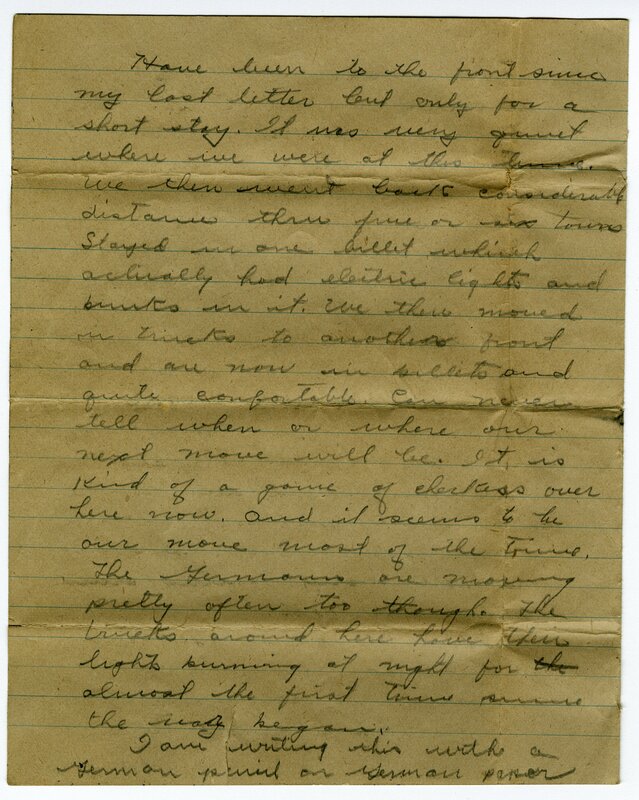 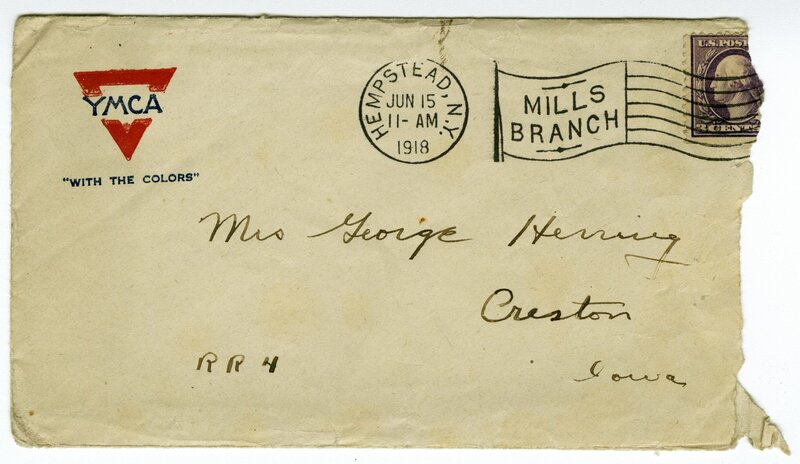 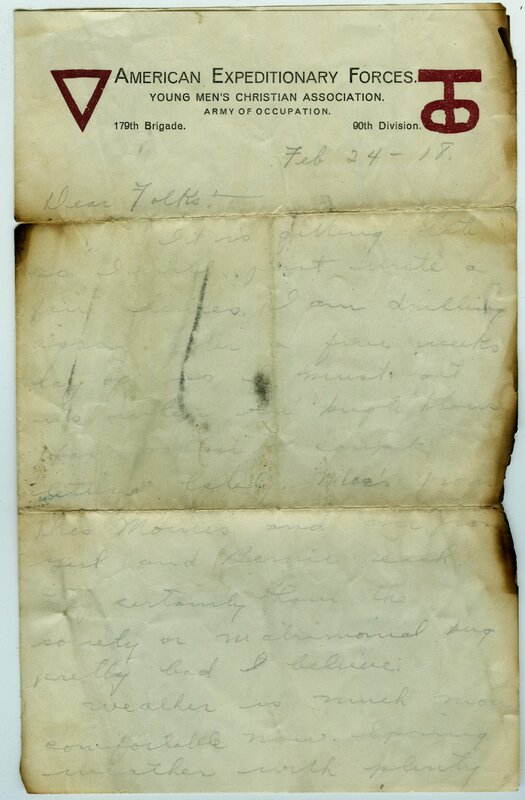 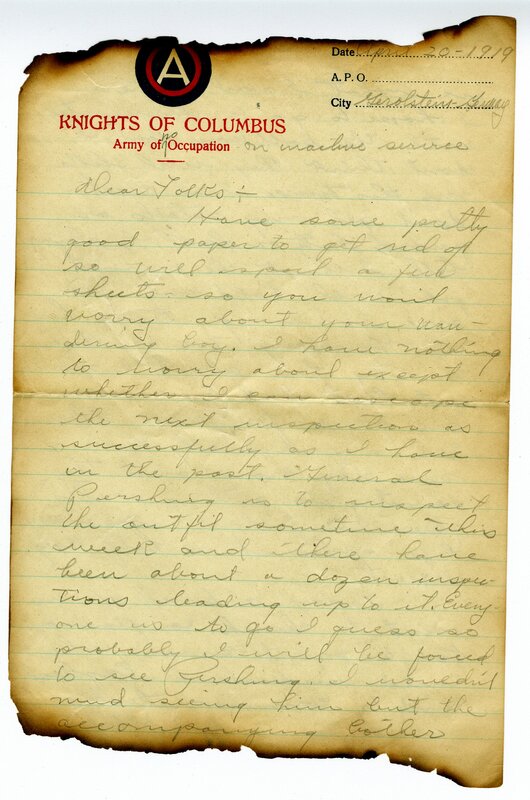 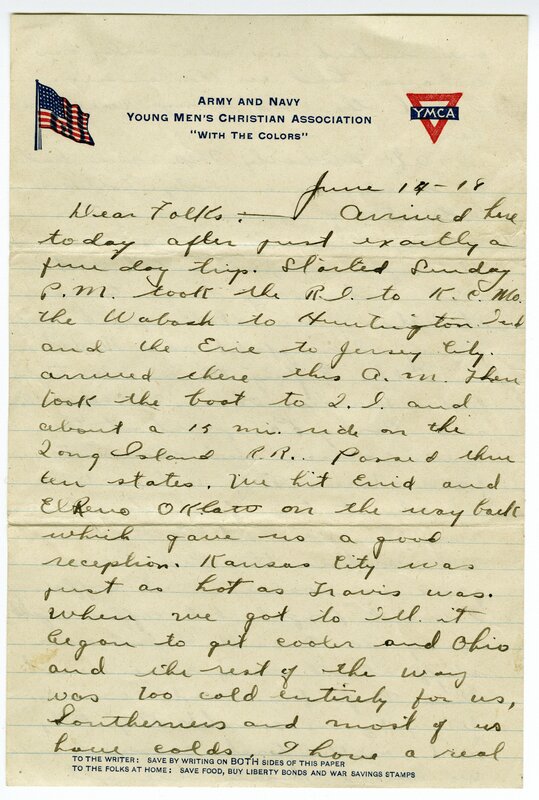 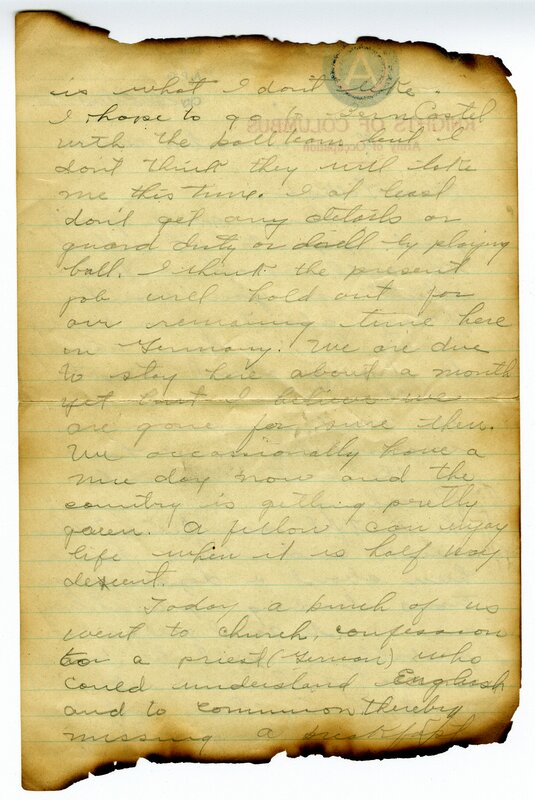 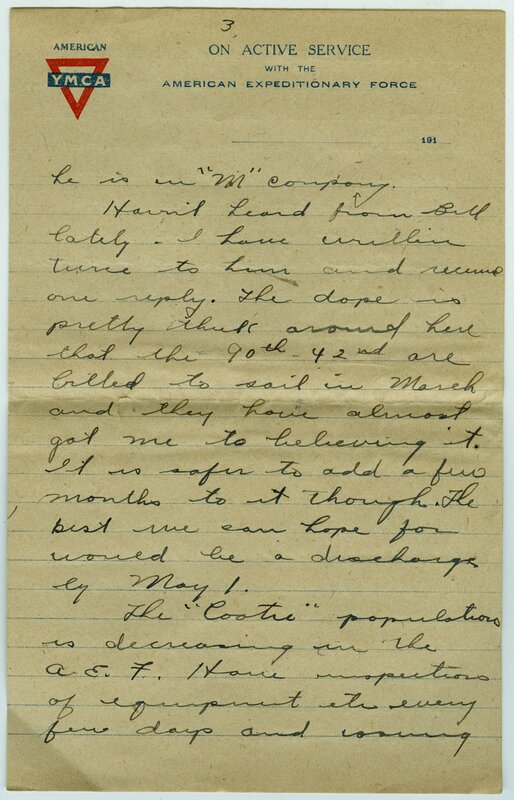 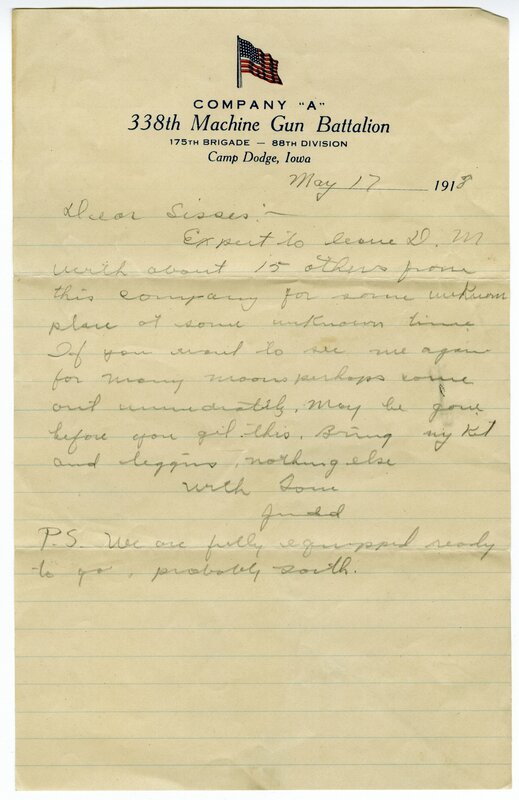 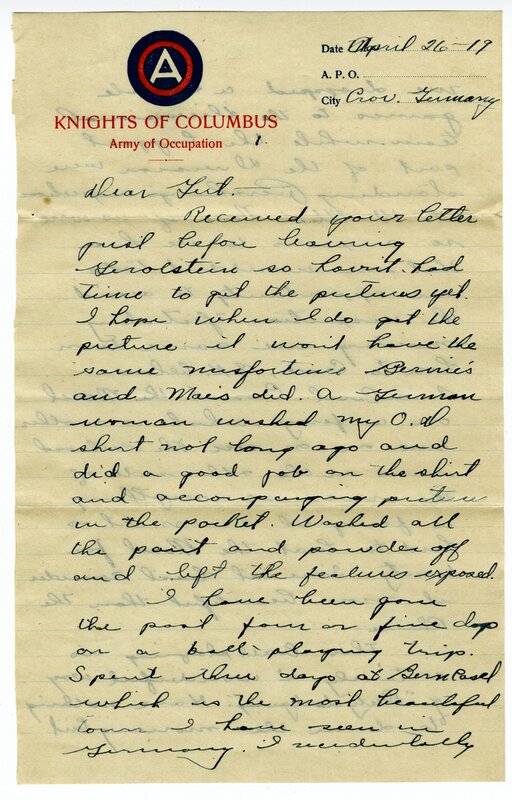 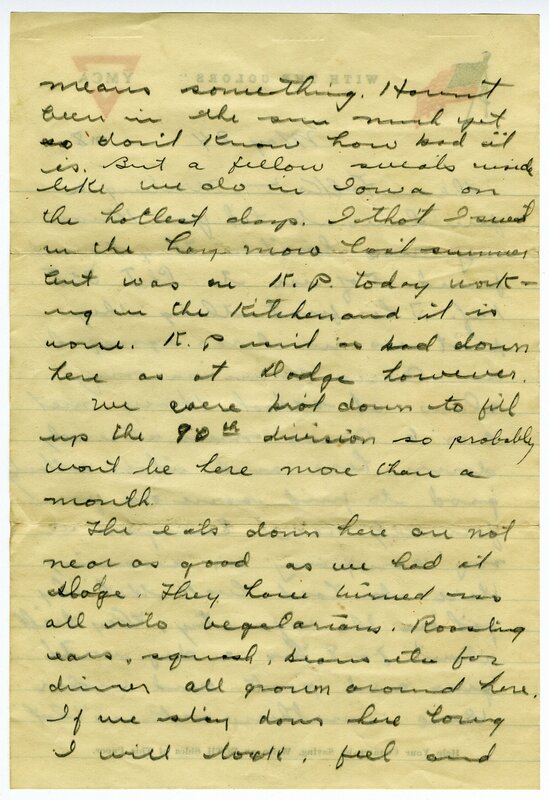 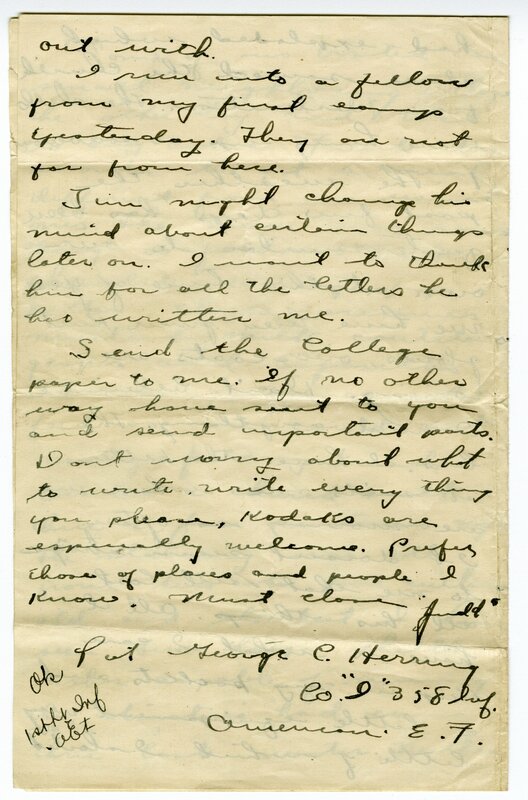 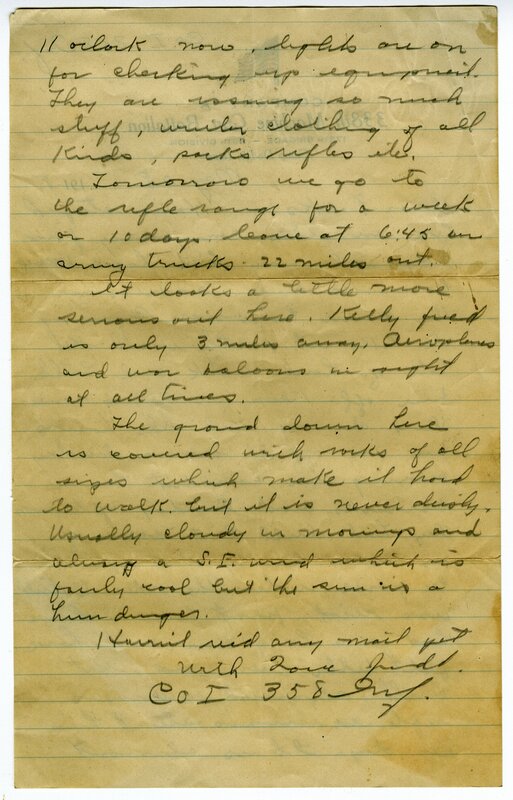 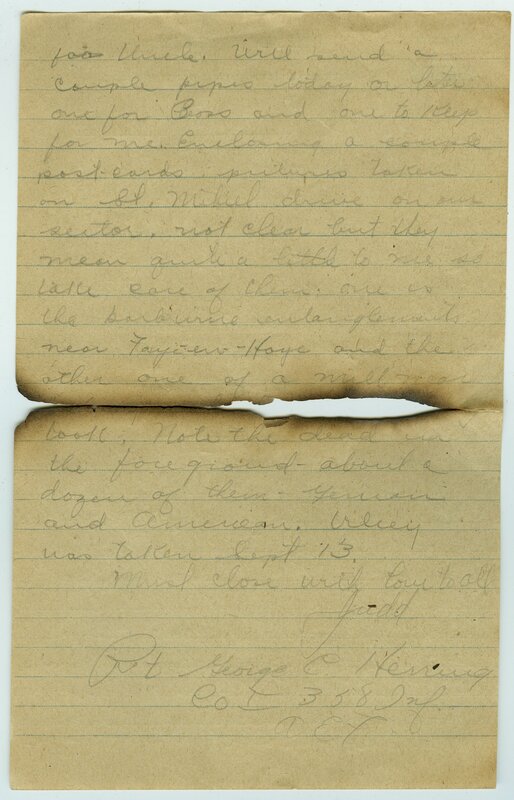 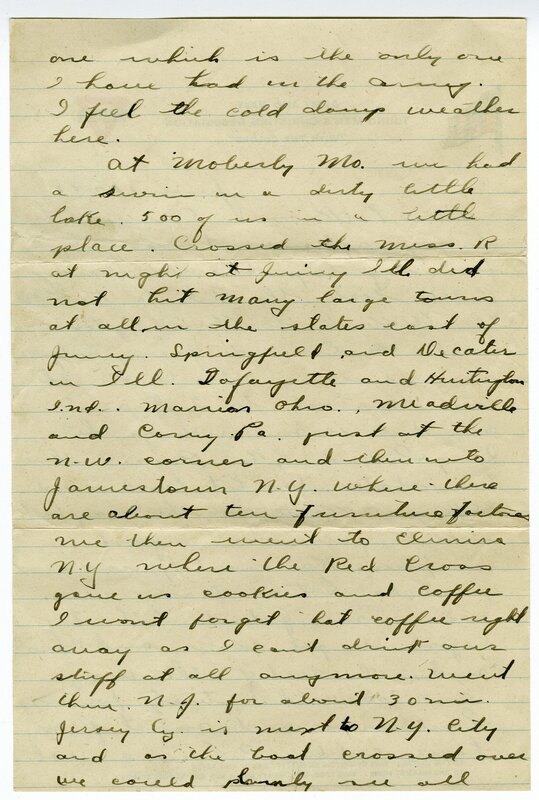 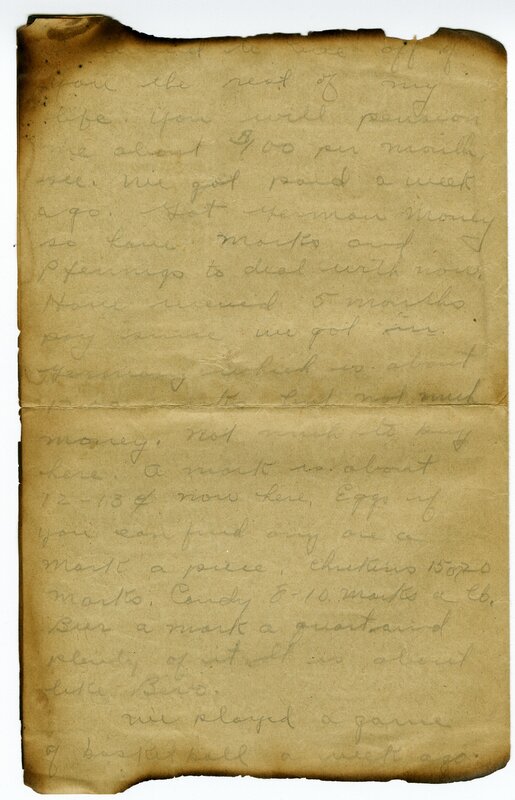 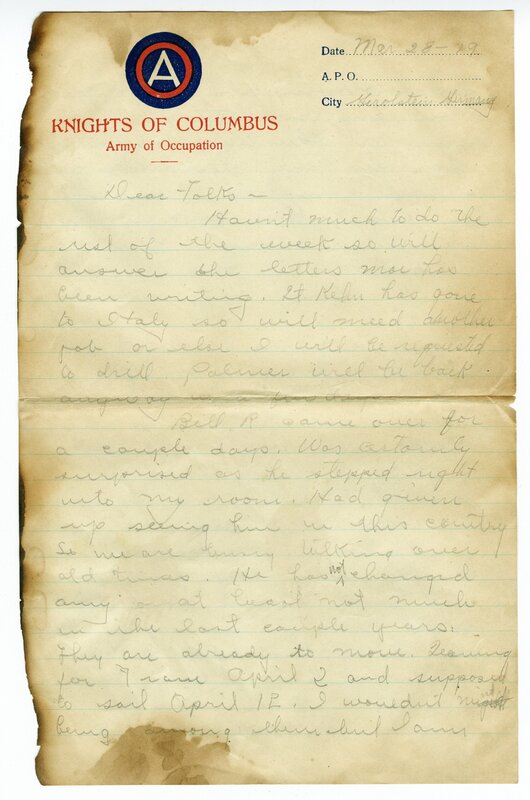 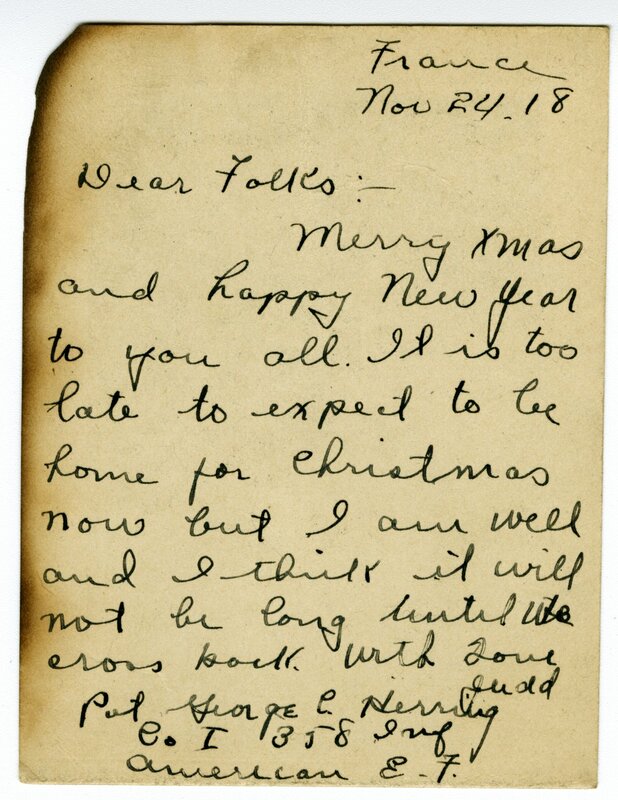 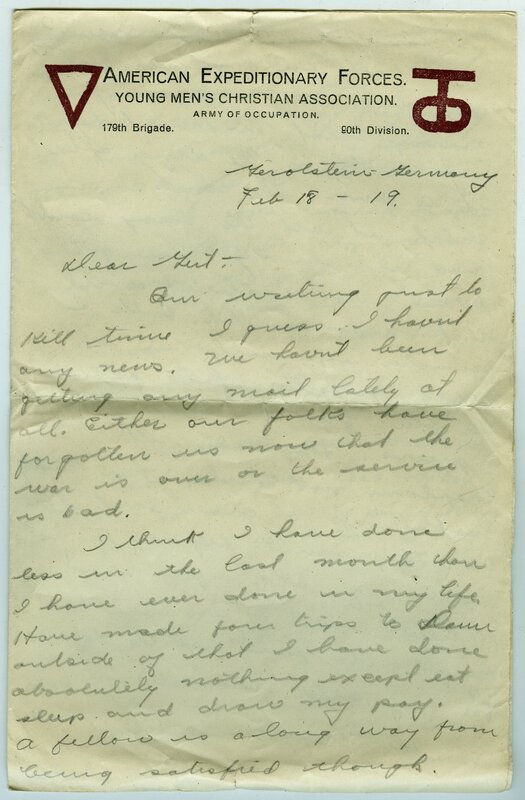 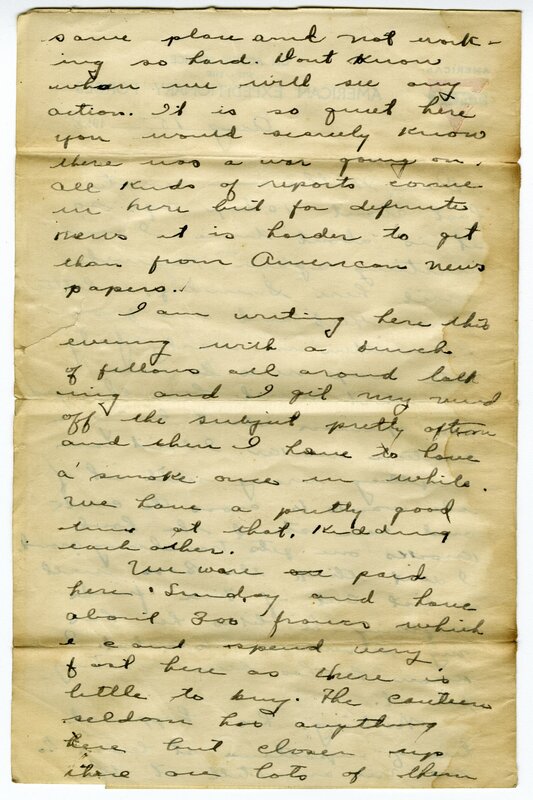 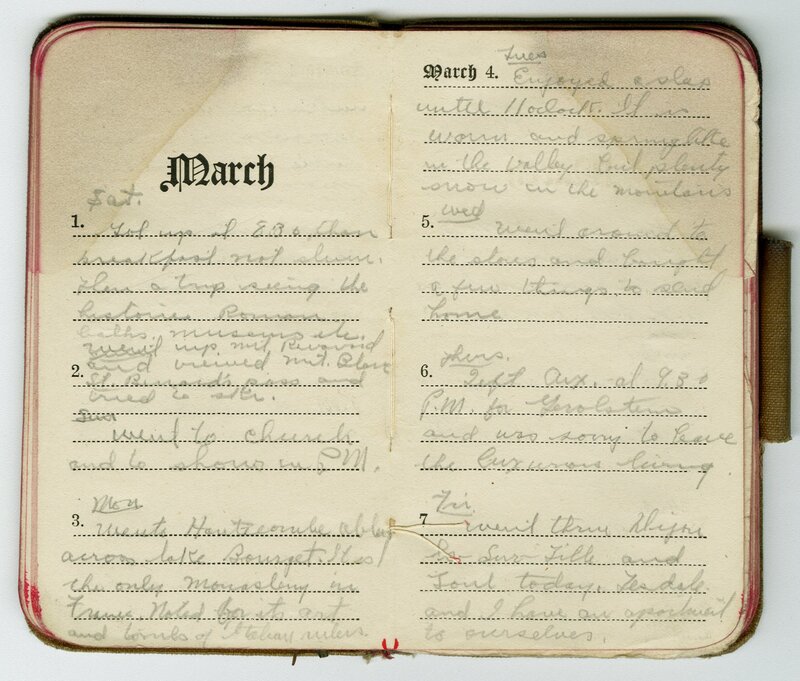 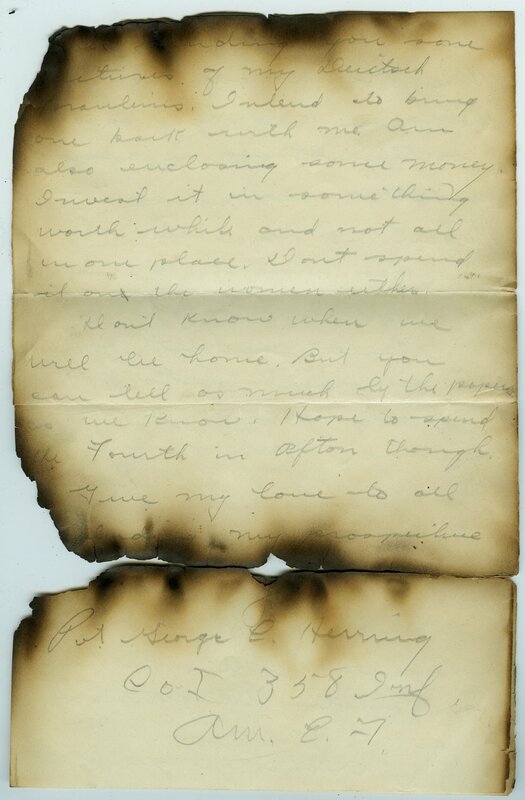 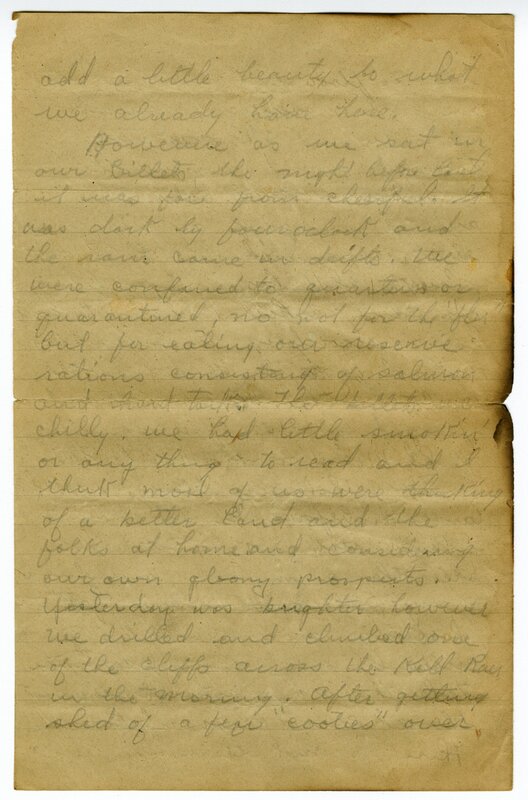 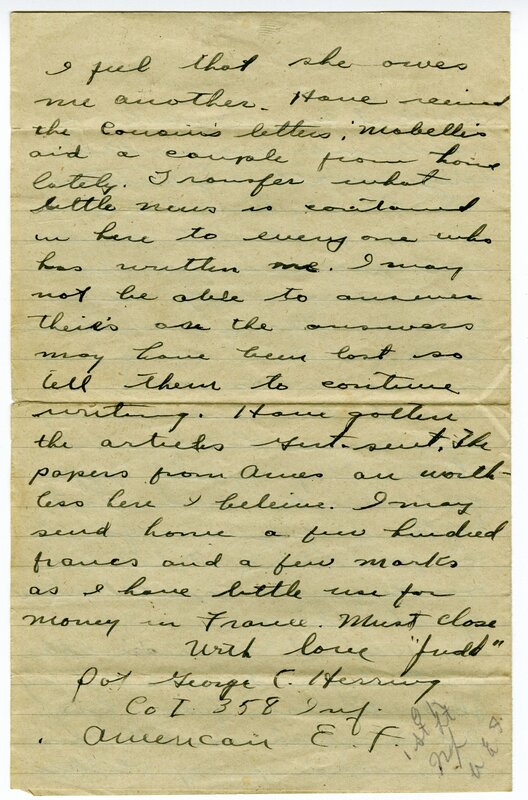 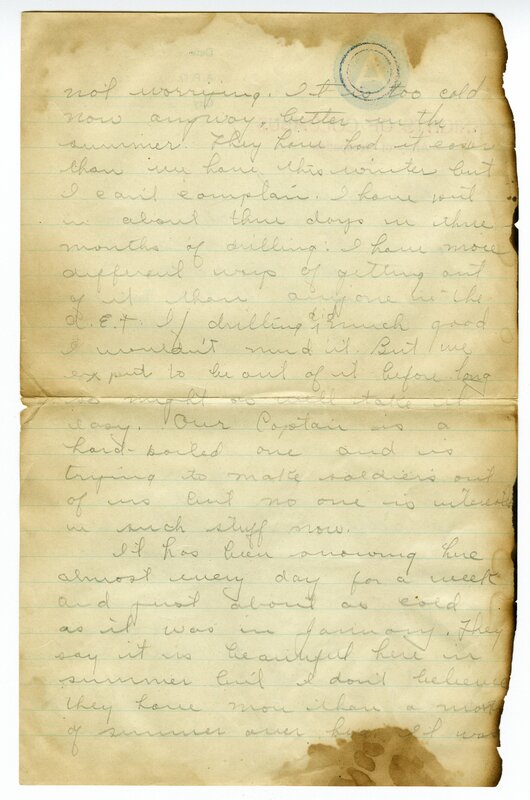 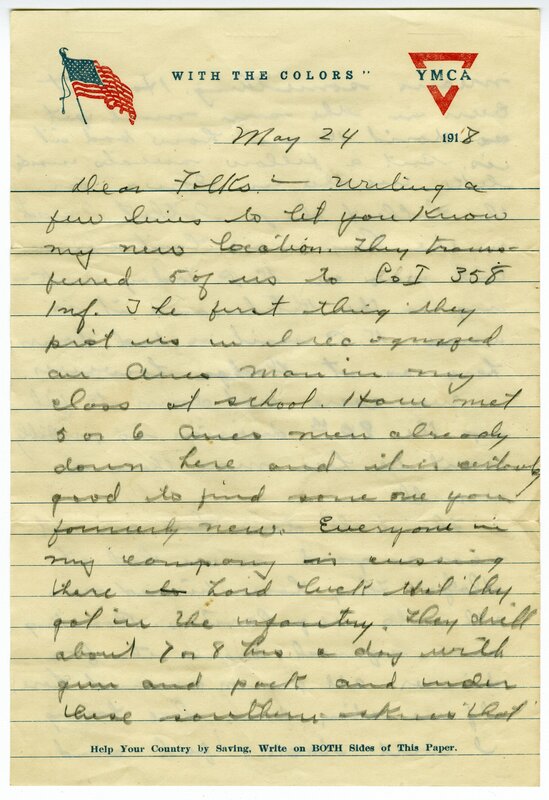 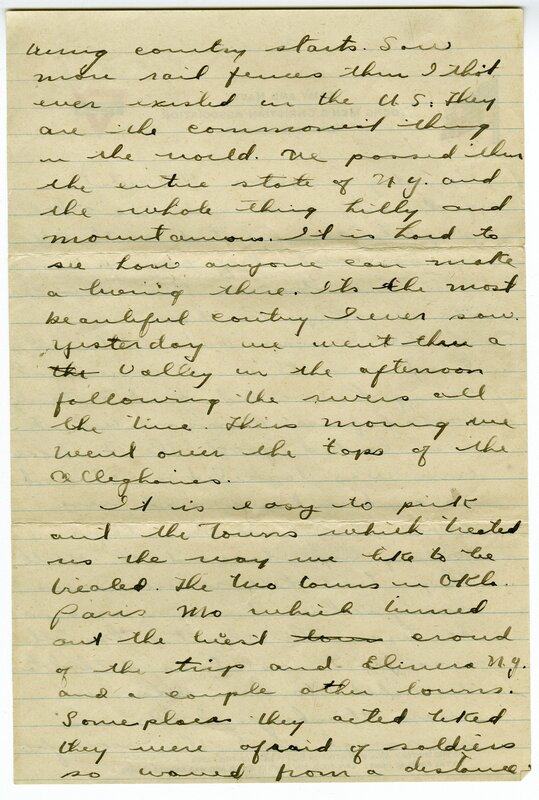 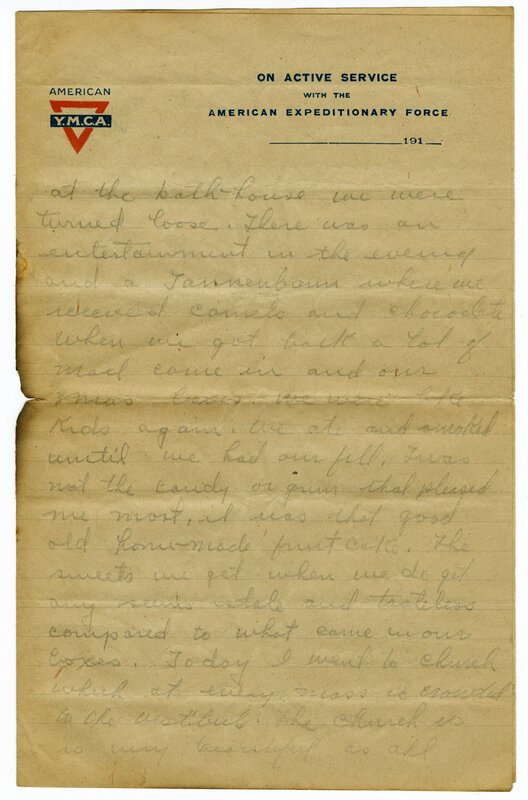 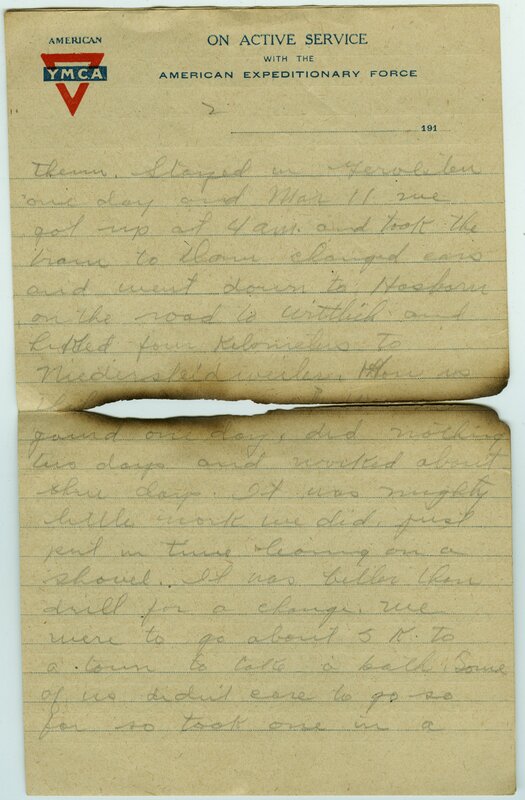 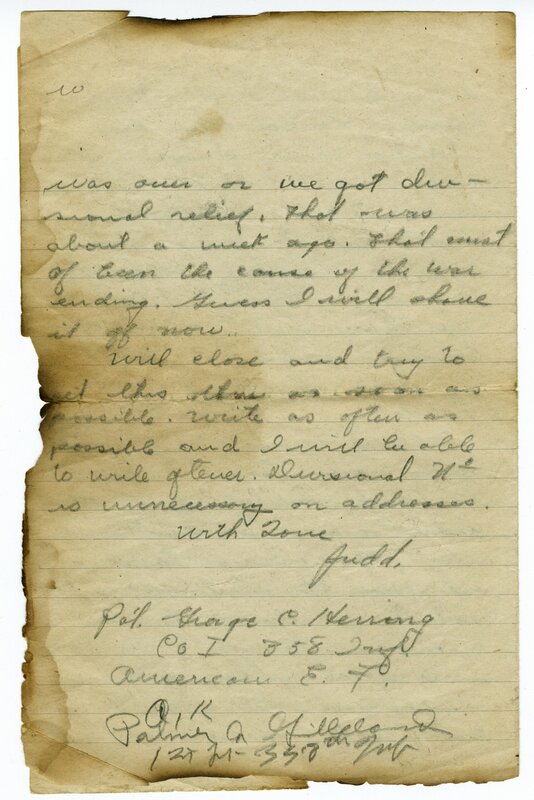 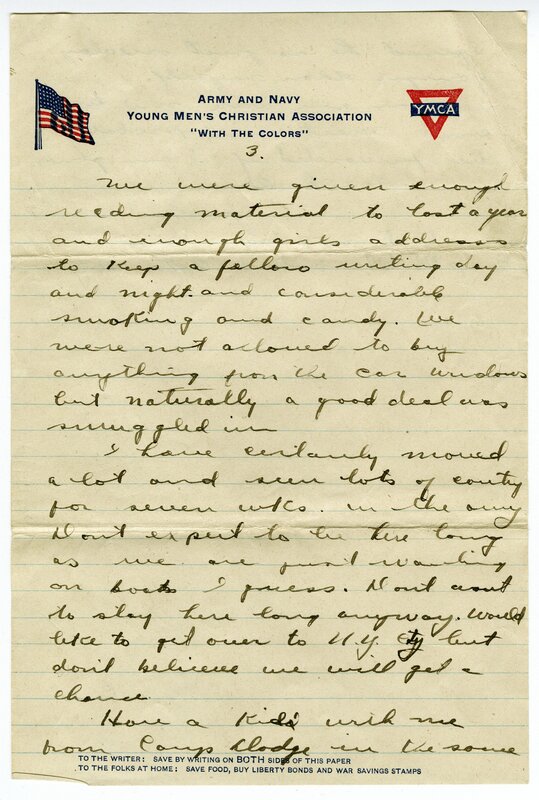 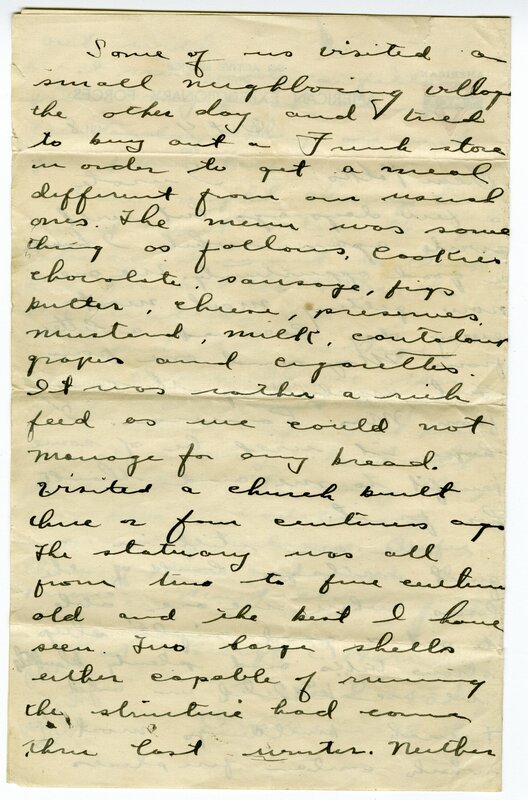 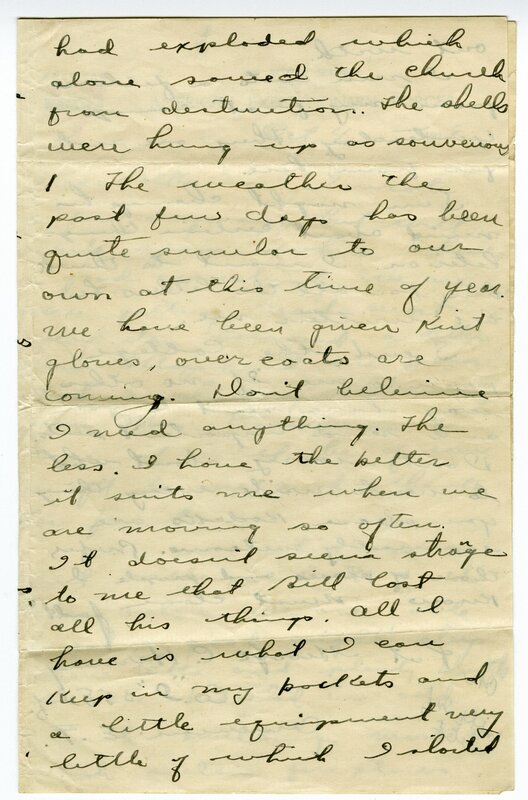 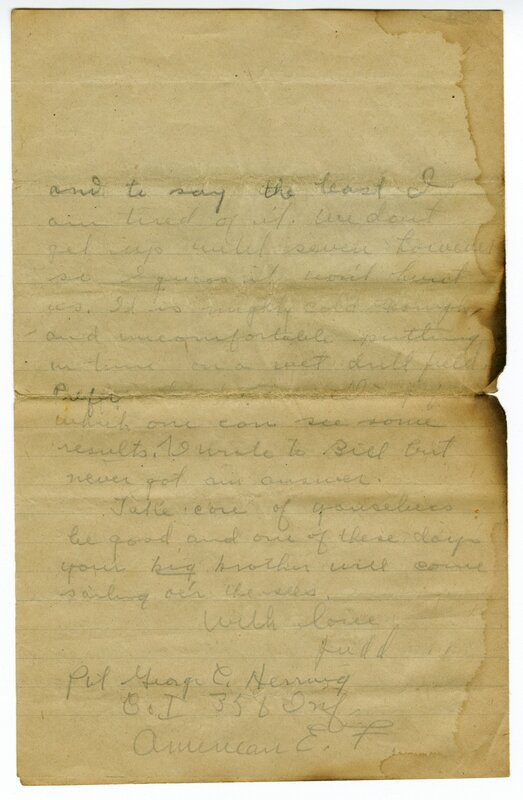 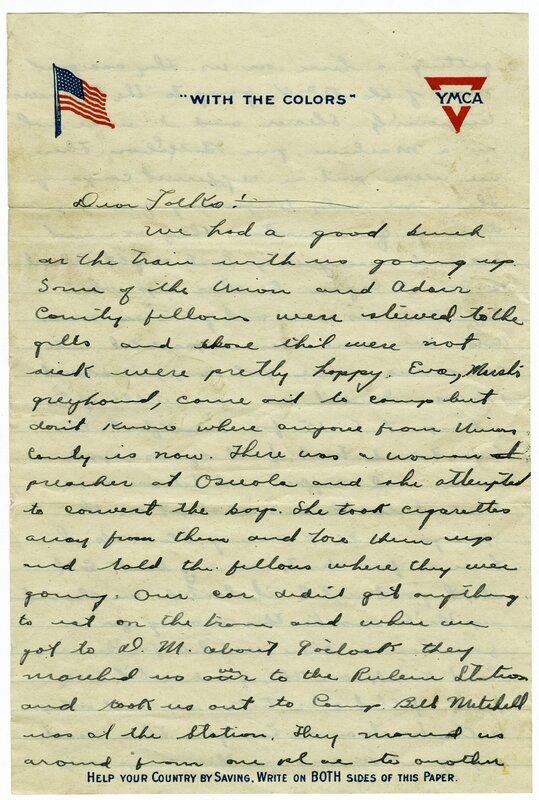 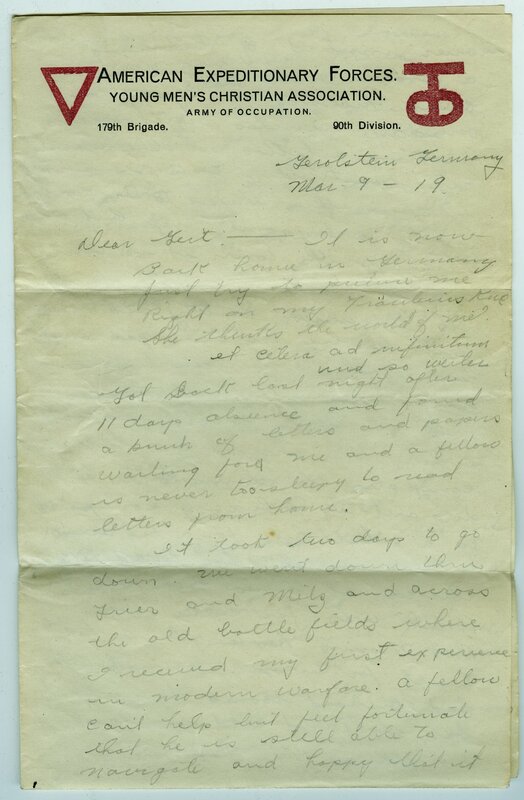 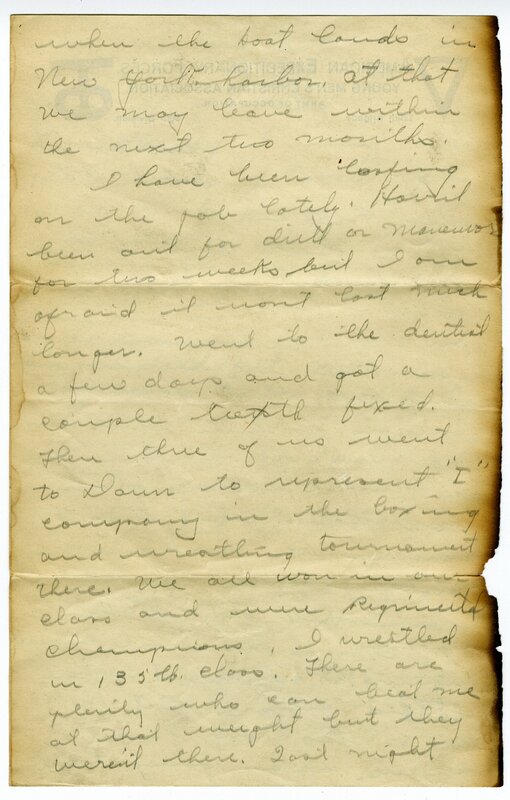 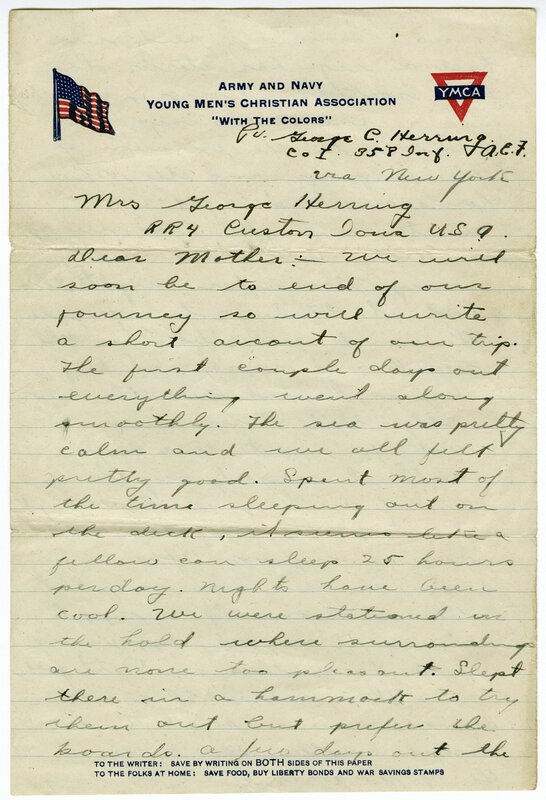 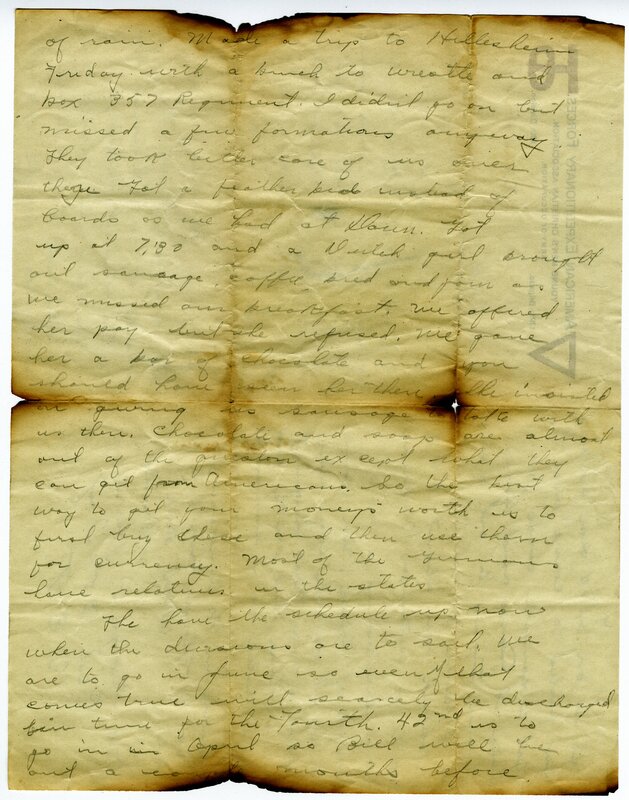 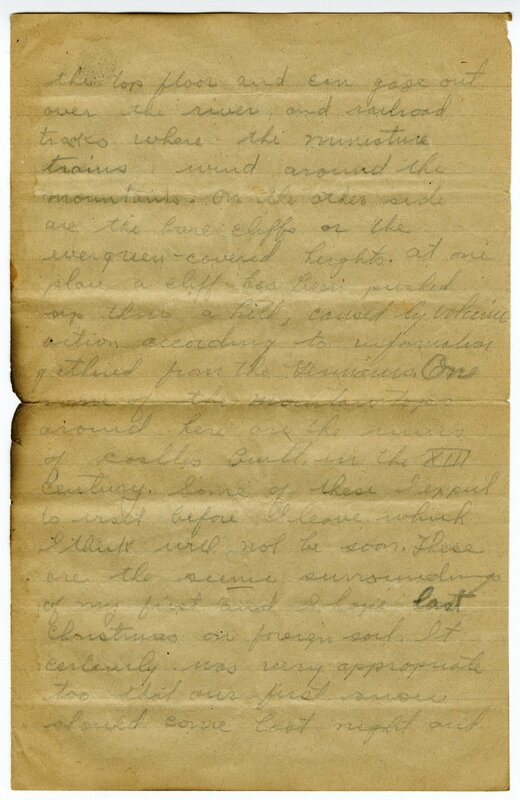 The George C. Herring, Sr., papers (.18 cubic feet, 32 items; dated 1918-1919) comprise digital scans of 31 letters and a diary written by George Herring during his service in WWI. 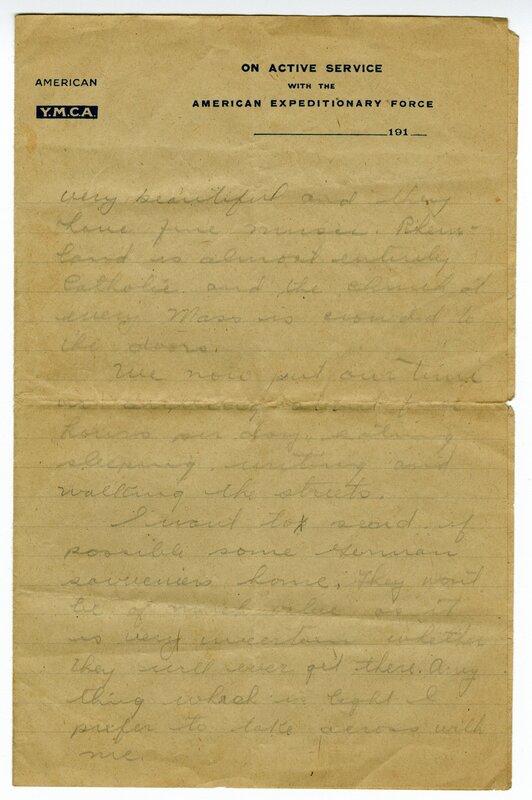 2010ms049 : [identification of item], George C. Herring, Sr., papers, 1918-1919, University of Kentucky Special Collections. 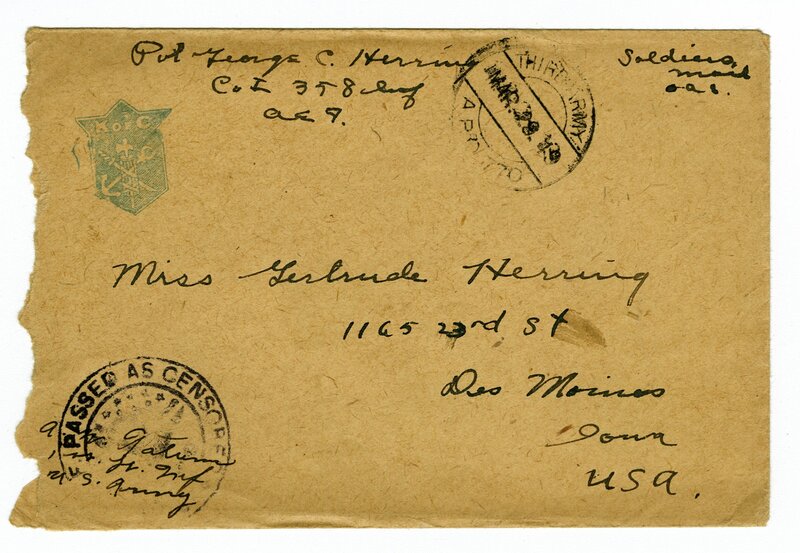 George C. Herring, Sr., was born February 18, 1894, in Creston, Iowa, into a German-American farm family. 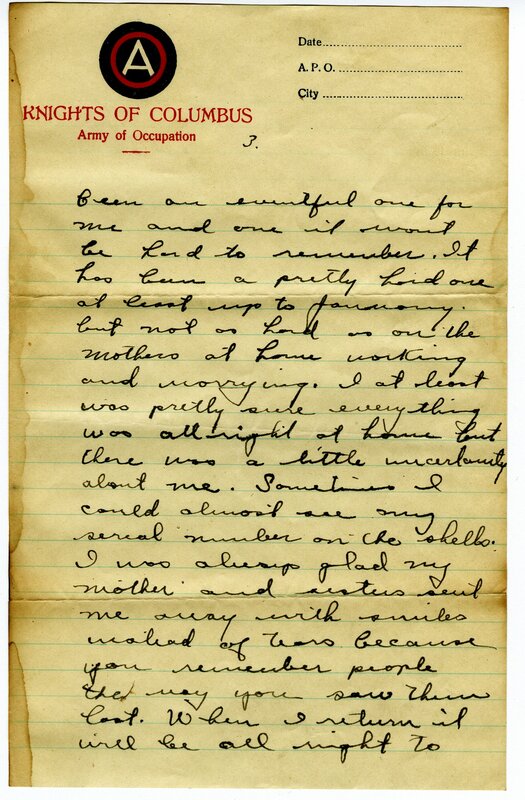 He had three brothers and three sisters. 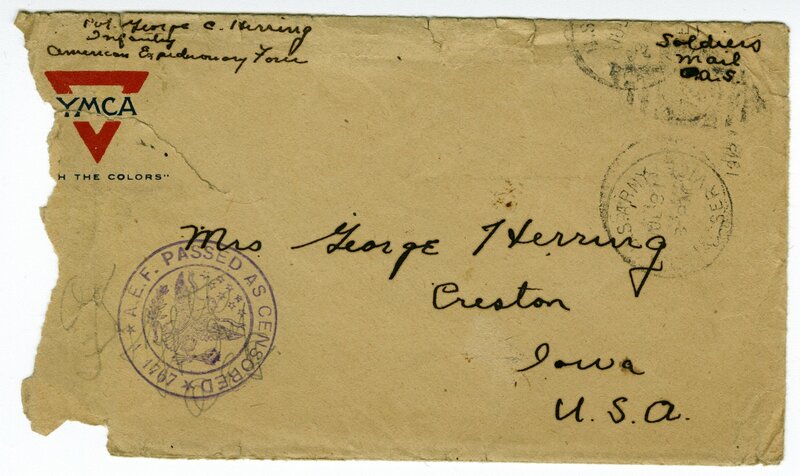 After finishing high school in Creston, he studied for a year at Creighton University in Omaha, Nebraska, and then transferred to Iowa State College in Ames, Iowa. 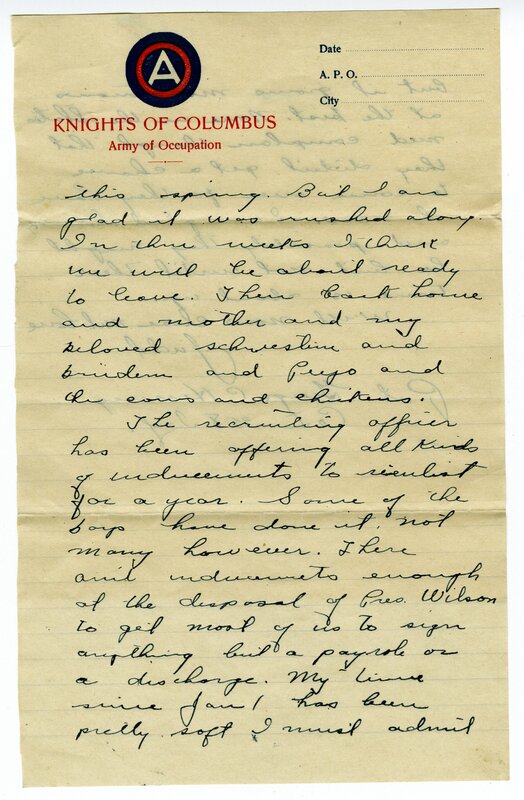 While a student at Iowa State, he received his draft notice, and he entered the U.S. Army in April 28, 1918. 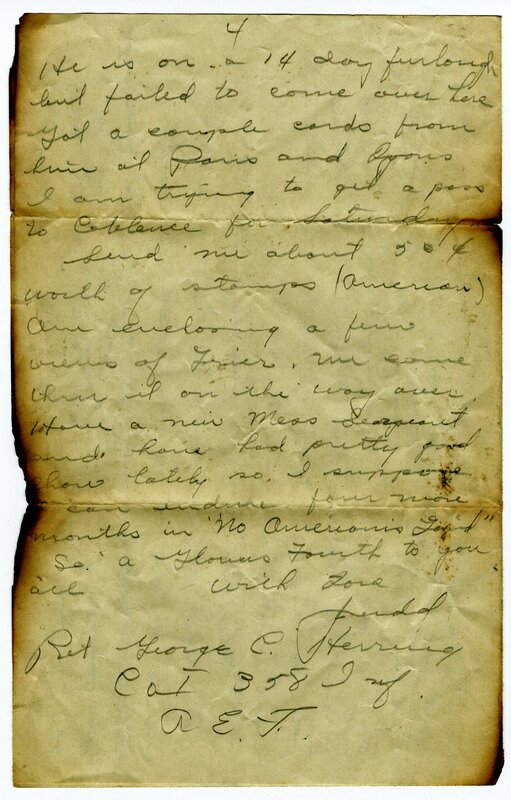 After training in Des Moines, Iowa, and San Antonio, Texas, he sailed to France with the 90th Division. 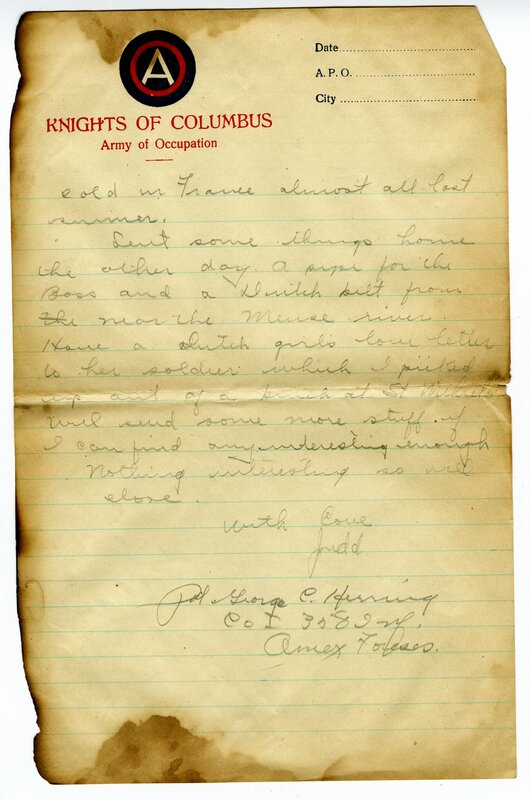 He fought in the major battles of St. Michel and the Meuse-Argonne in the fall of 1918. 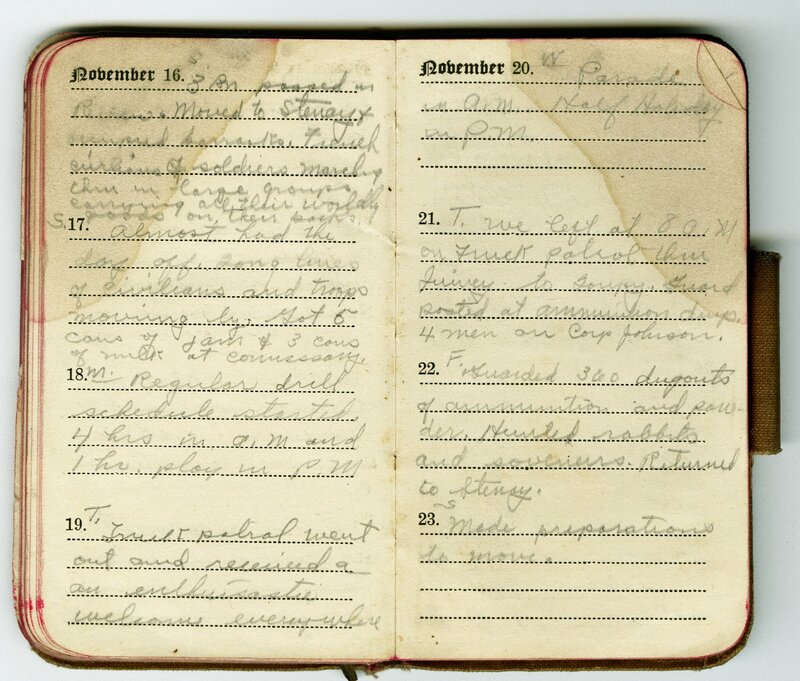 Following the armistice on November 11, 1918, he served in the U.S. occupation army and was station in Gerolstein, Germany. 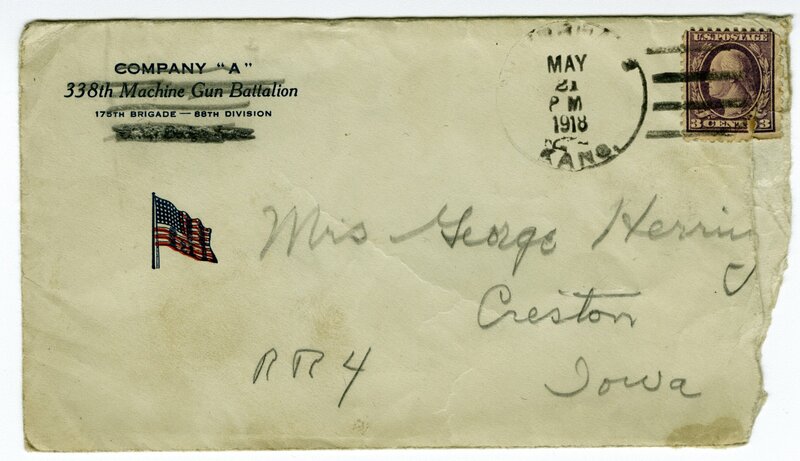 He was discharged from the Army on June 14, 1919. 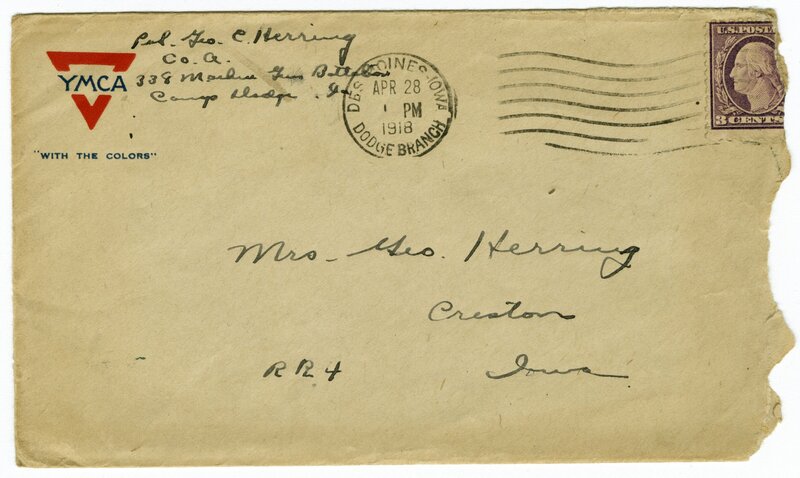 After finishing his degree at Iowa State, Herring took a position in the animal husbandry department at Virginia Polytechnic Institution in Blacksburg, Virginia. 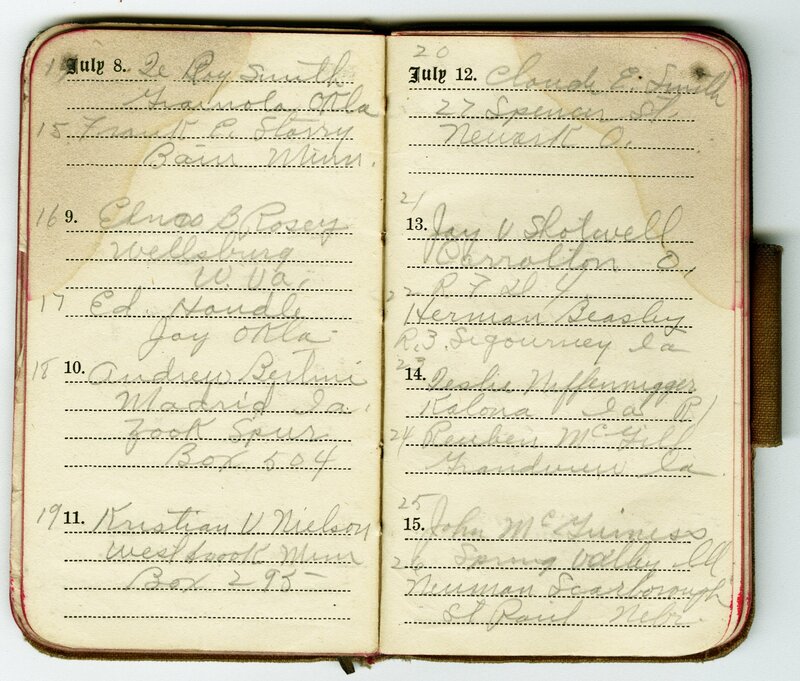 In his first years at V.P.I., he also coached the wrestling team. 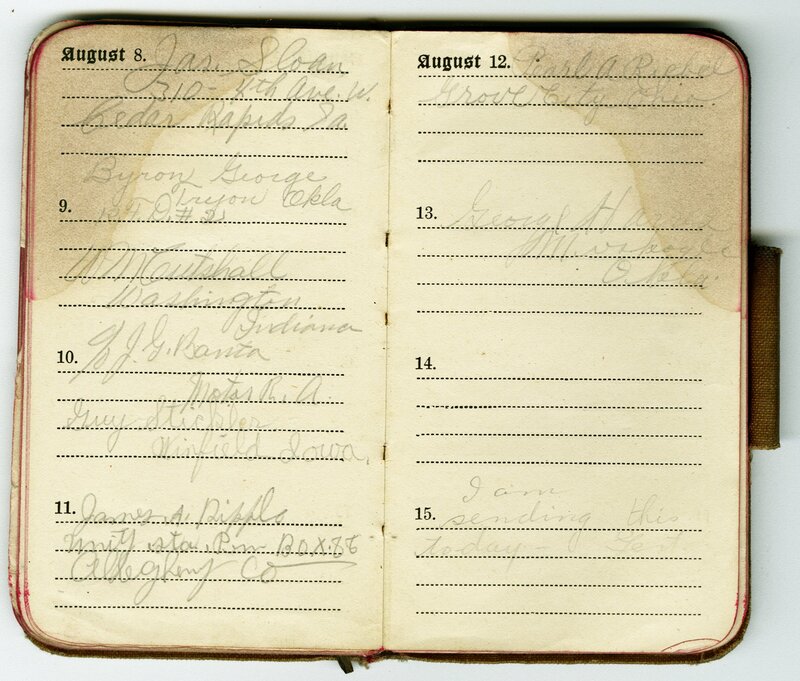 The served that institution in various capacities until his retirement in 1962. 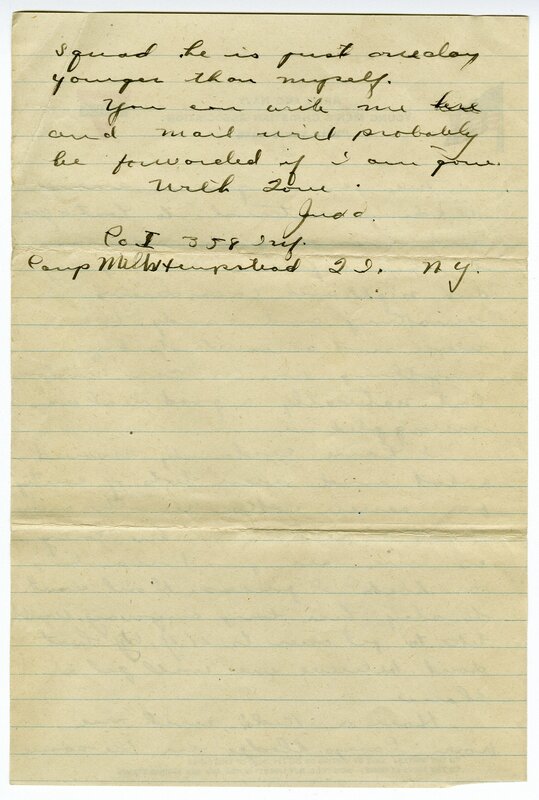 At that time, he was associate director of the Virginia Agricultural Extension Service. 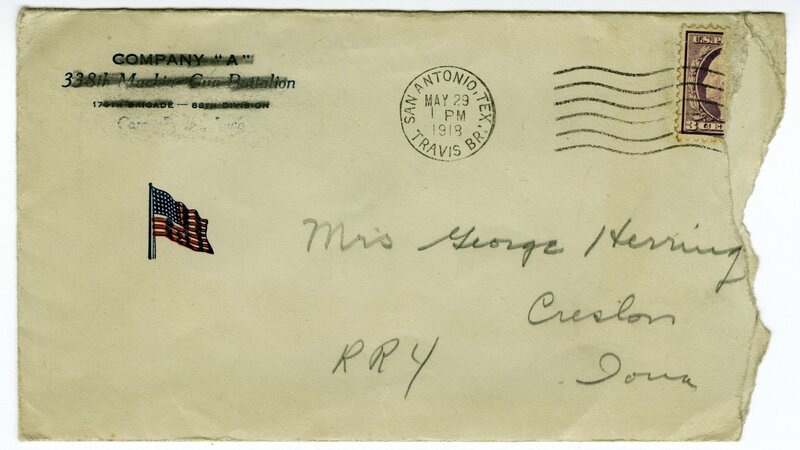 In 1927, he married Gordon Saunders of Chase City, Virginia. 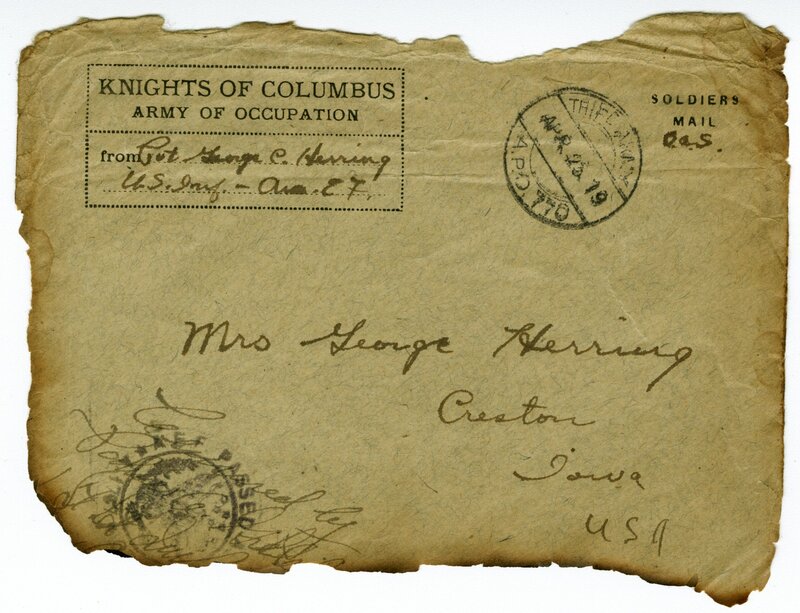 The couple had two children, Anne Gordon, born January 13, 1929, and George C., Jr., born May 23, 1936, and six grandchildren. 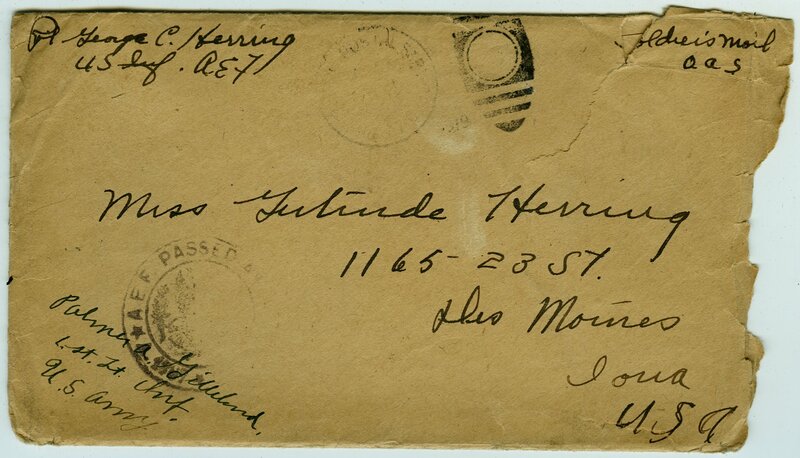 Herring died December 7, 1971. 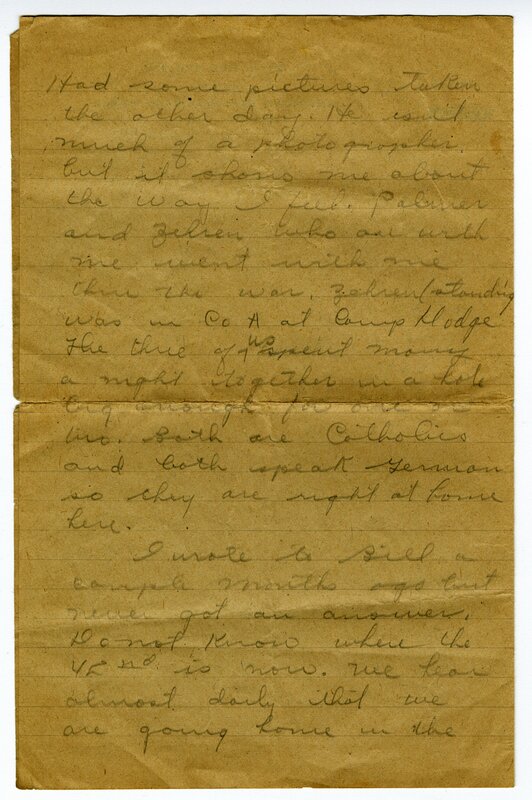 The George C. Herring, Sr., papers (.18 cubic feet, 32 items; dated 1918-1919) comprise digital scans of 31 letters and a diary written by George Herring during his service in WWI. 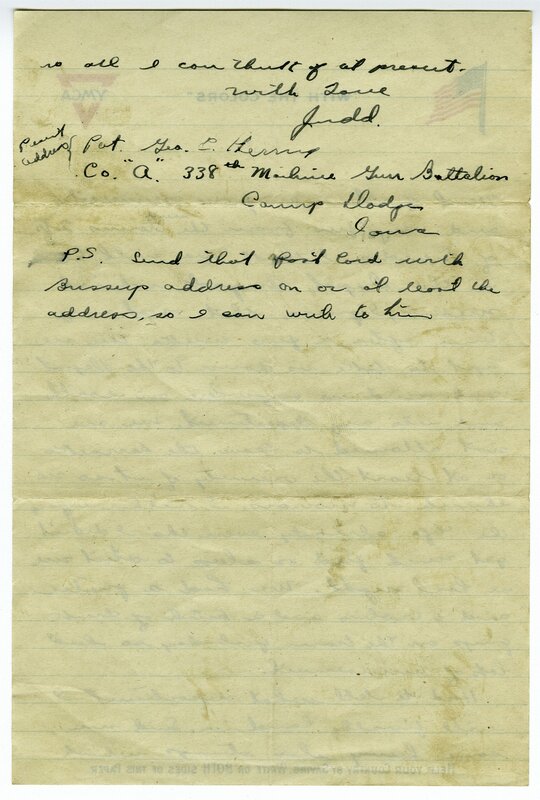 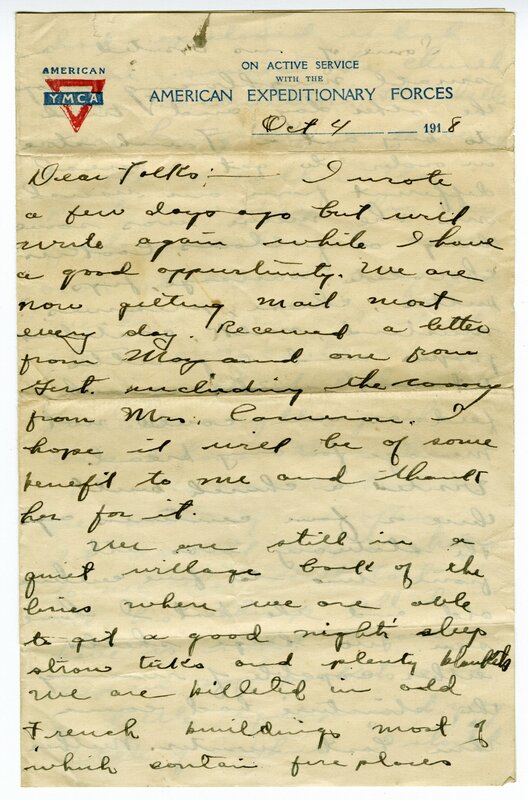 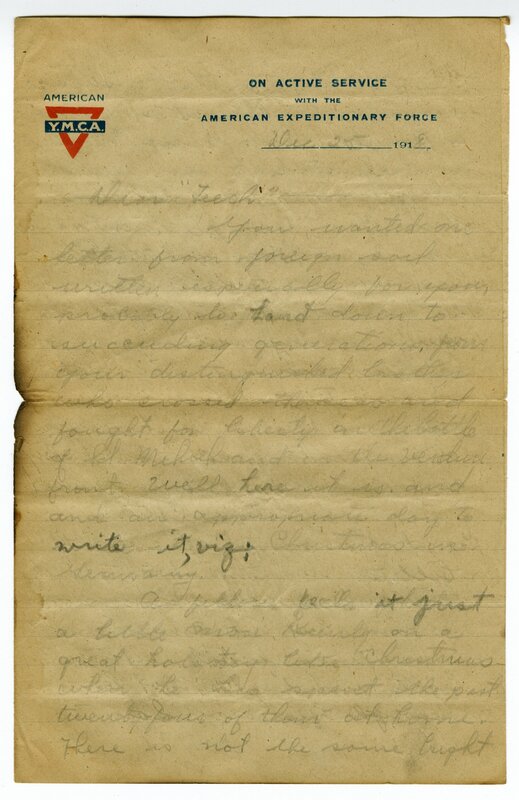 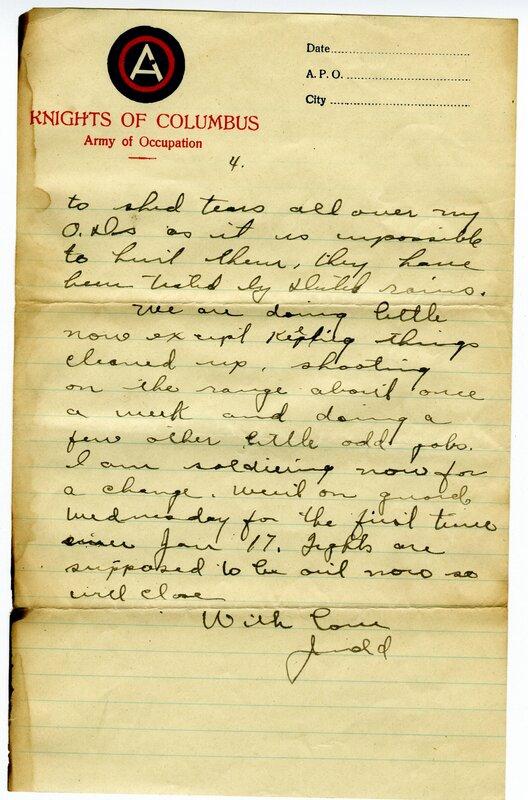 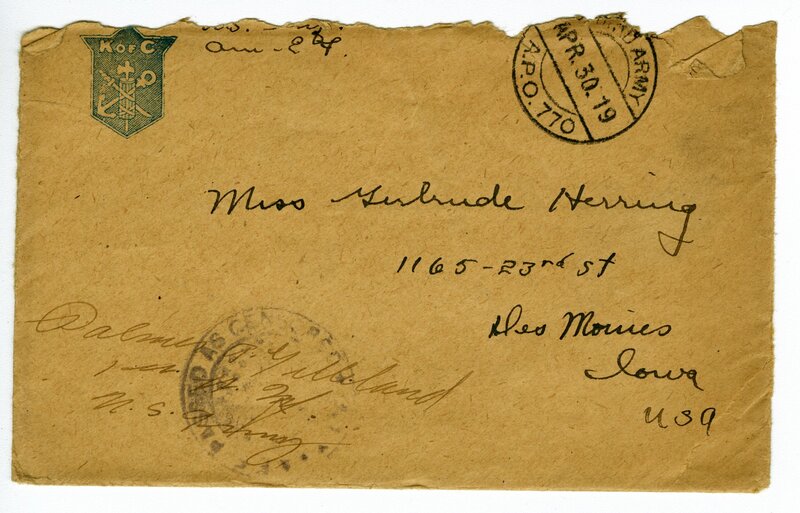 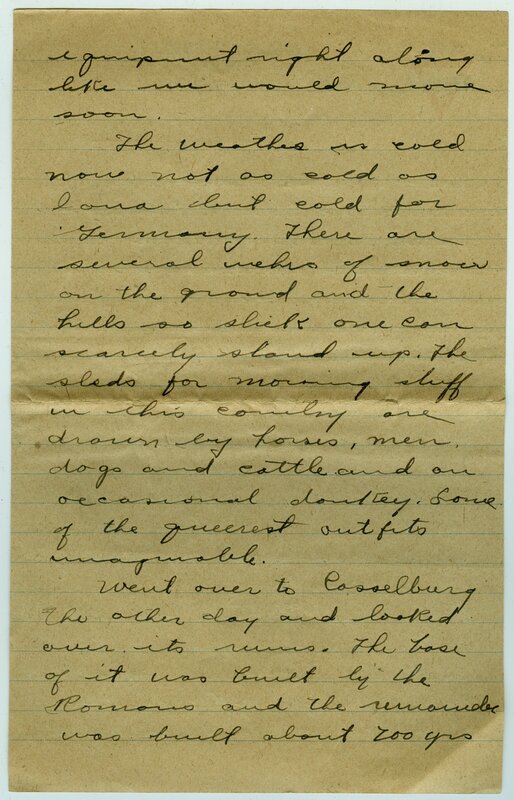 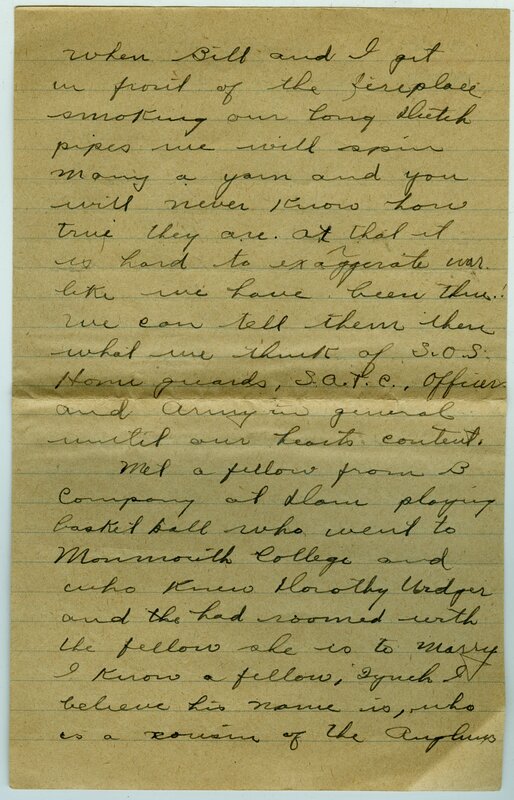 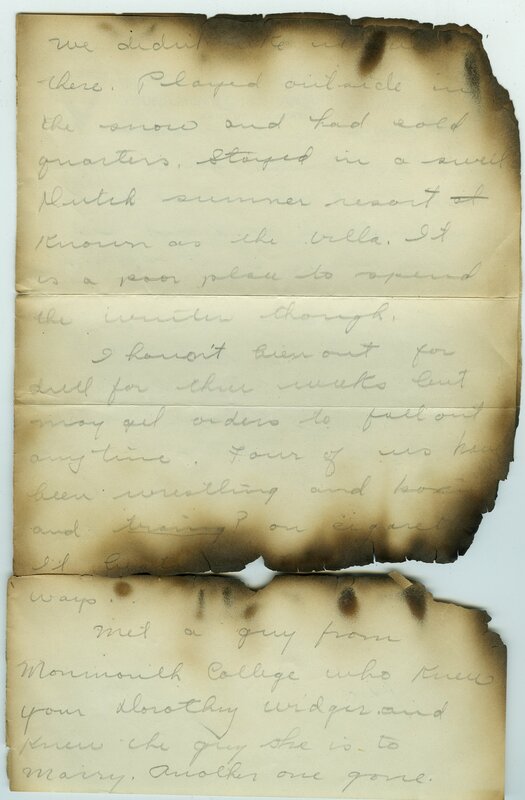 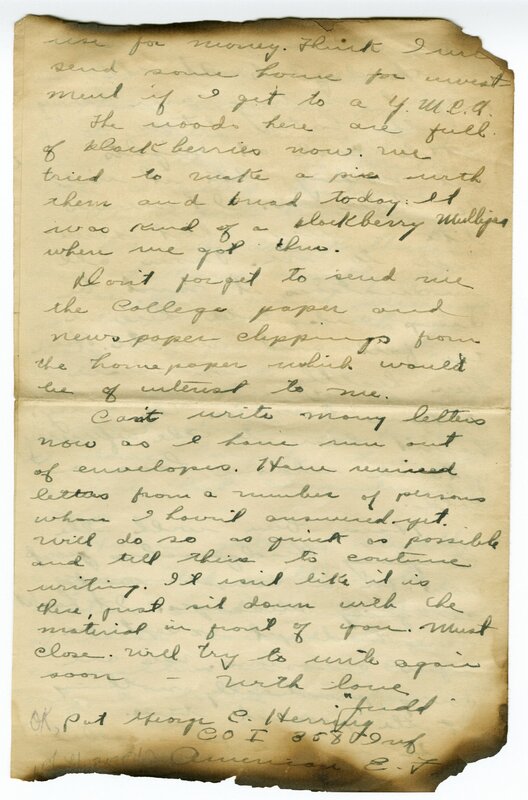 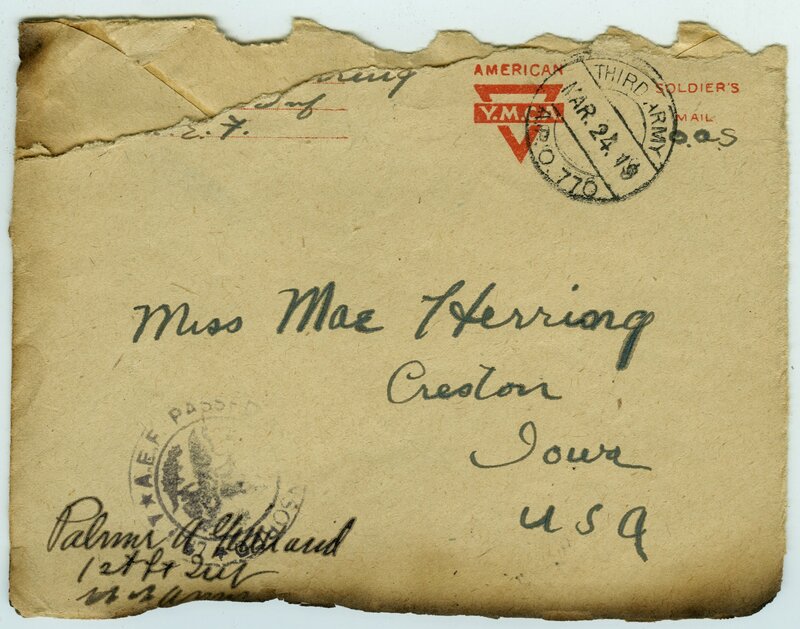 Herring wrote many of the letters while serving in the U.S. Infantry. 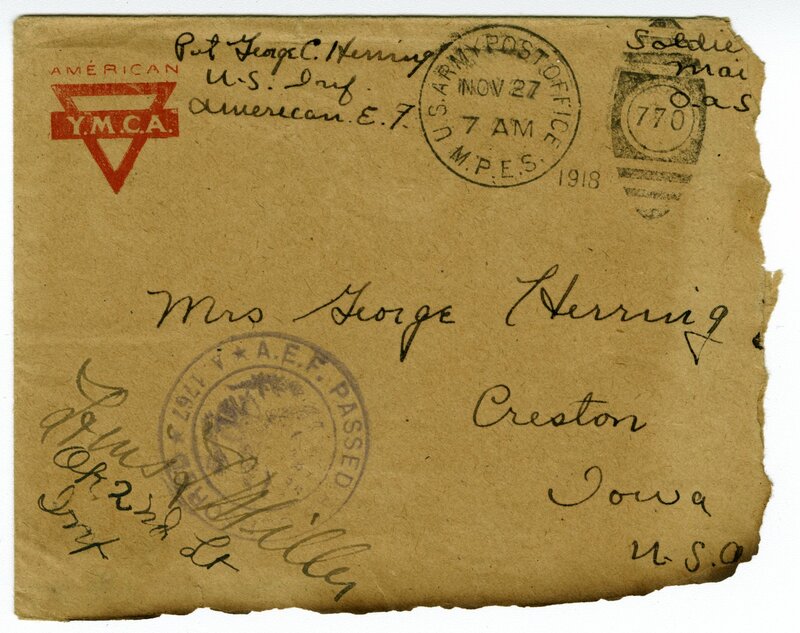 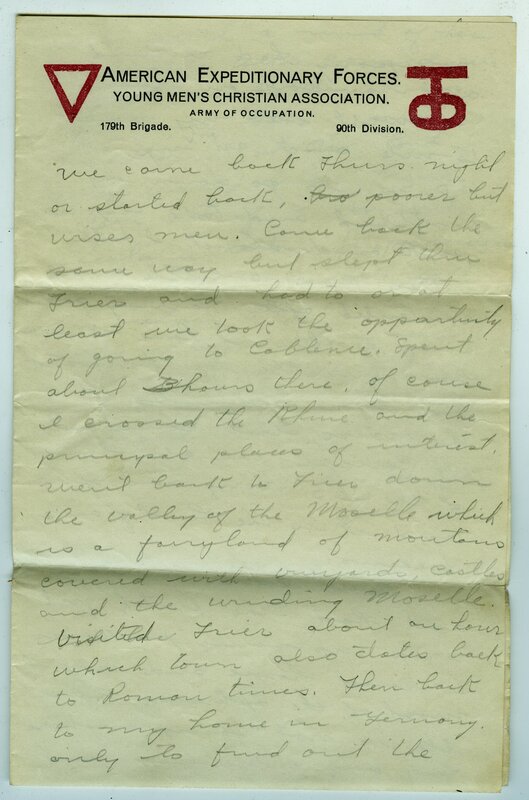 The letters reference the Battle of St. Michel and the Meuse-Argonne Offensive. 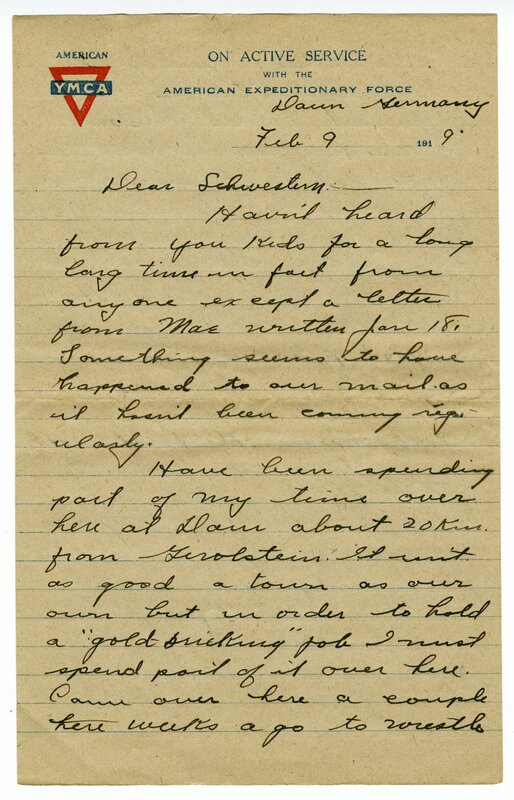 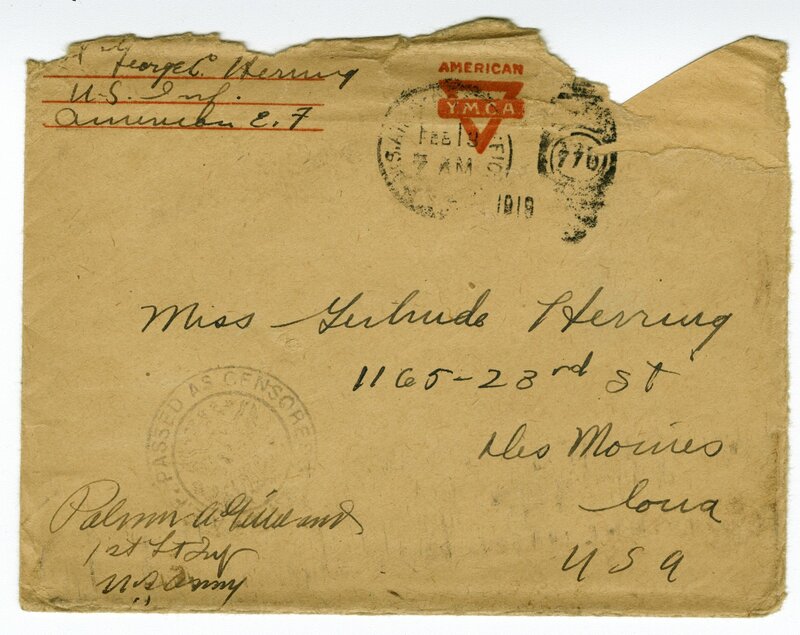 Additionally, Herring wrote 19 letters following armistice, while serving in the army of occupation stationed in Gerolstein, Germany. 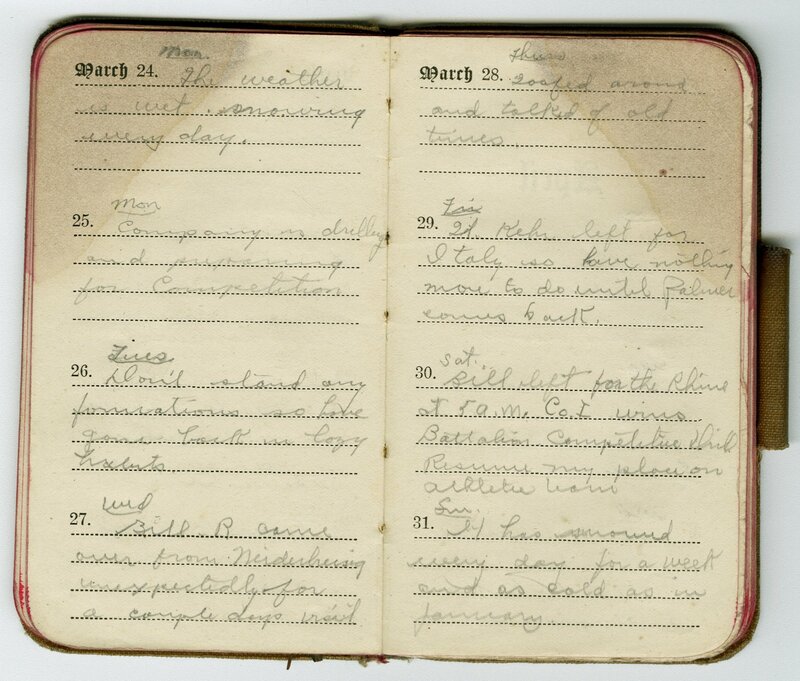 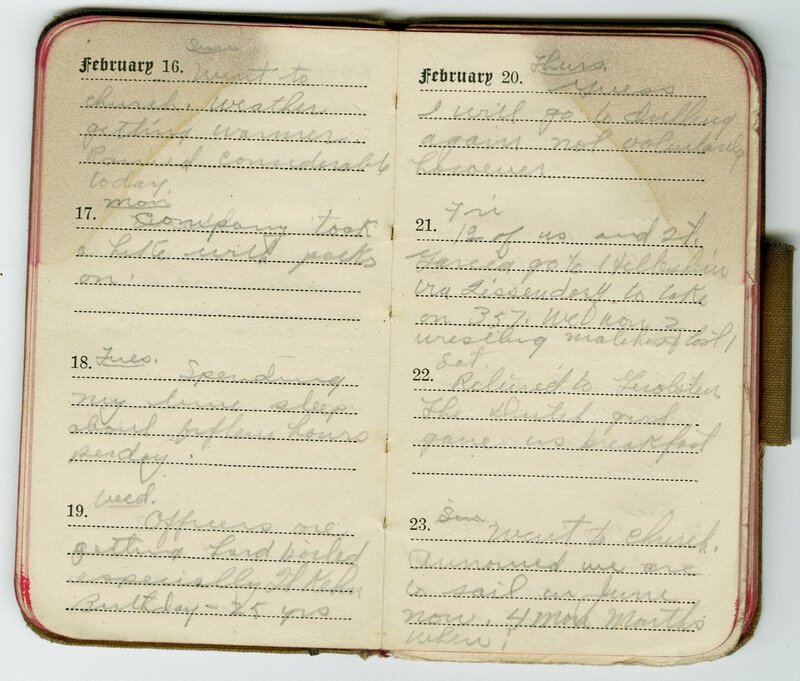 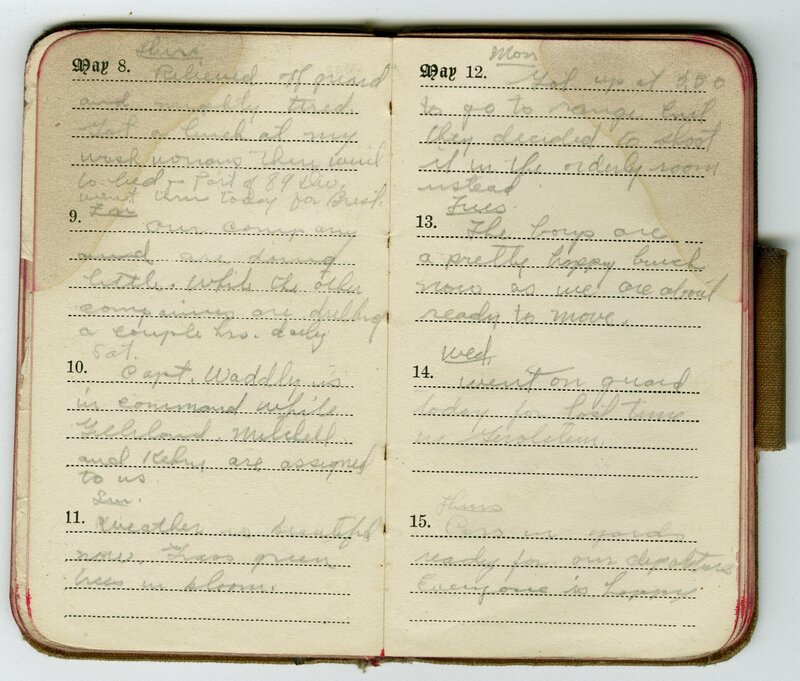 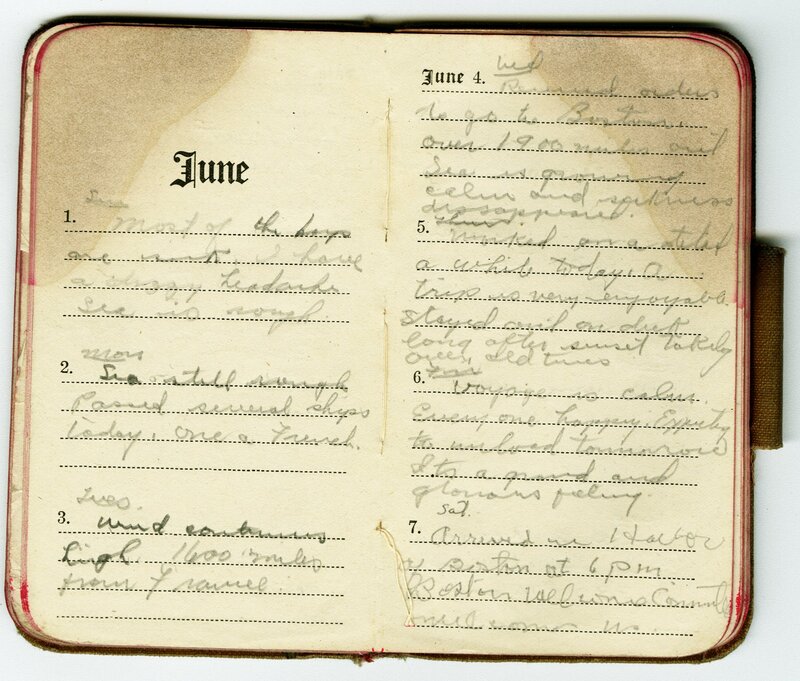 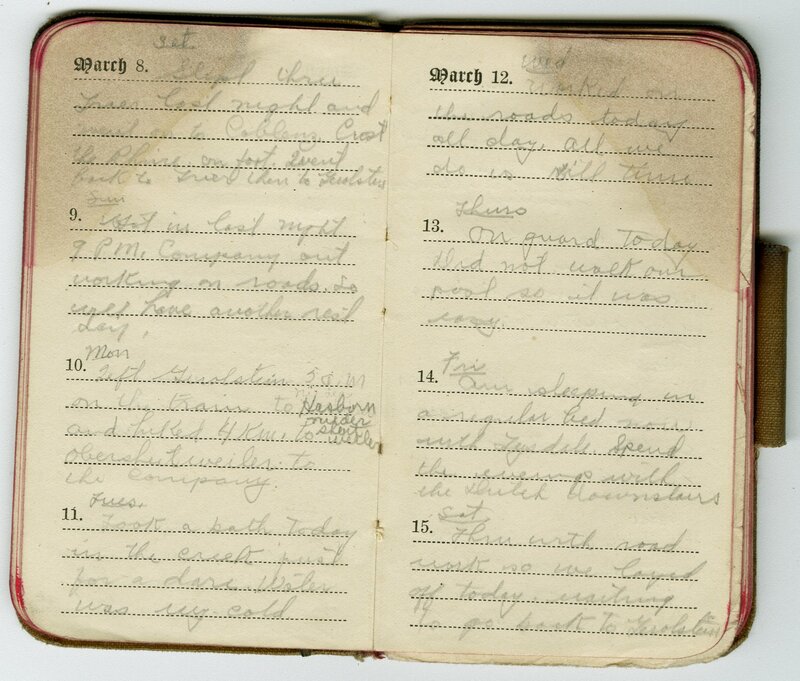 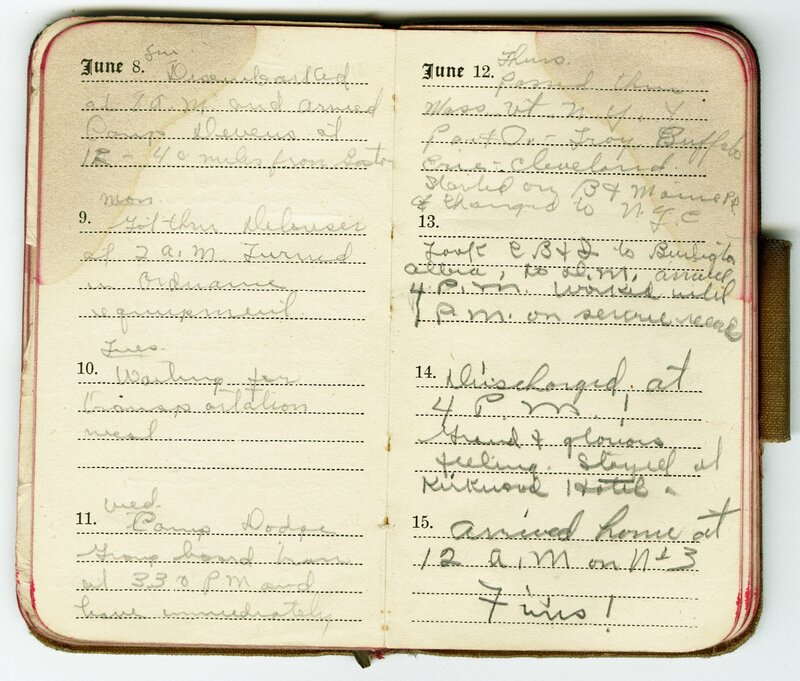 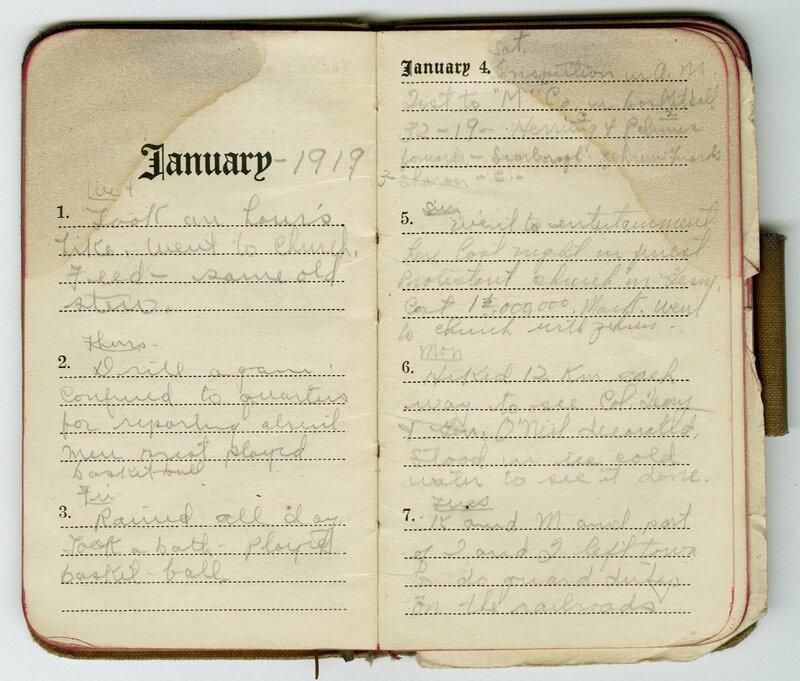 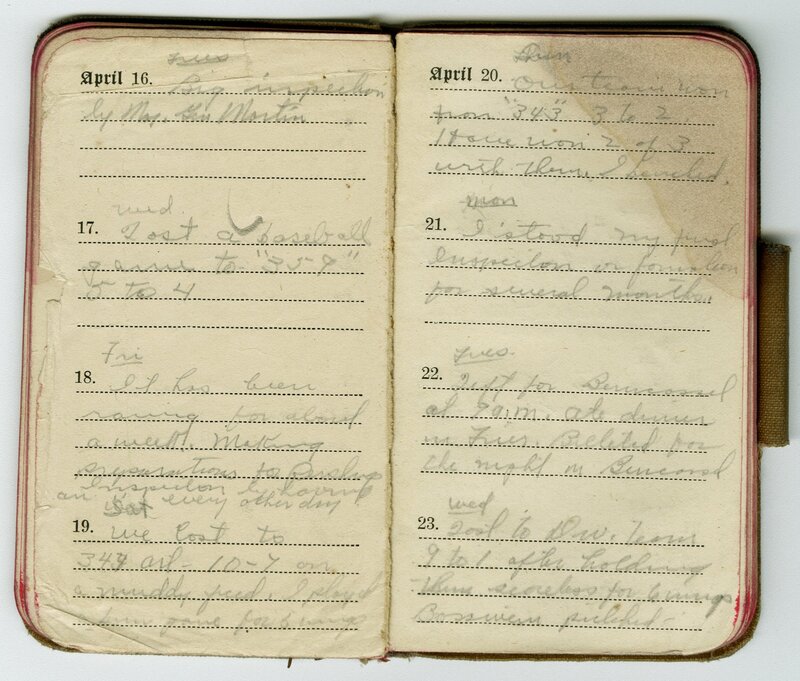 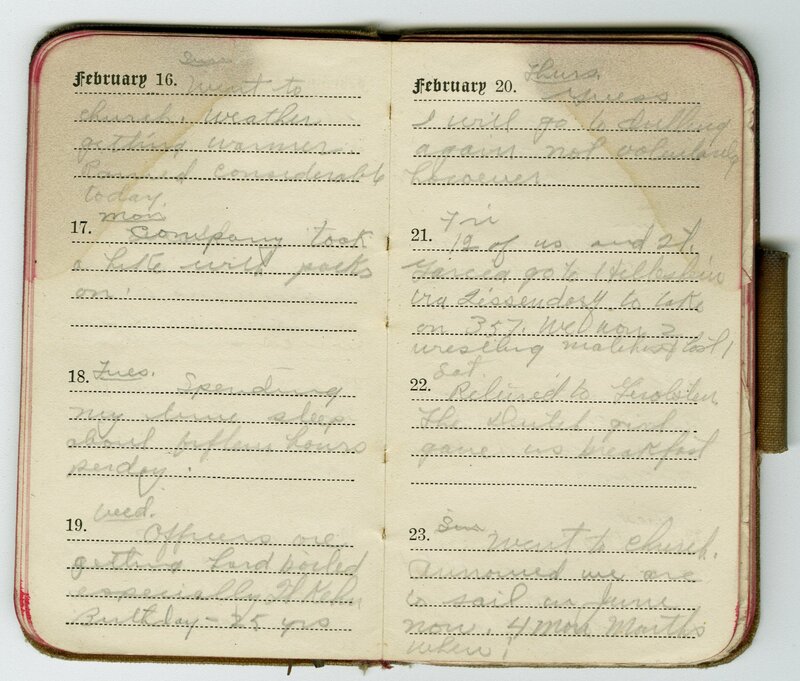 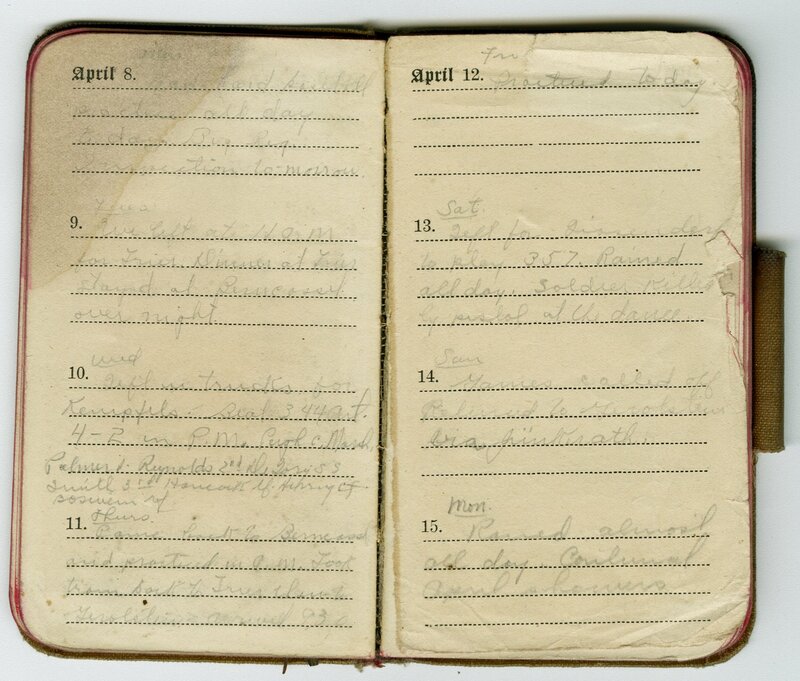 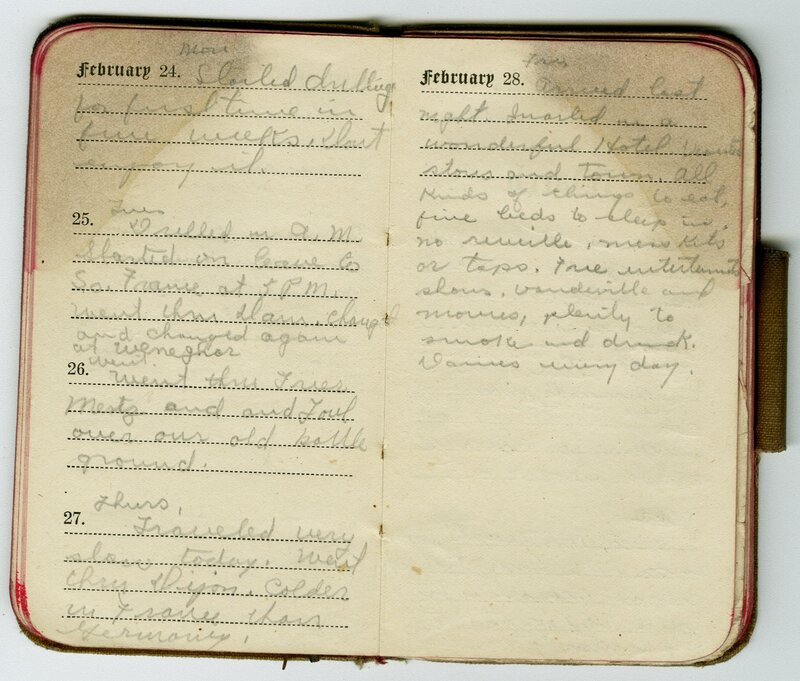 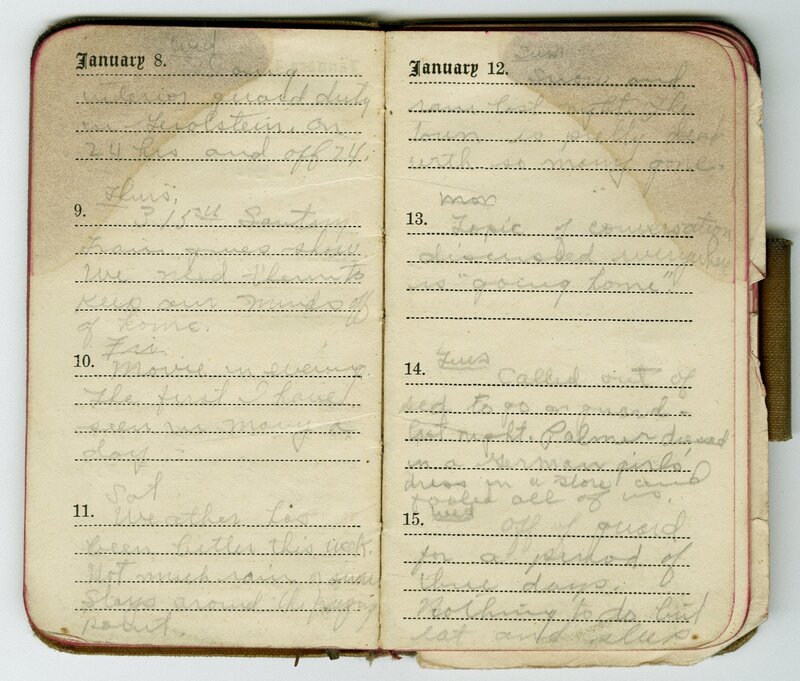 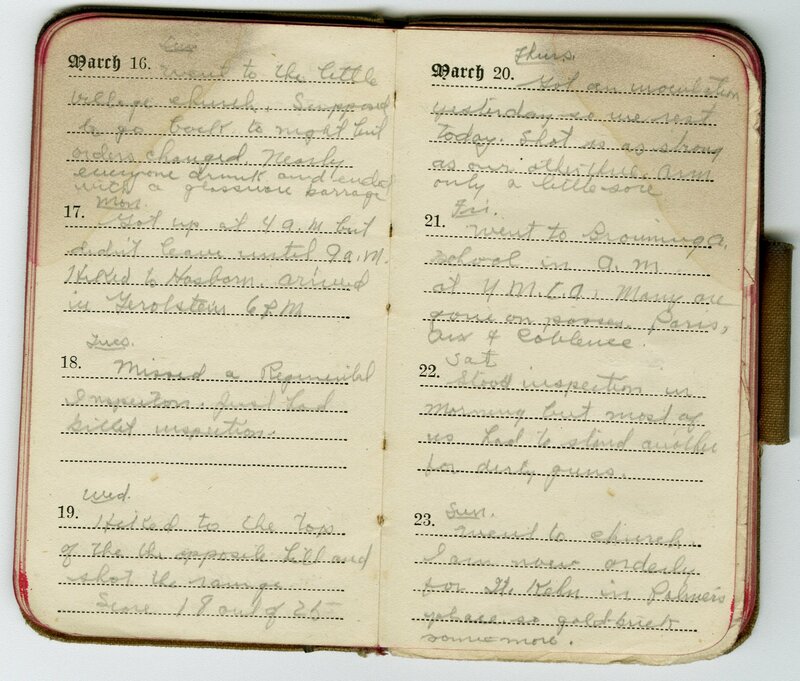 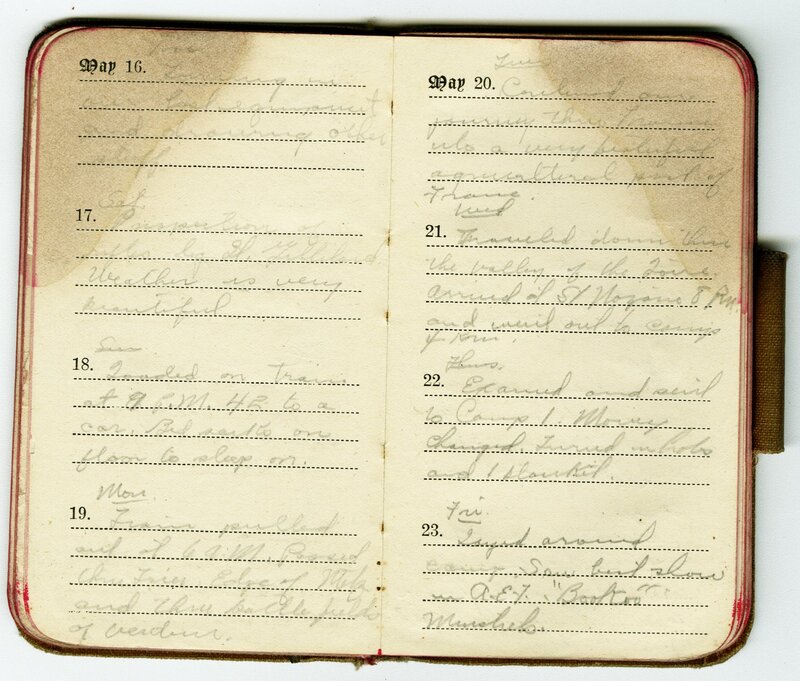 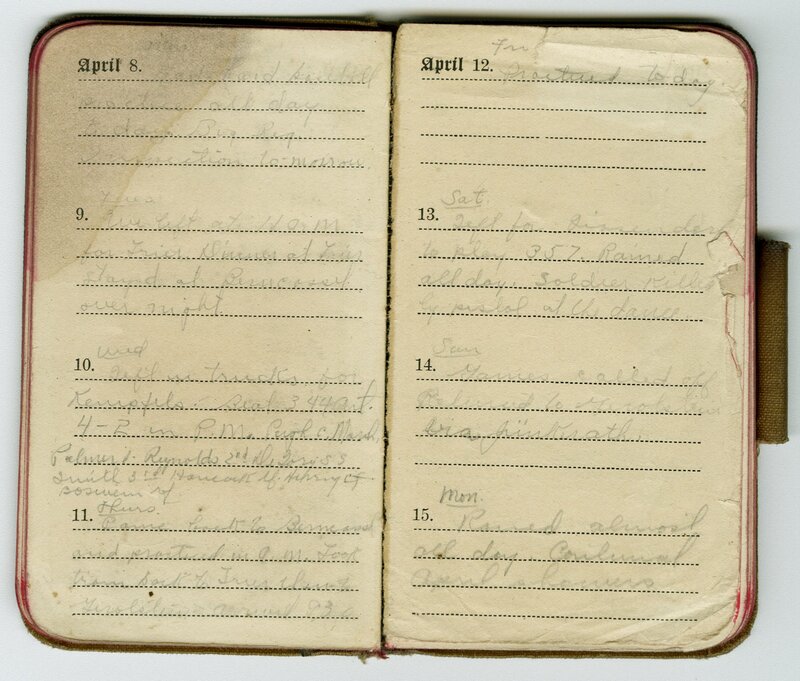 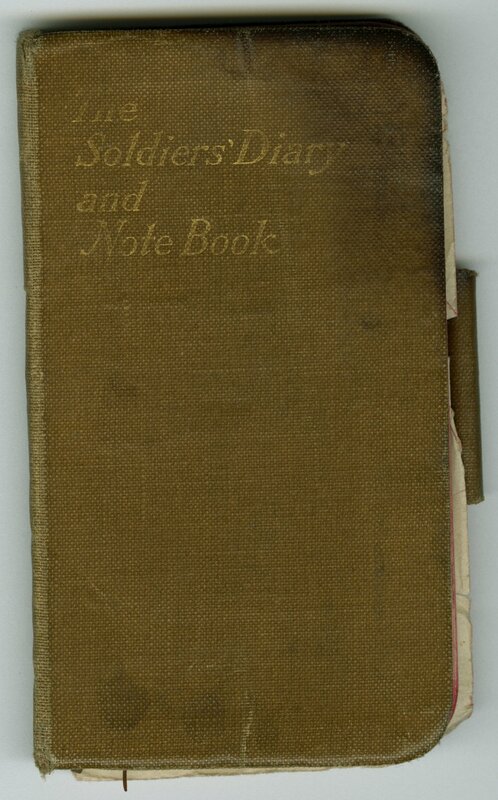 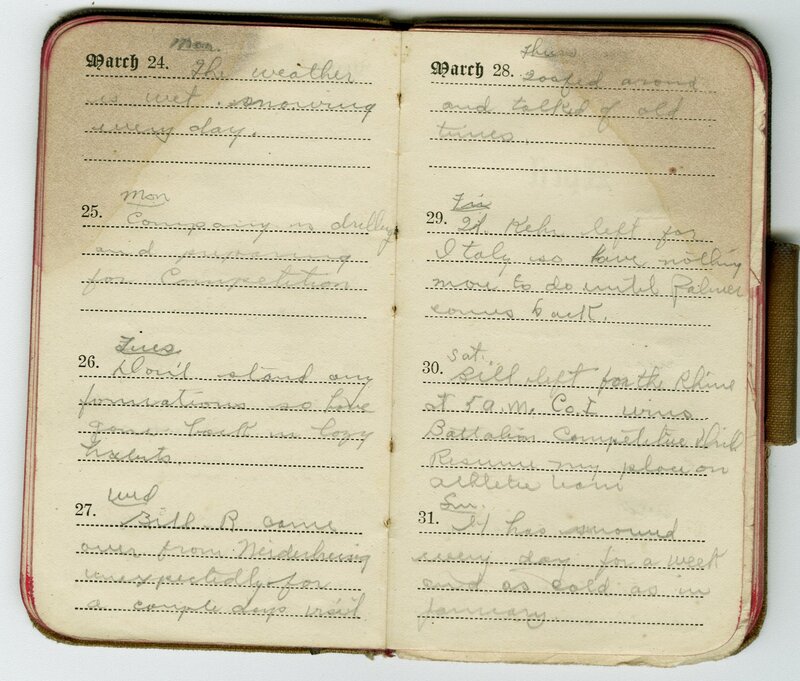 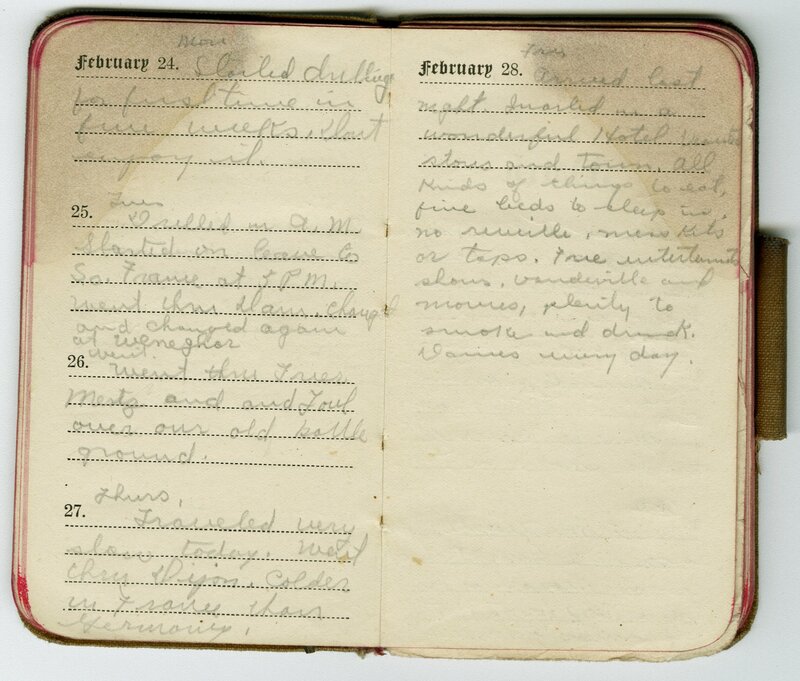 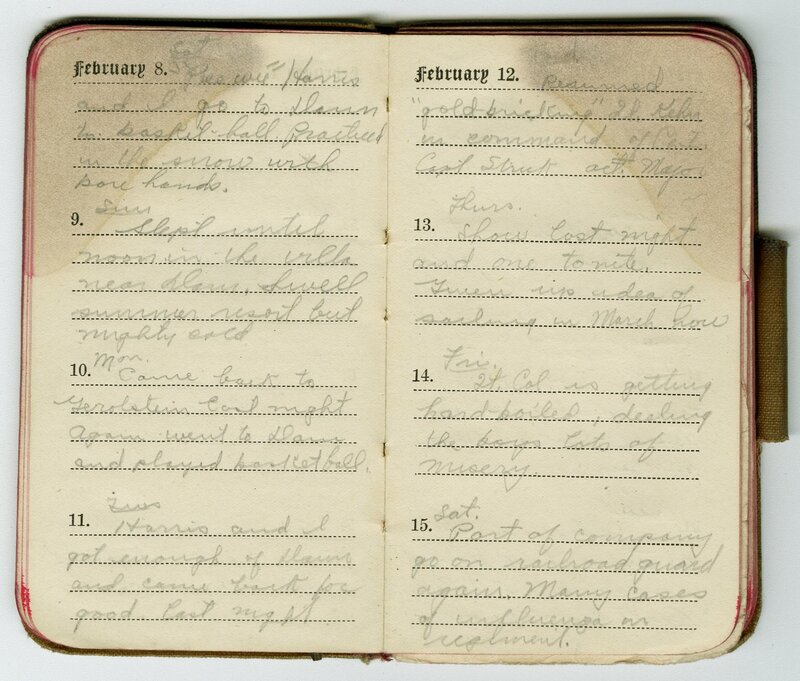 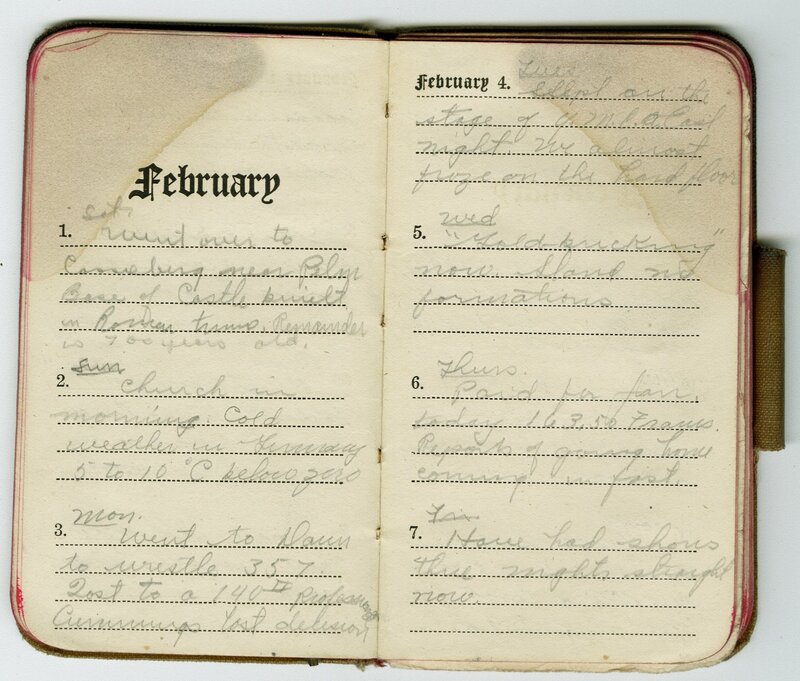 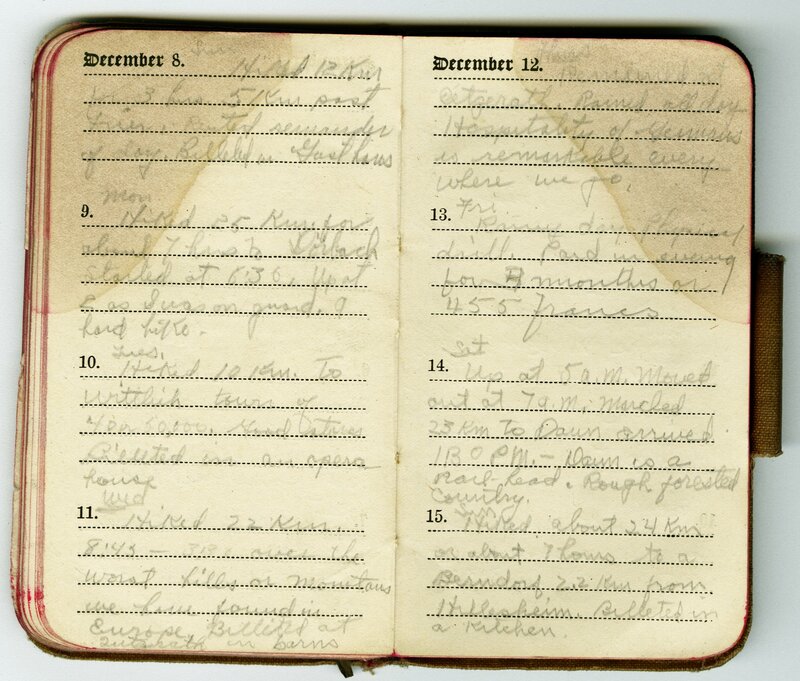 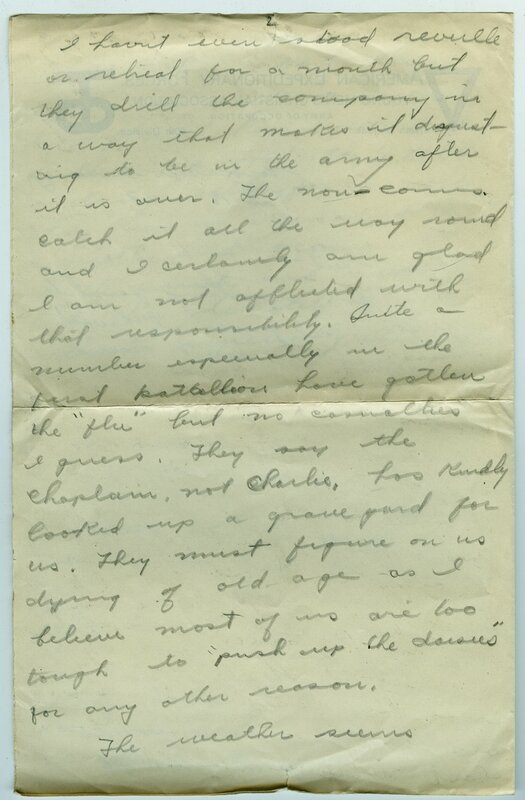 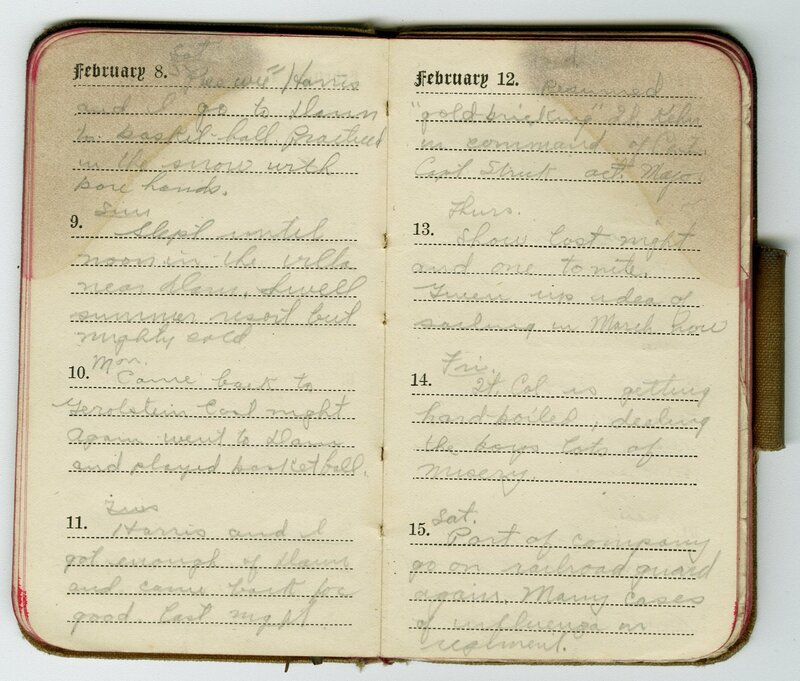 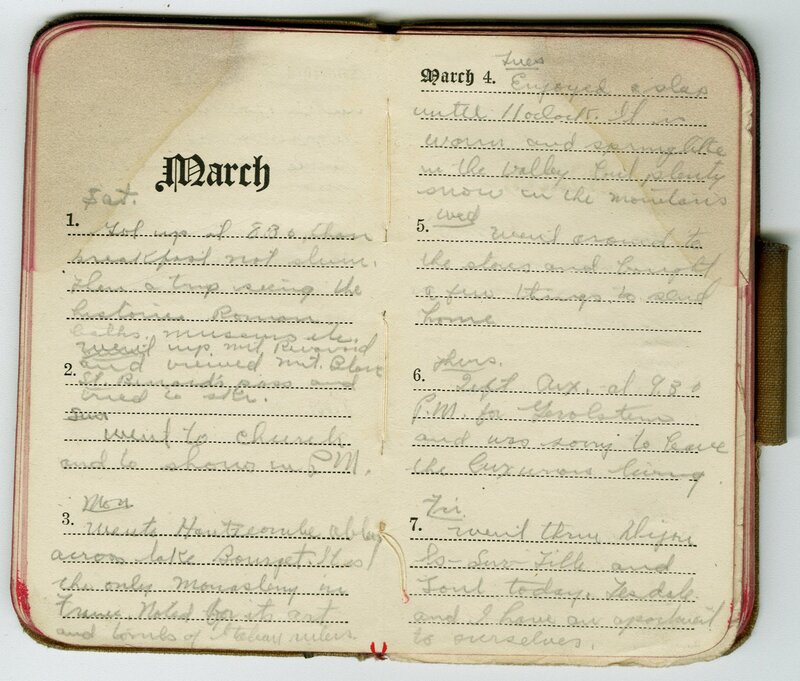 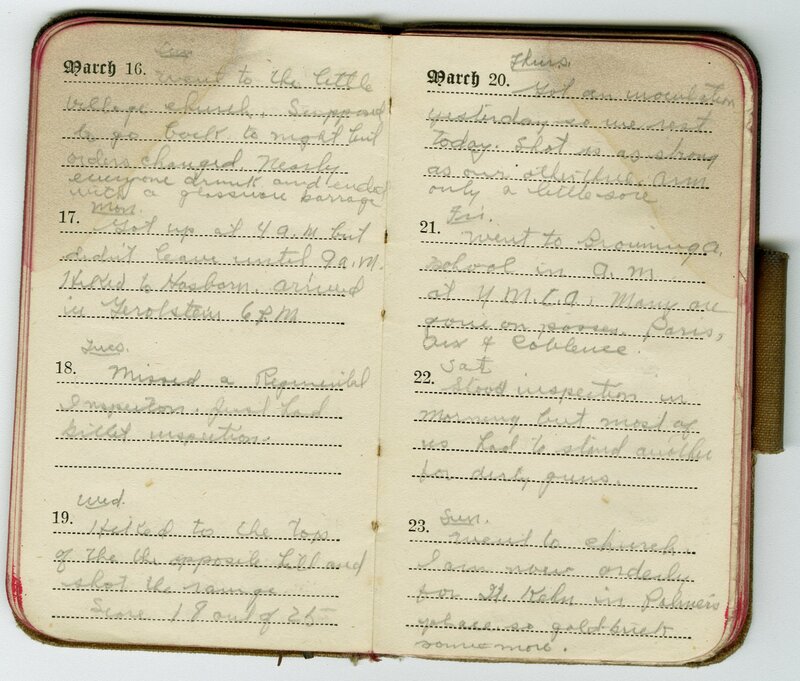 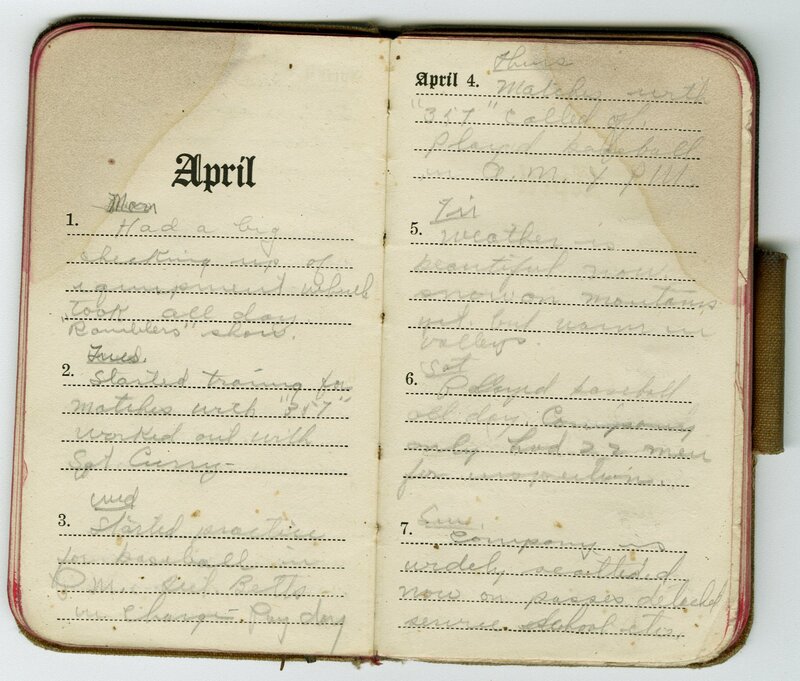 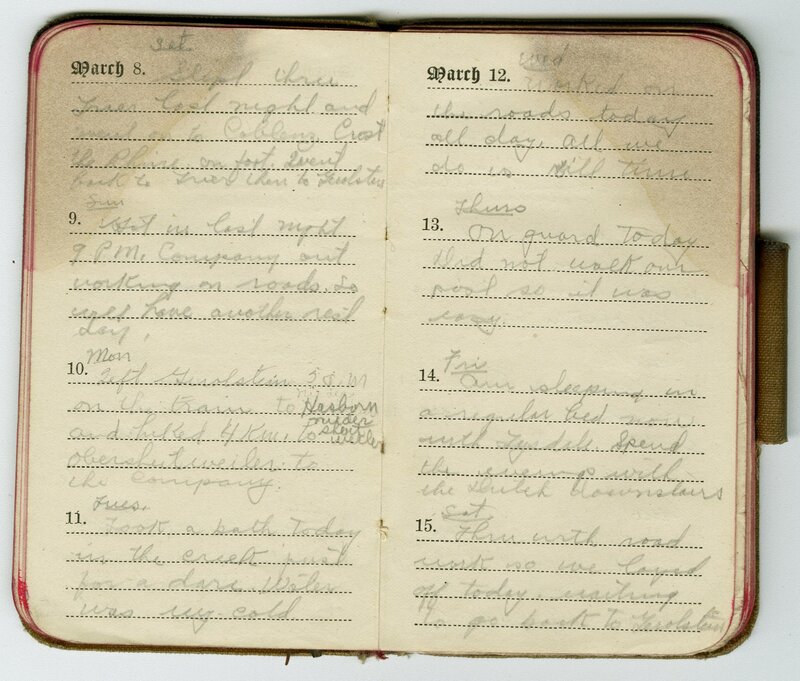 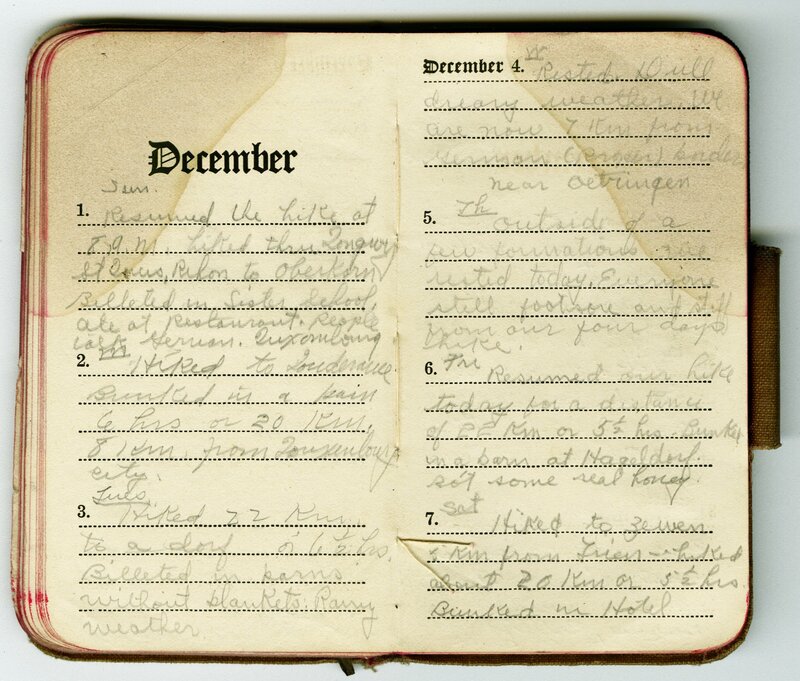 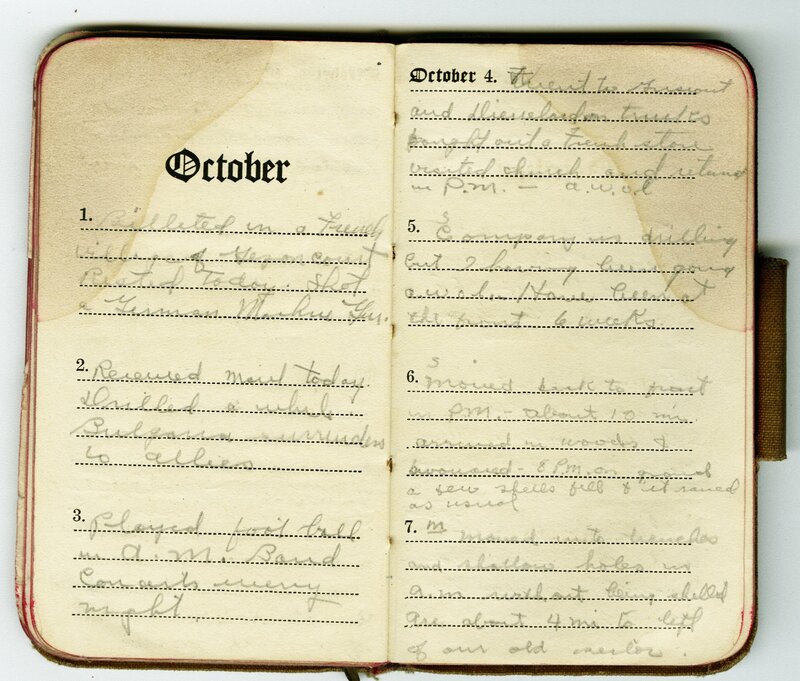 The papers also contain a diary written by Herring during his service and given to him by his sister Gertrude. 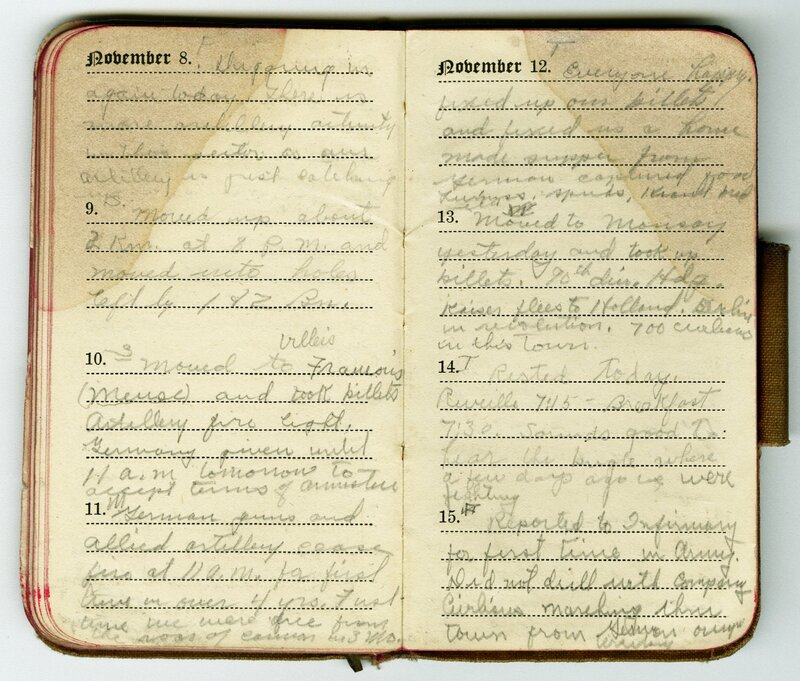 The first entries are on page 36 of the diary in the September section. 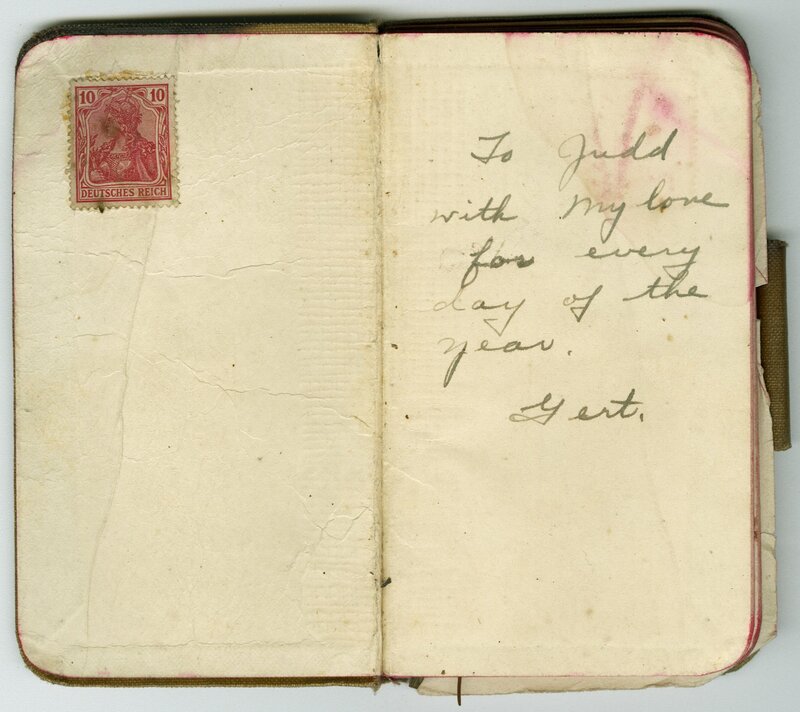 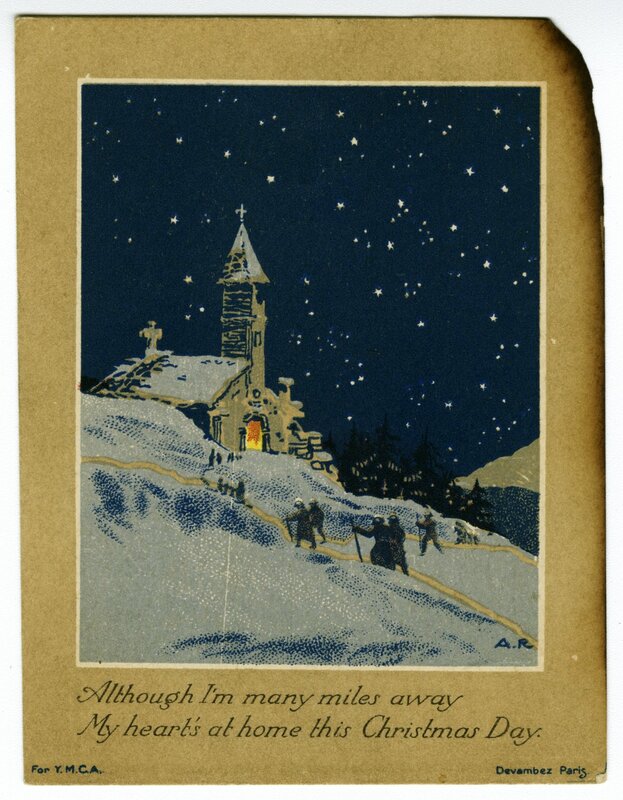 The entries continue through December before starting over on page one in January 1919. 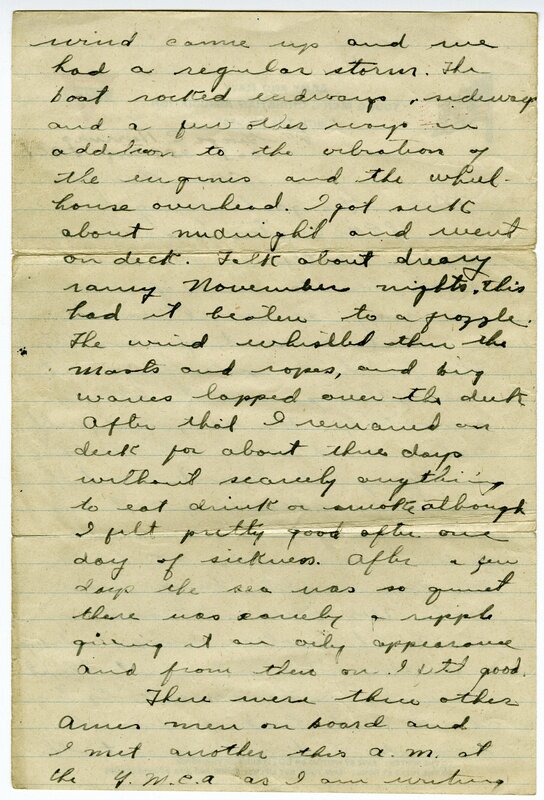 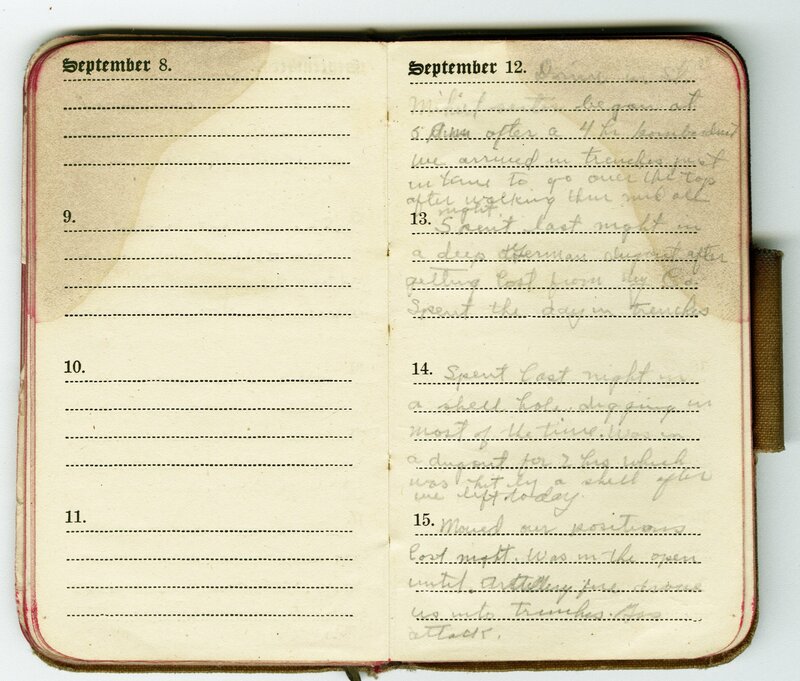 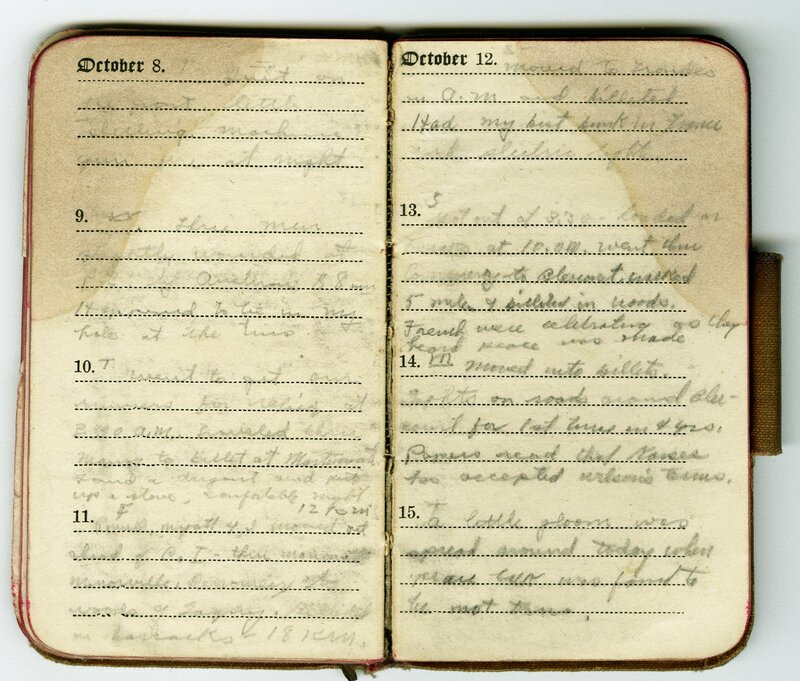 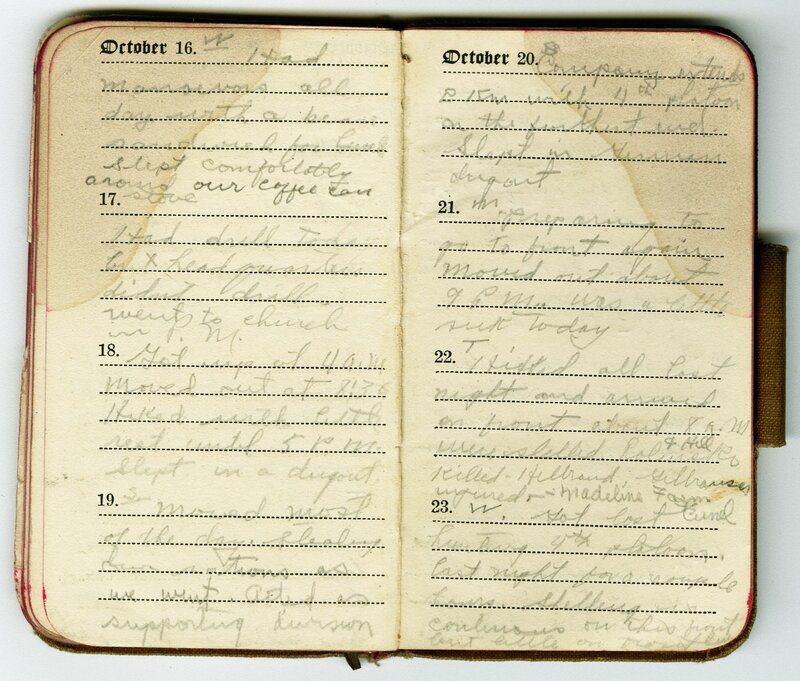 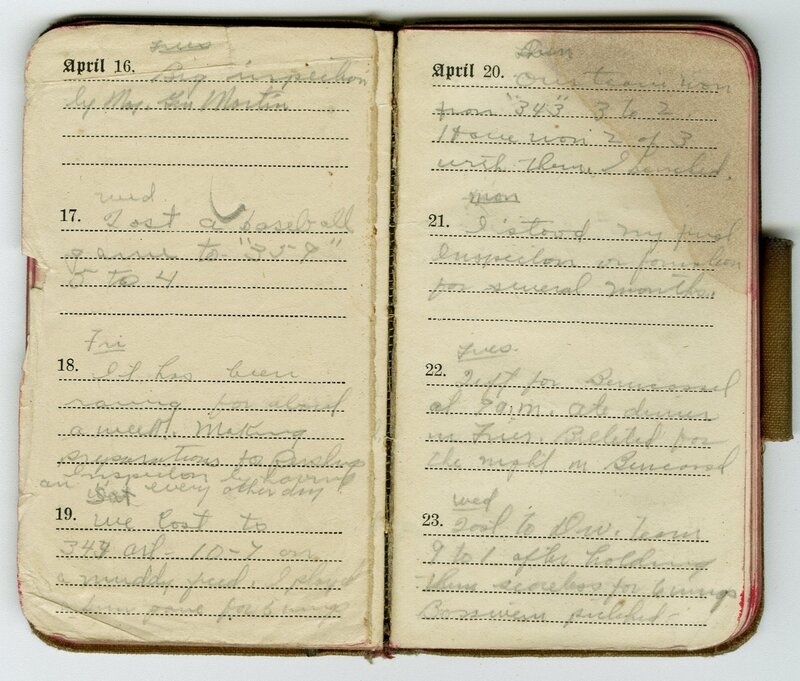 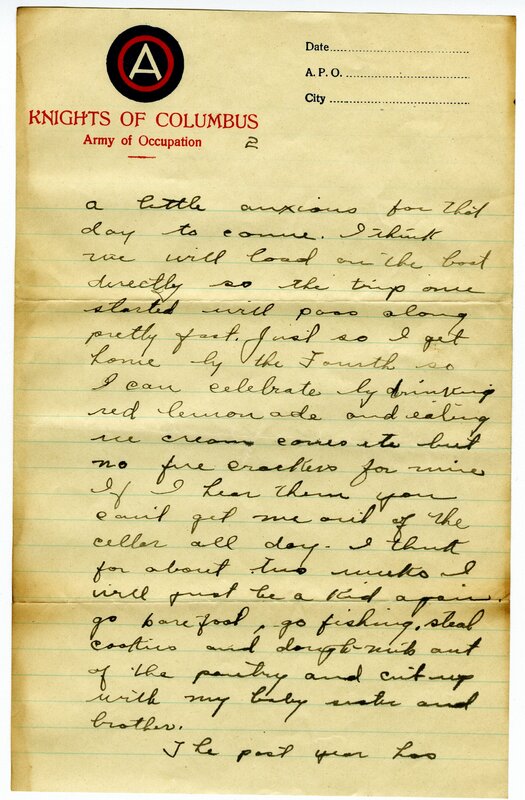 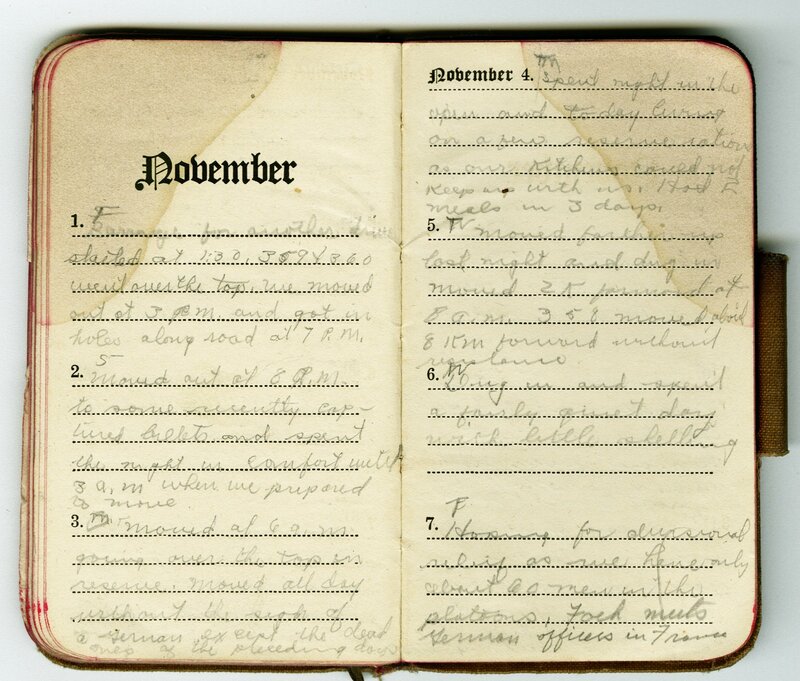 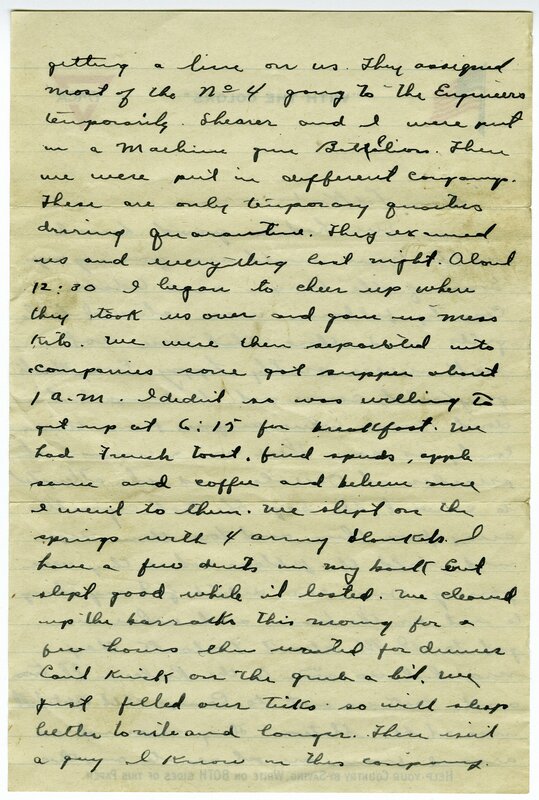 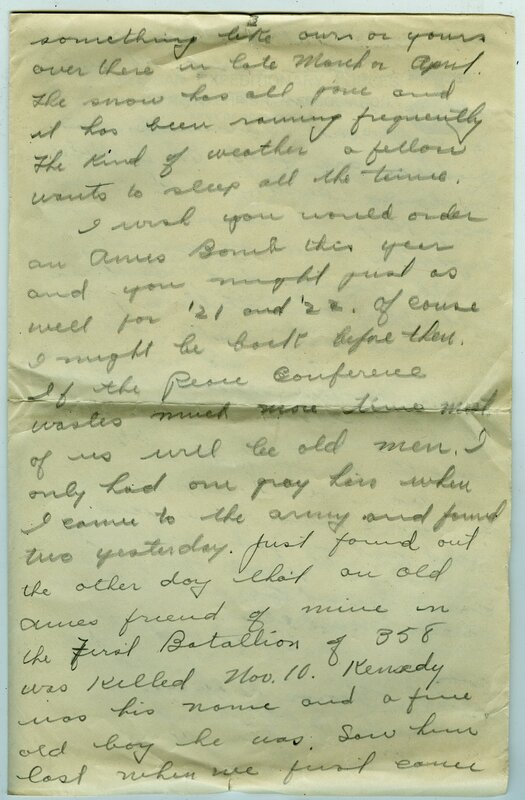 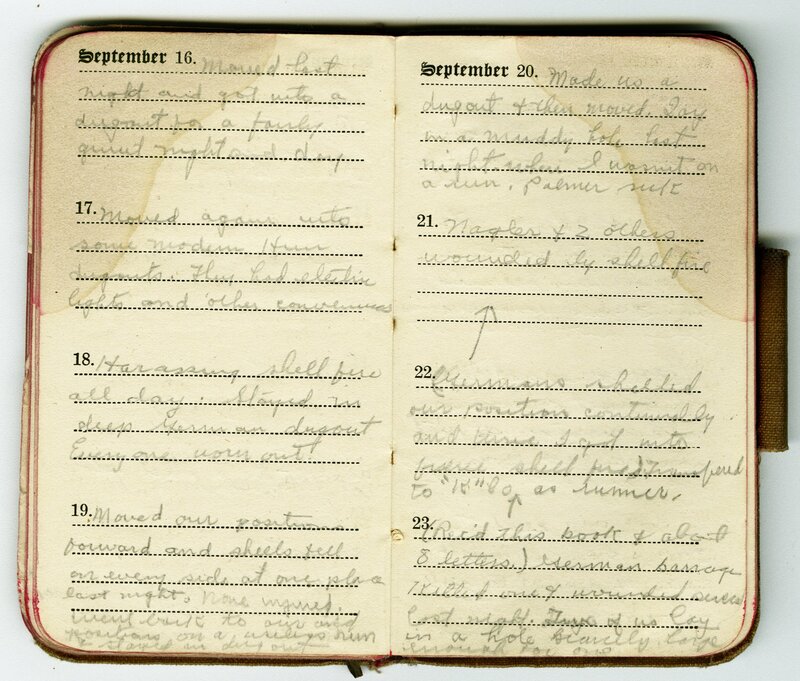 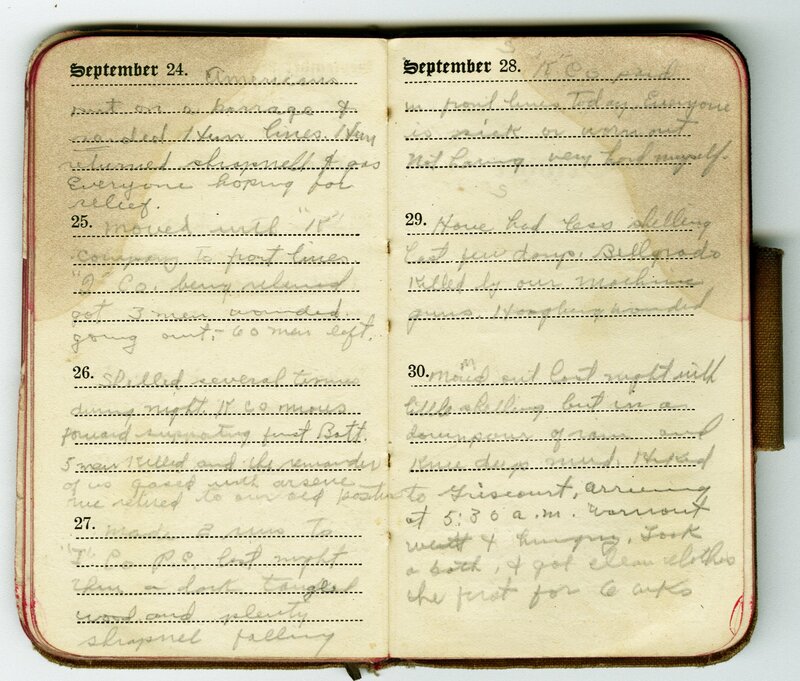 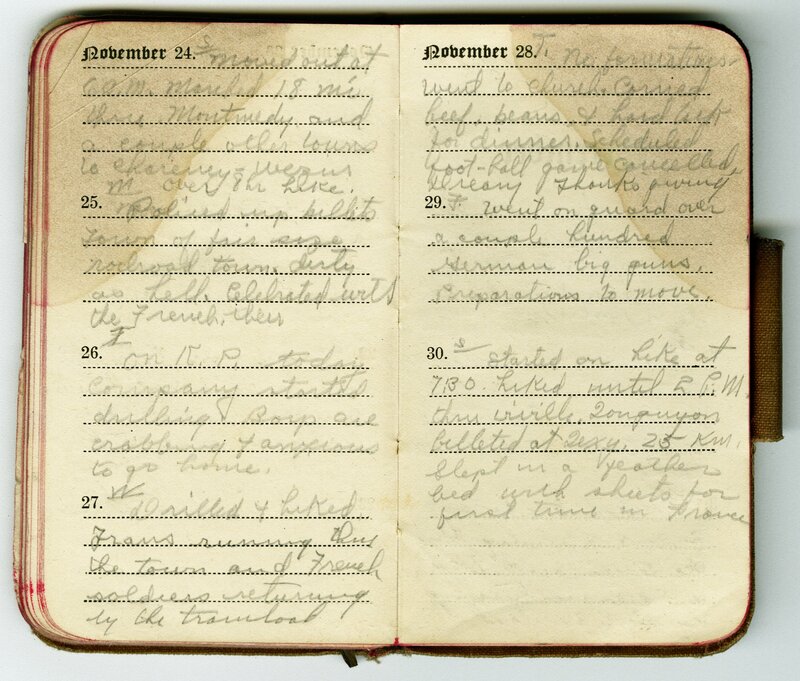 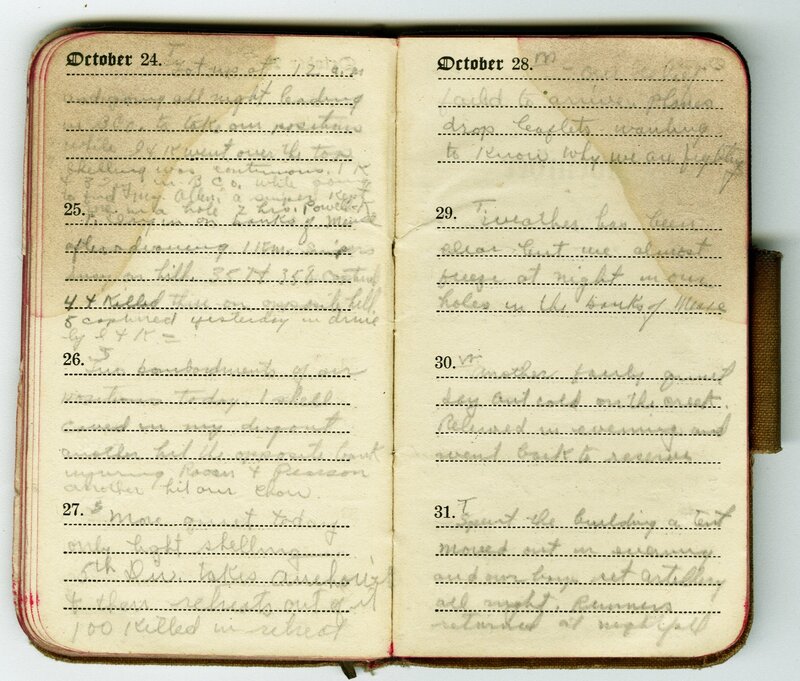 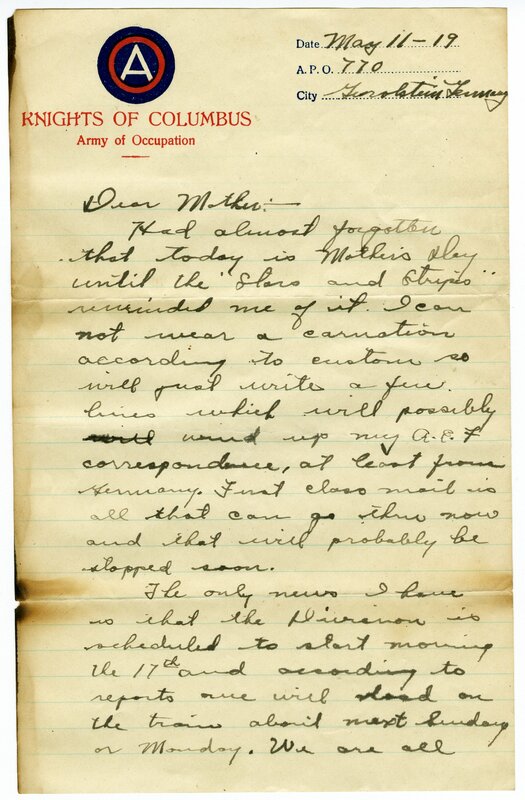 He received the diary on September 23, 1918 (page 37). 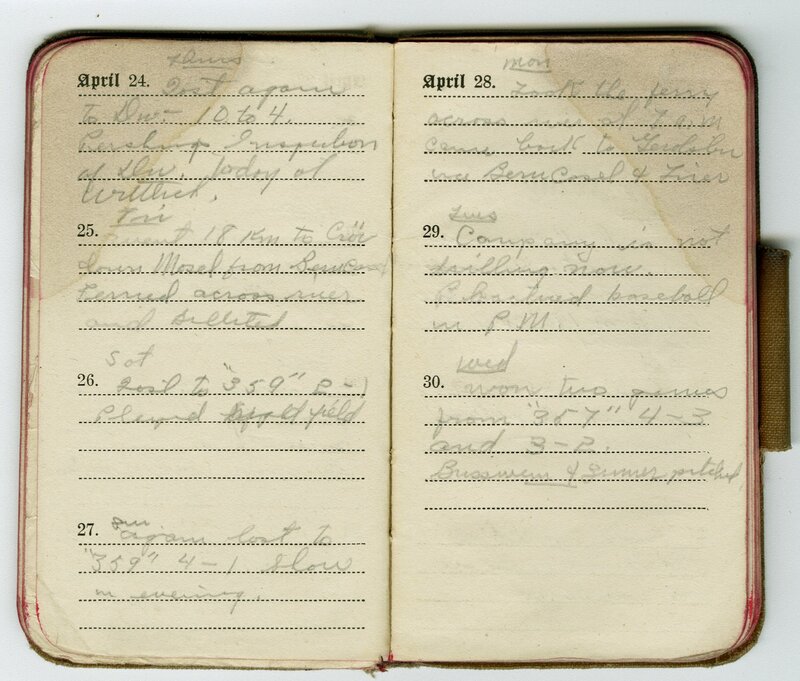 The entries last until his discharge in June 1919. 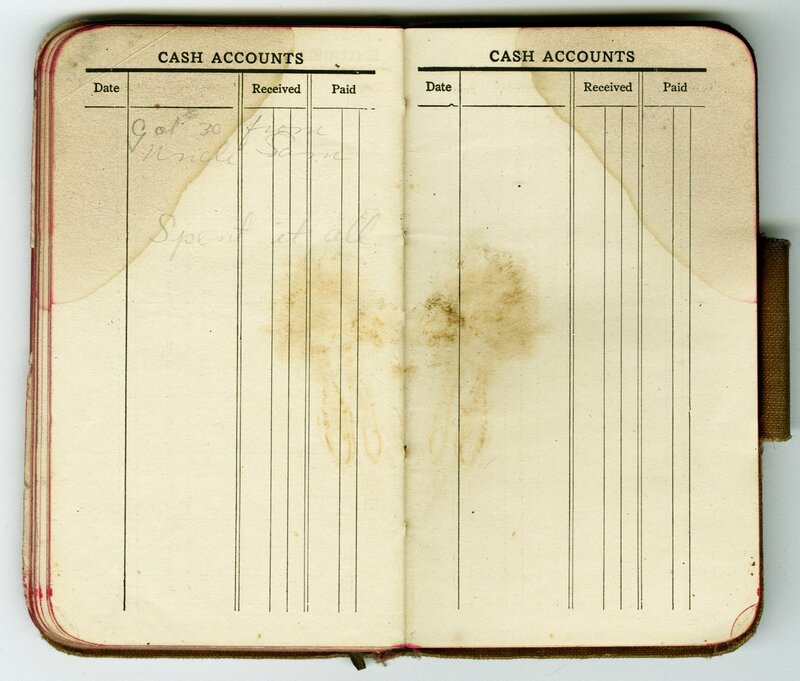 Conditions Governing Access note Collection is open to researchers.